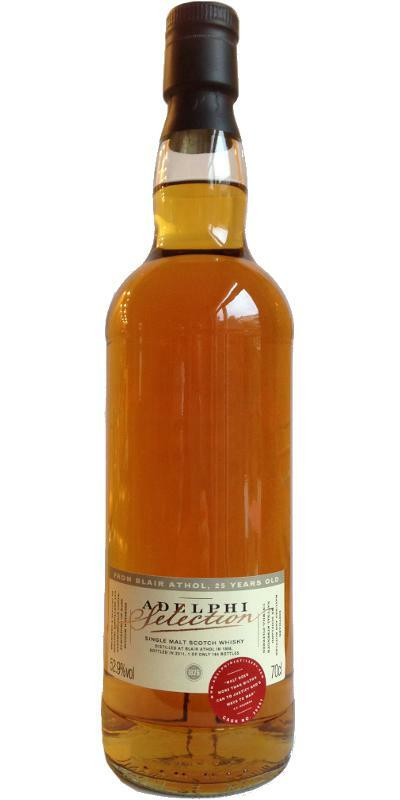 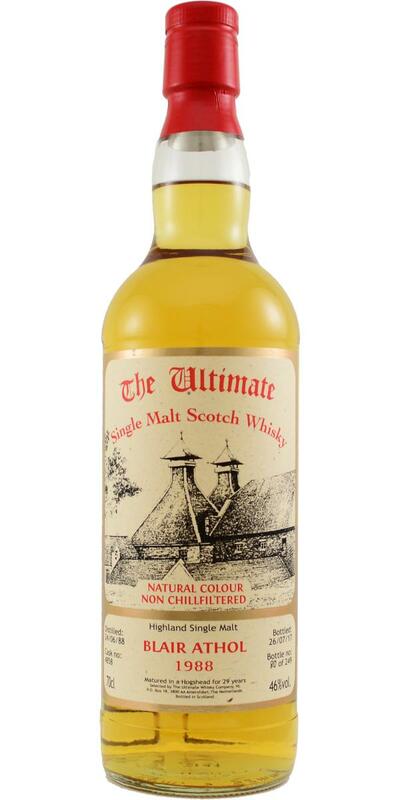 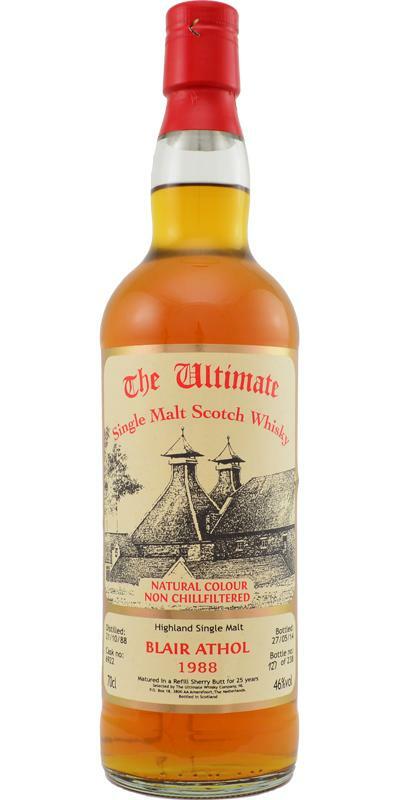 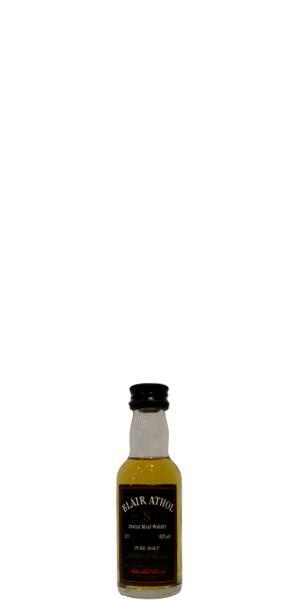 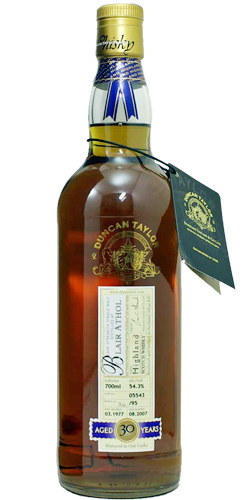 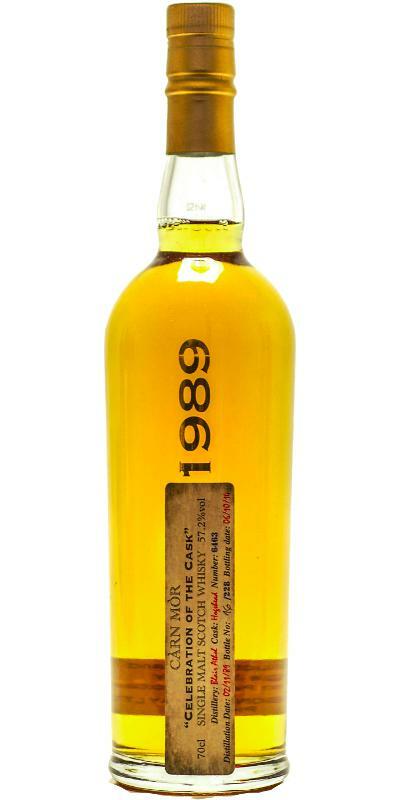 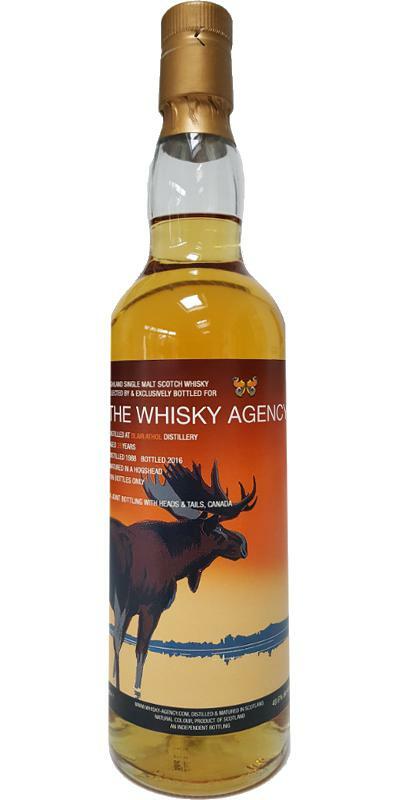 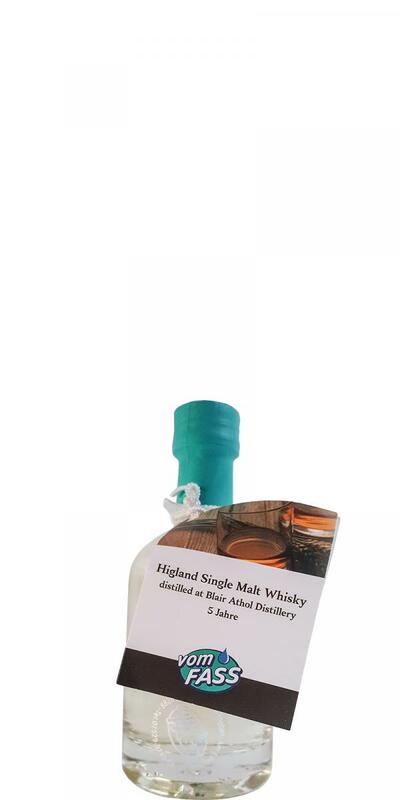 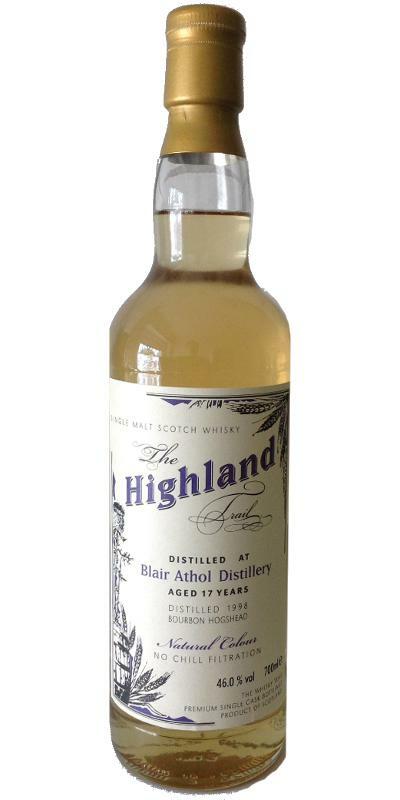 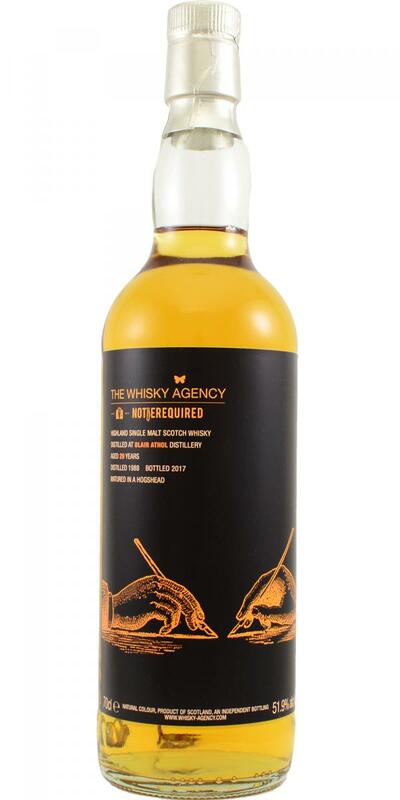 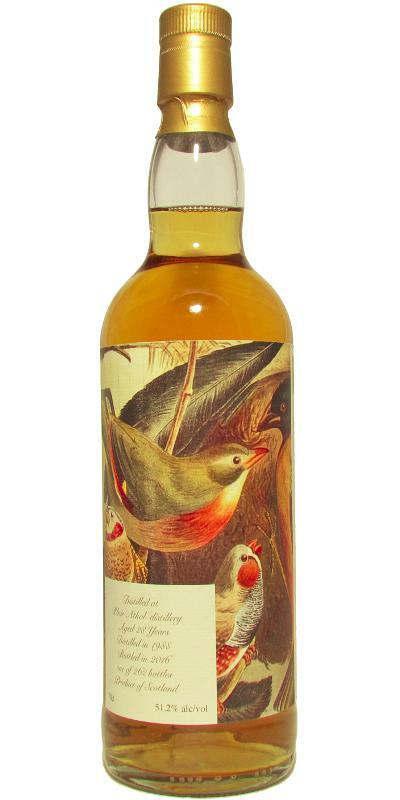 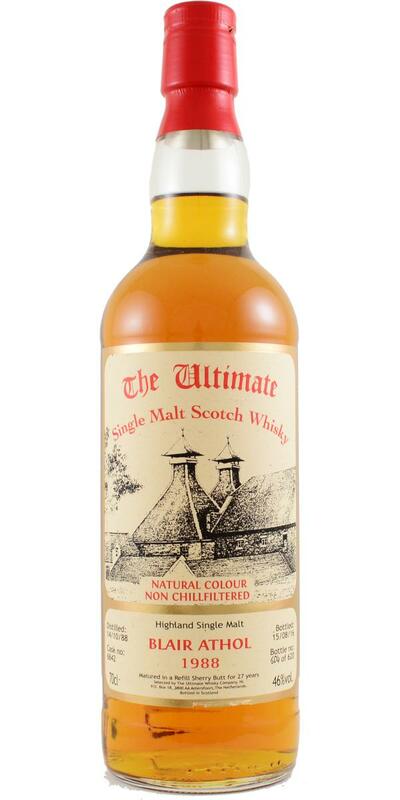 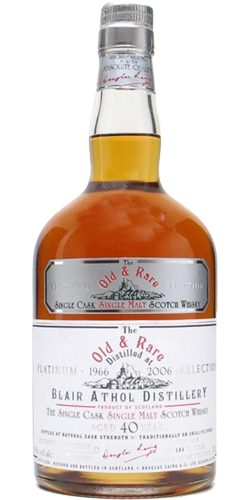 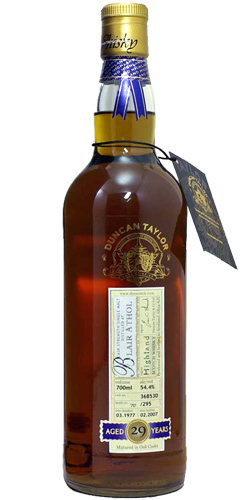 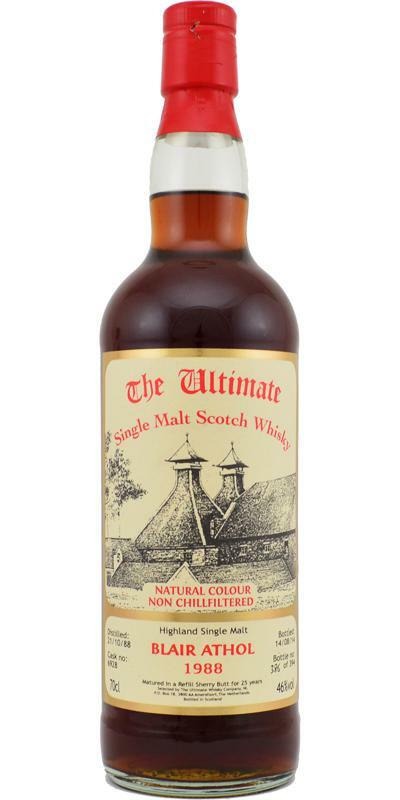 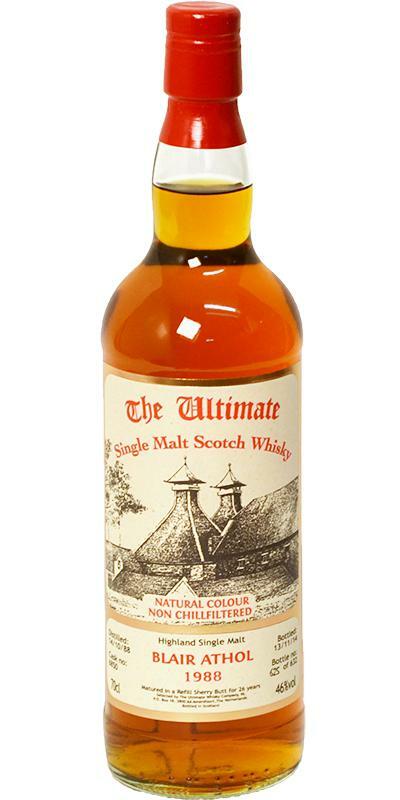 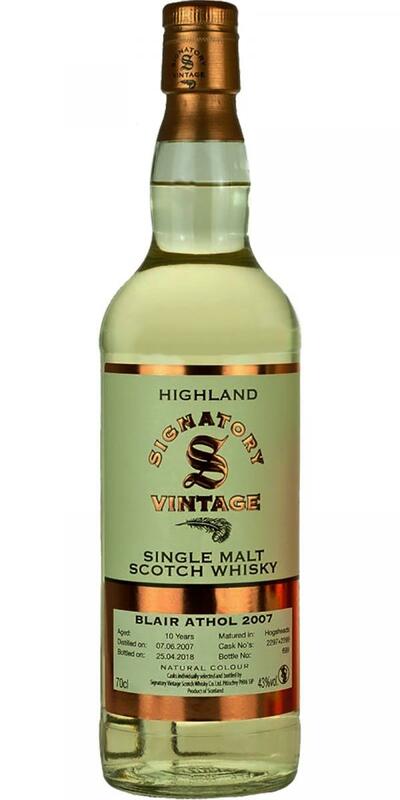 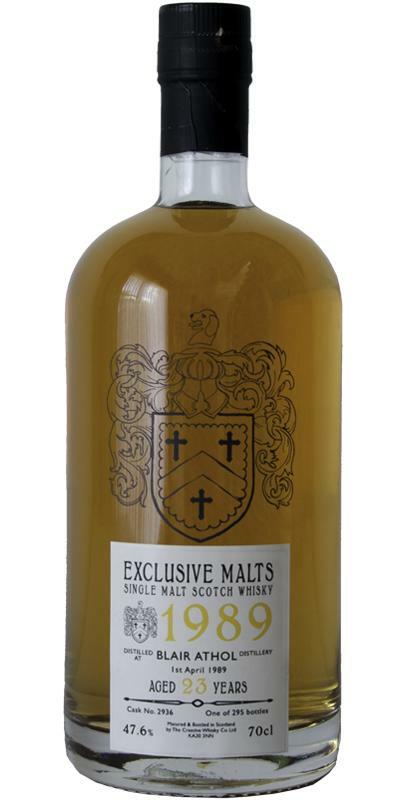 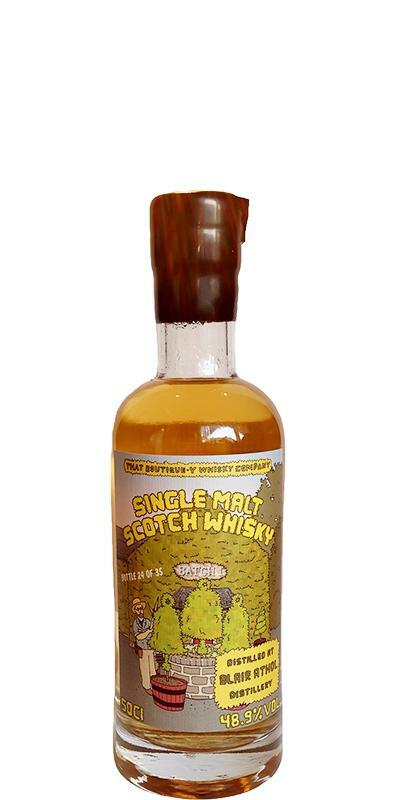 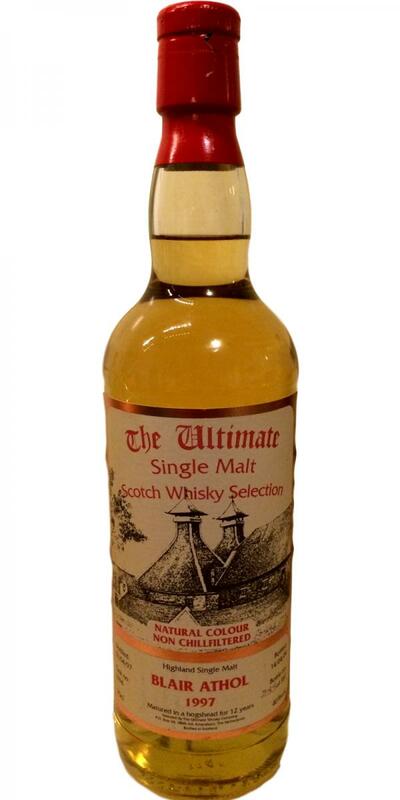 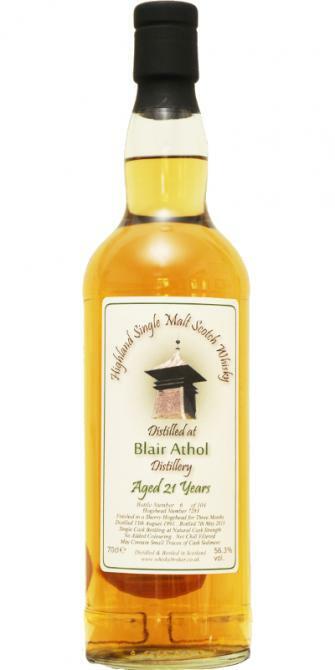 Blair Athol 08-year-old A De Luxe Highland Malt Scotch Whisky 08 46.0 % Vol. 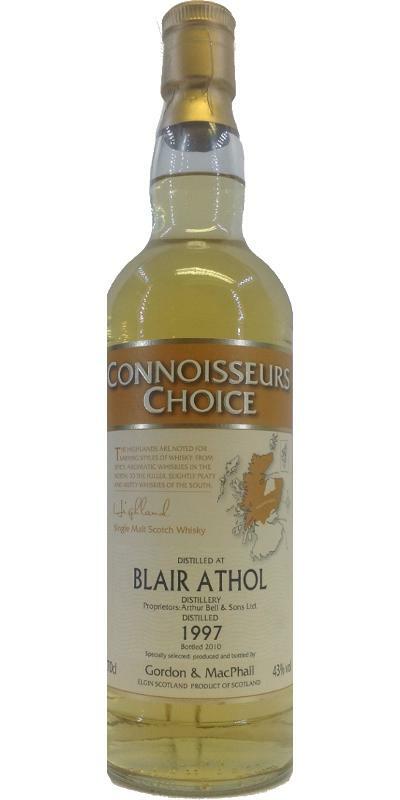 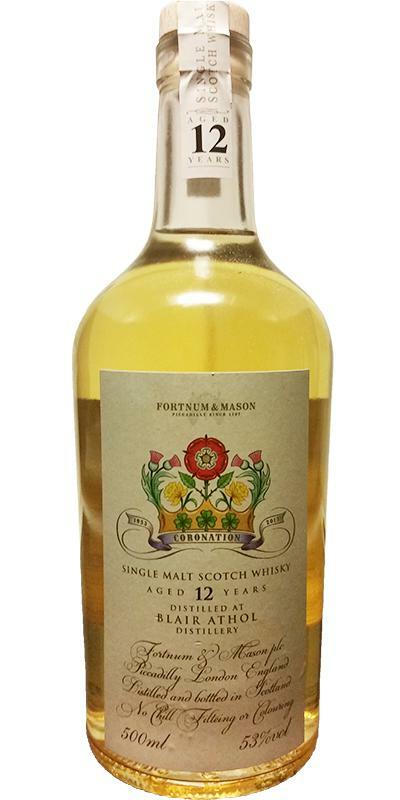 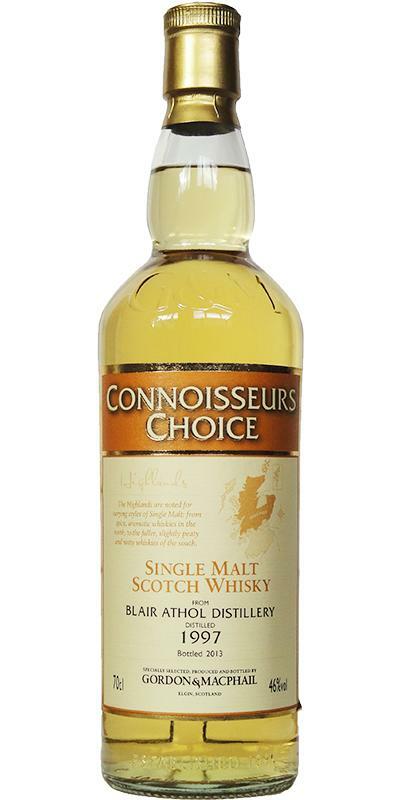 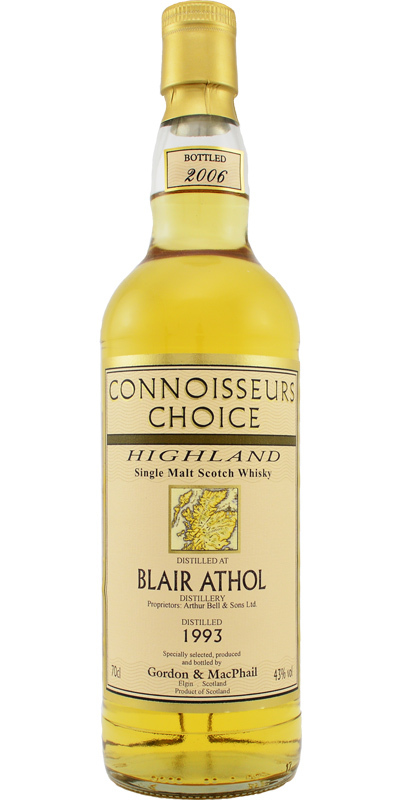 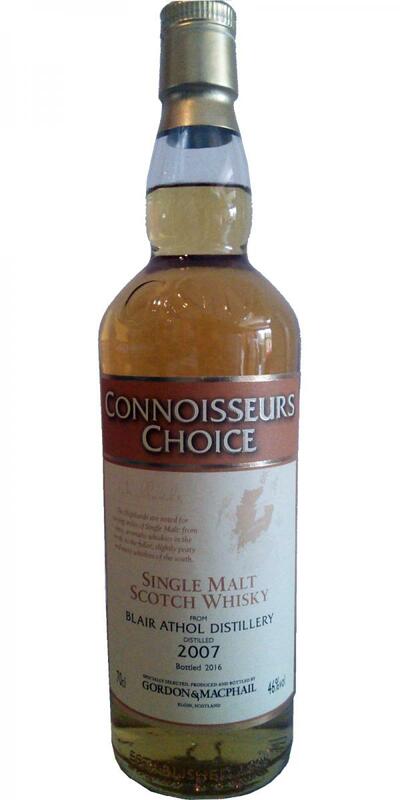 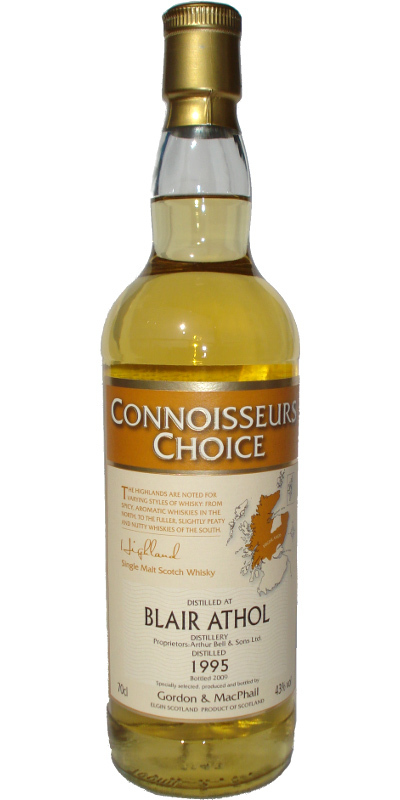 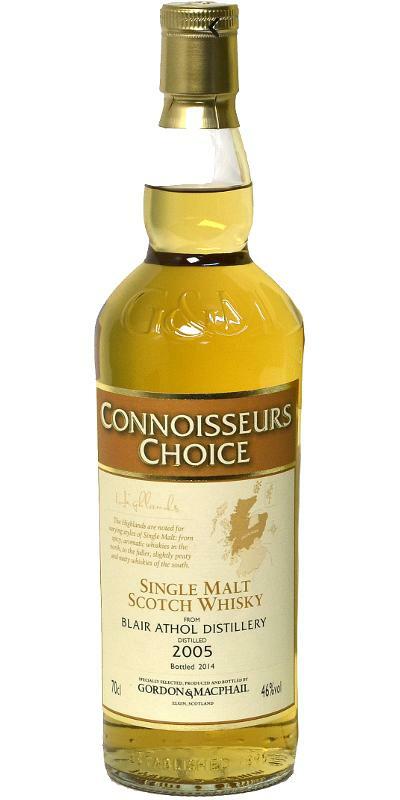 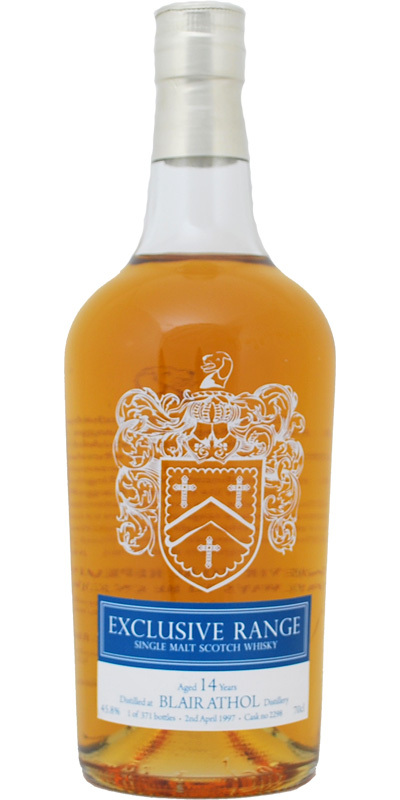 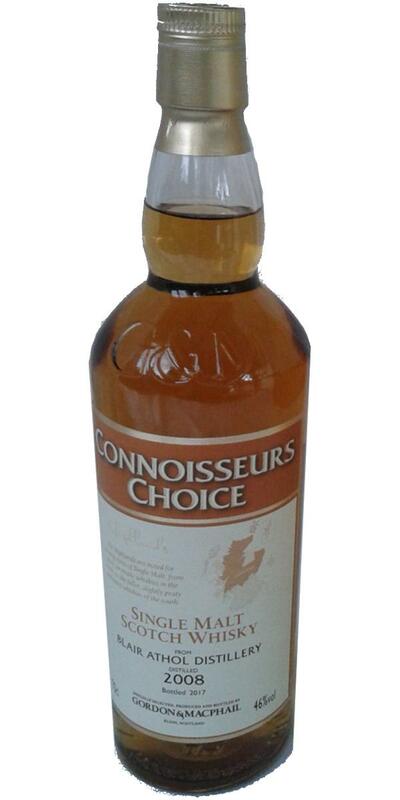 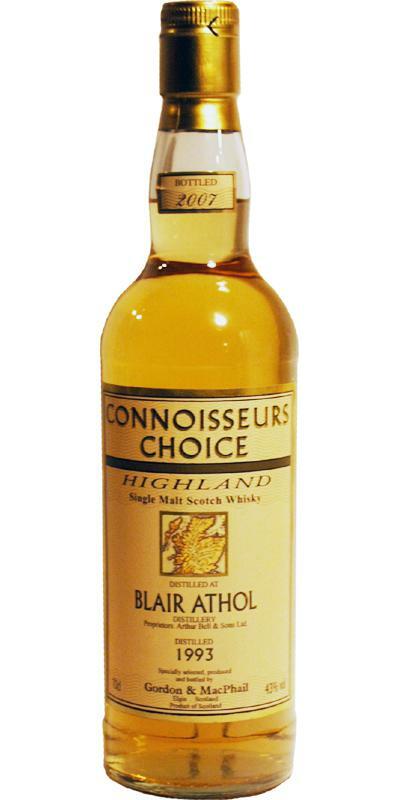 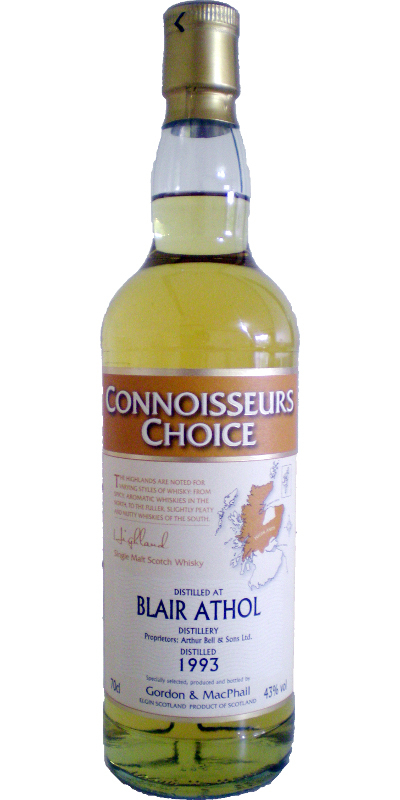 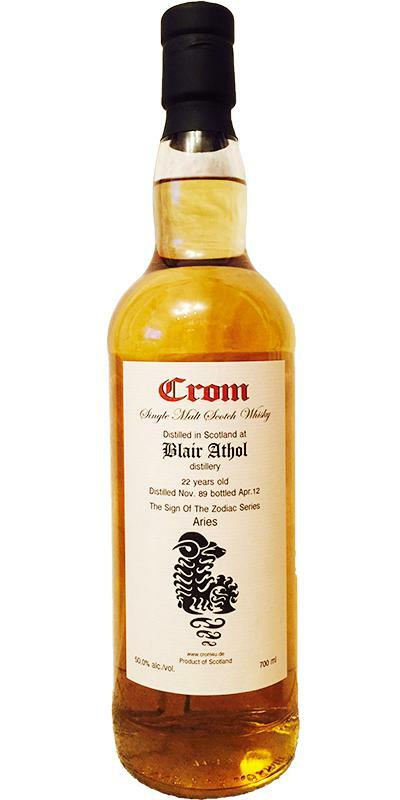 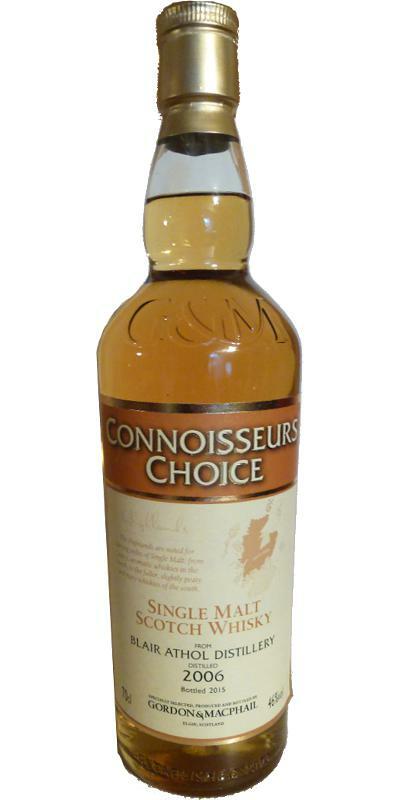 Blair Athol 12-year-old Coronation Single Malt 12 53.0 % Vol. 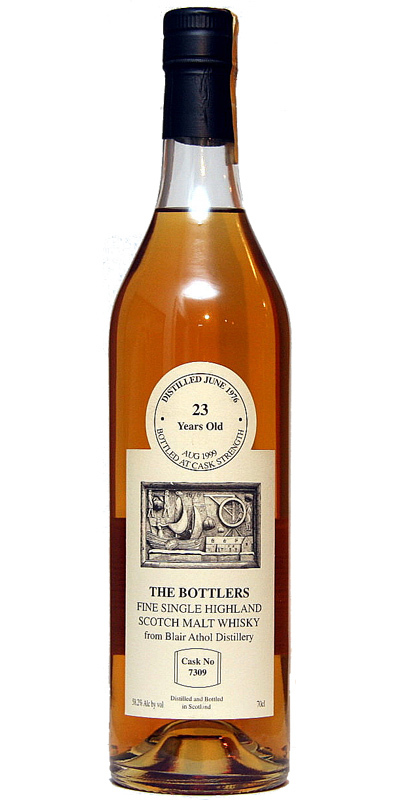 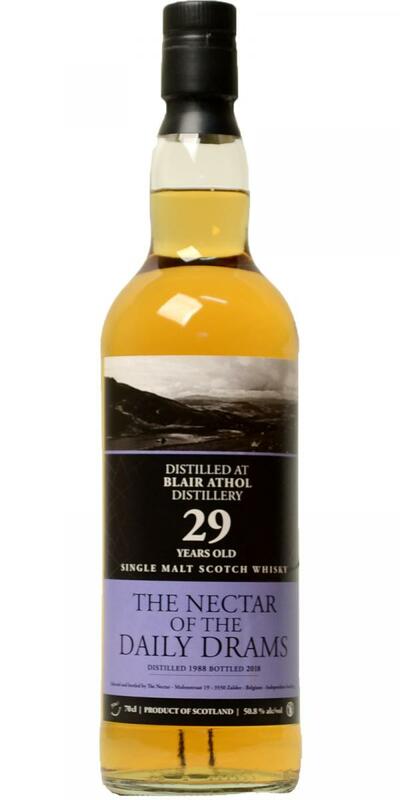 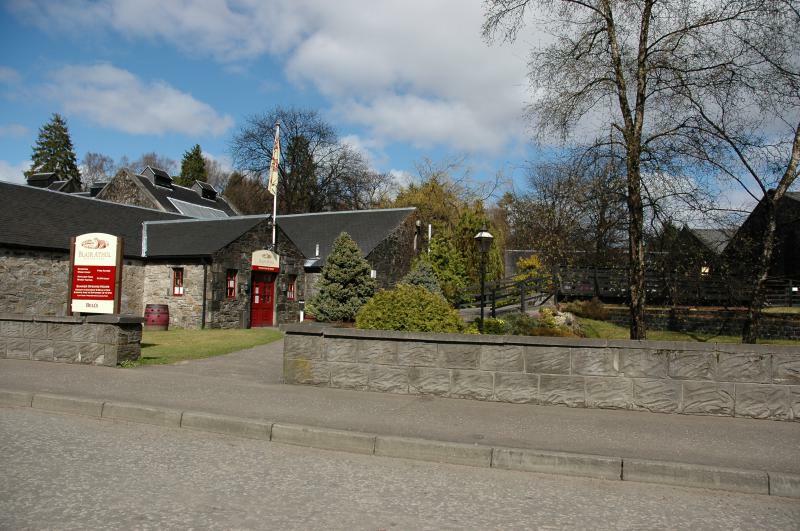 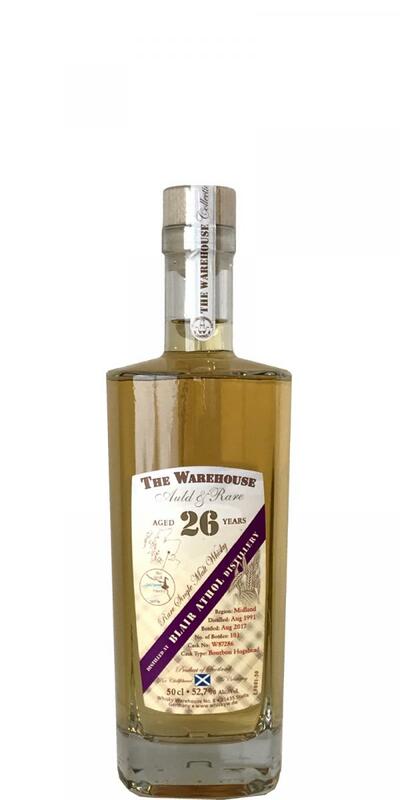 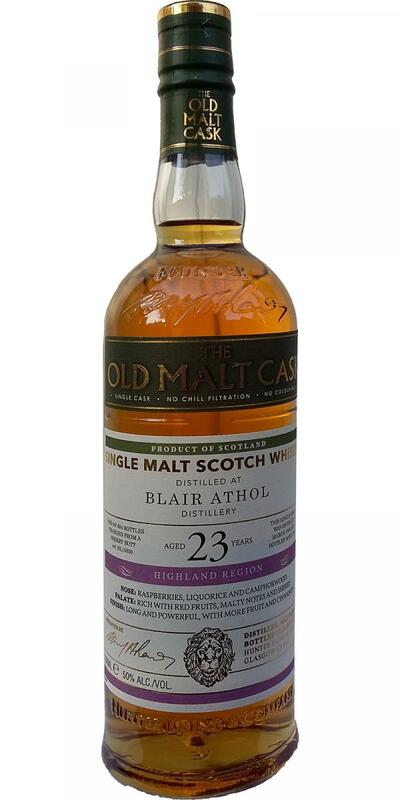 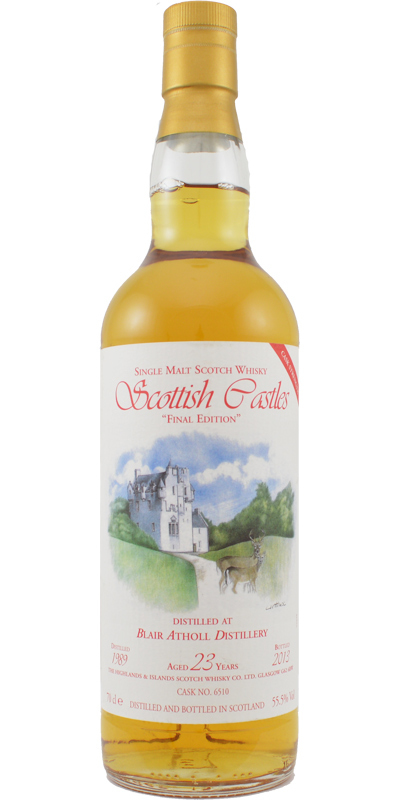 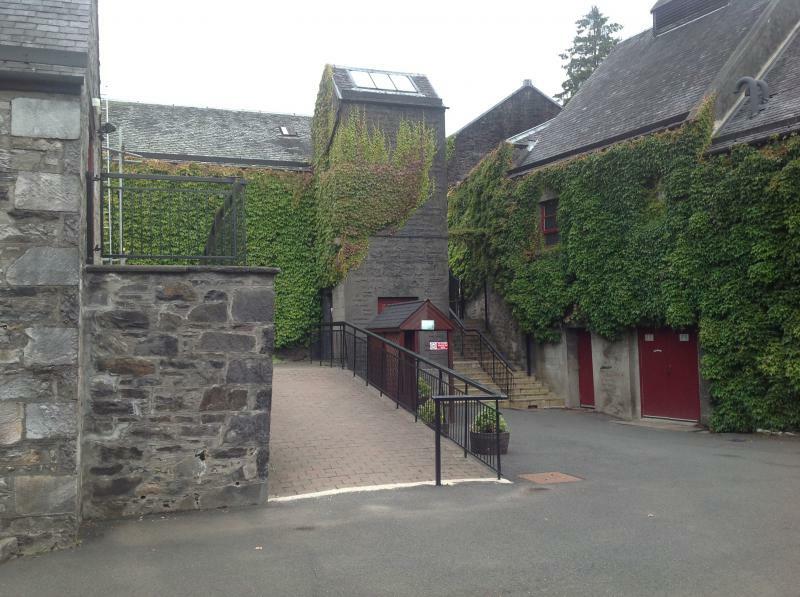 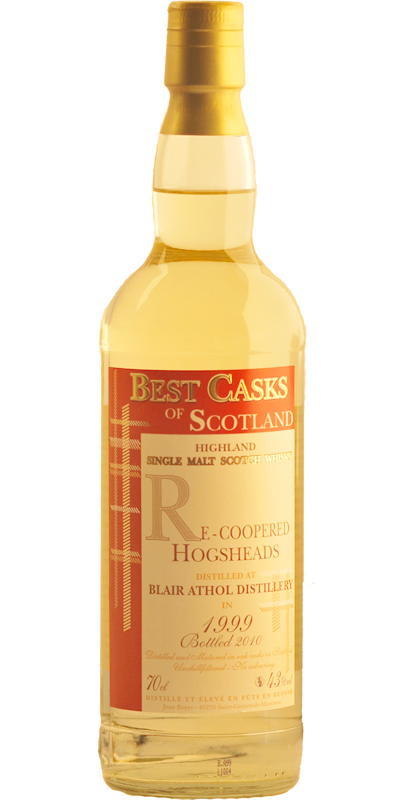 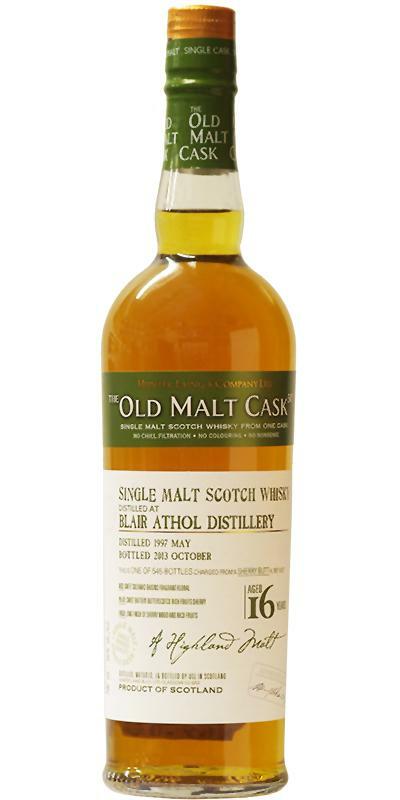 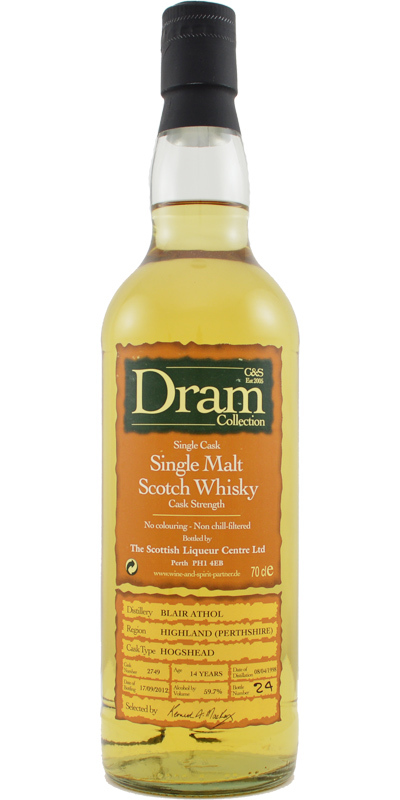 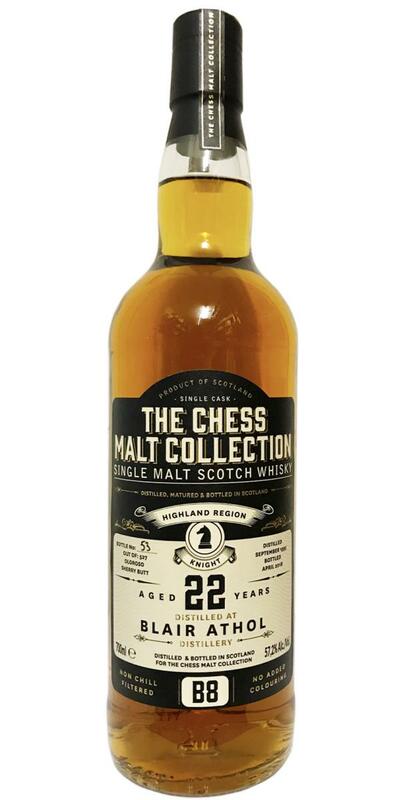 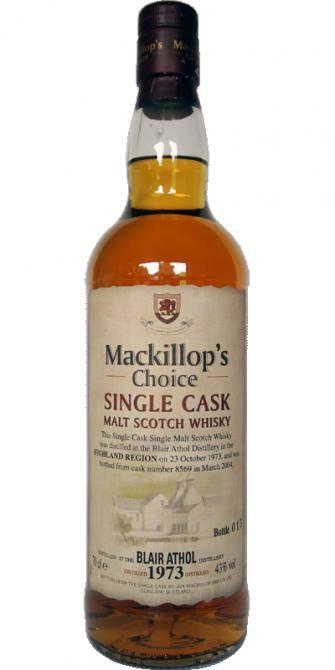 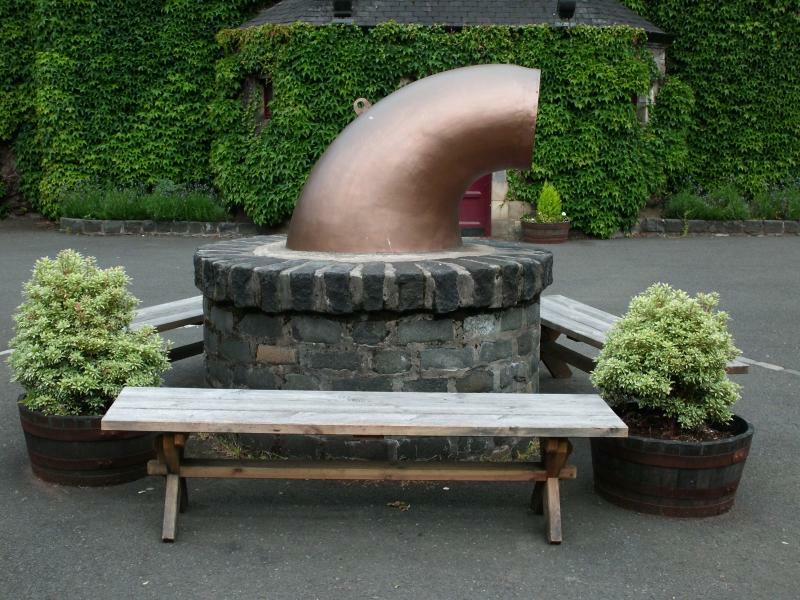 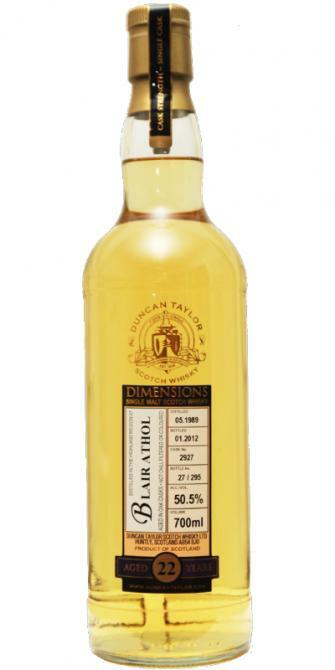 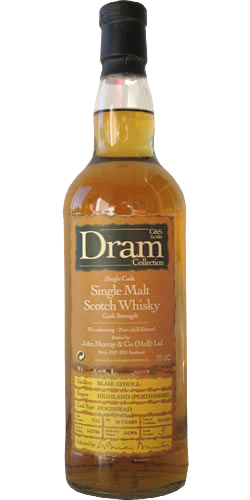 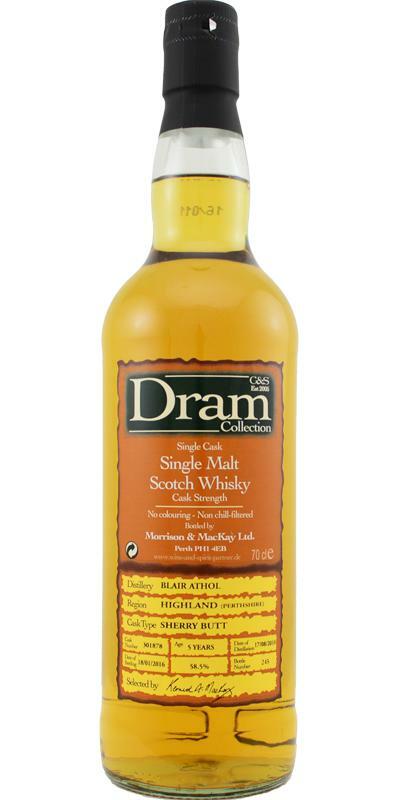 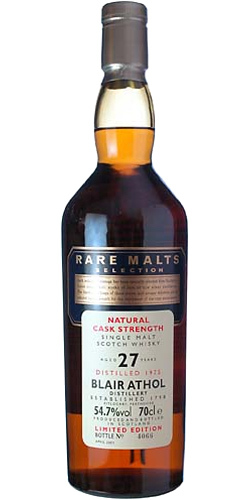 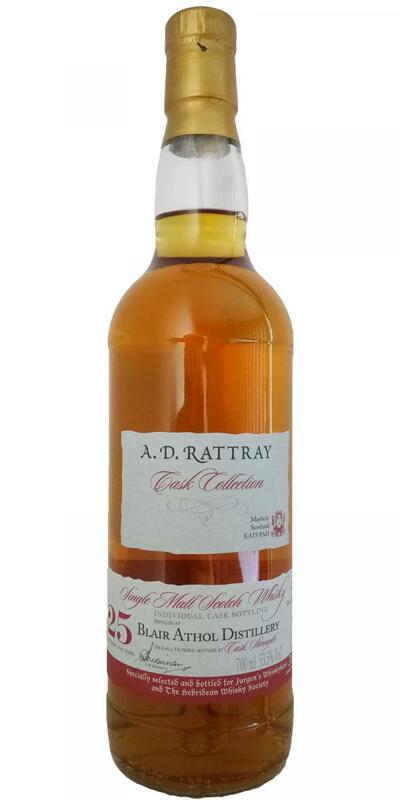 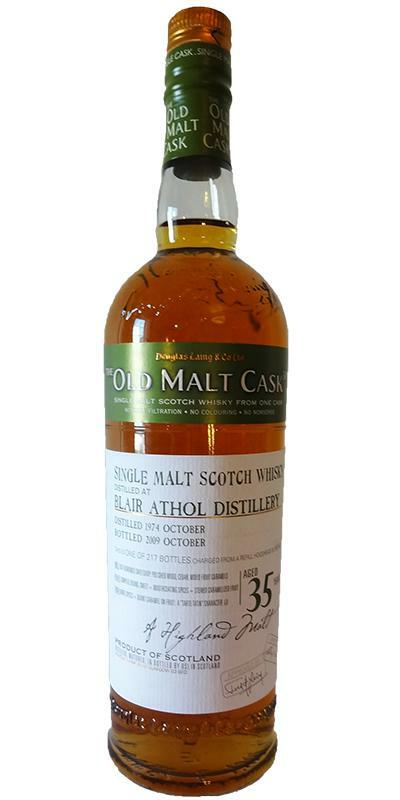 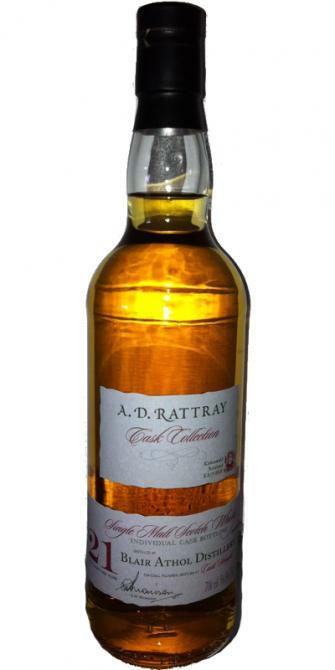 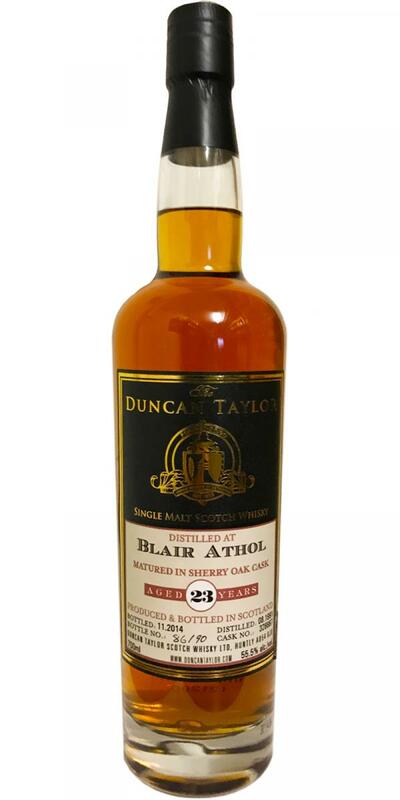 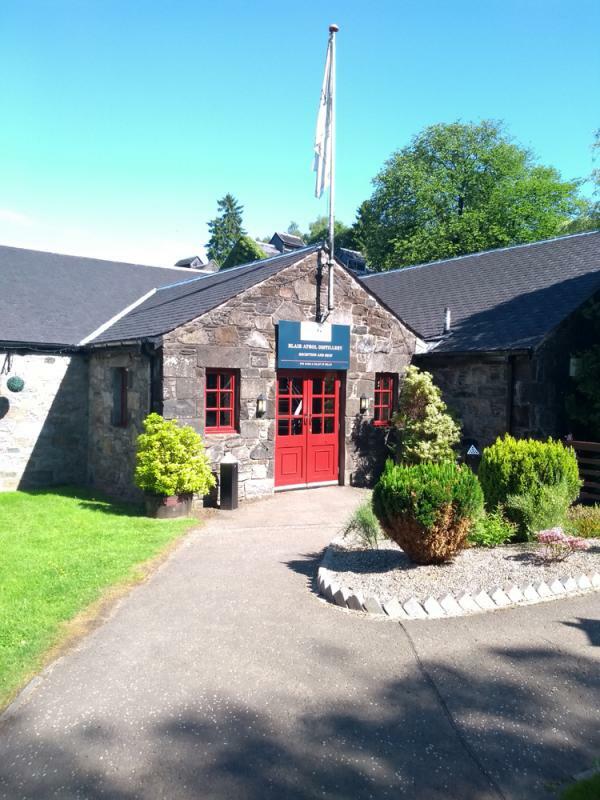 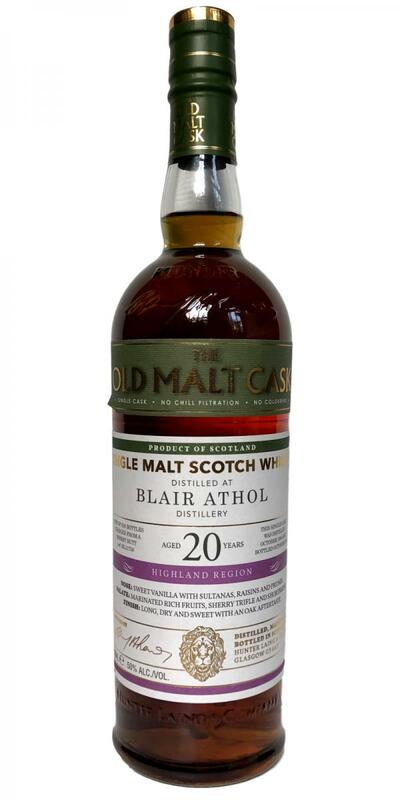 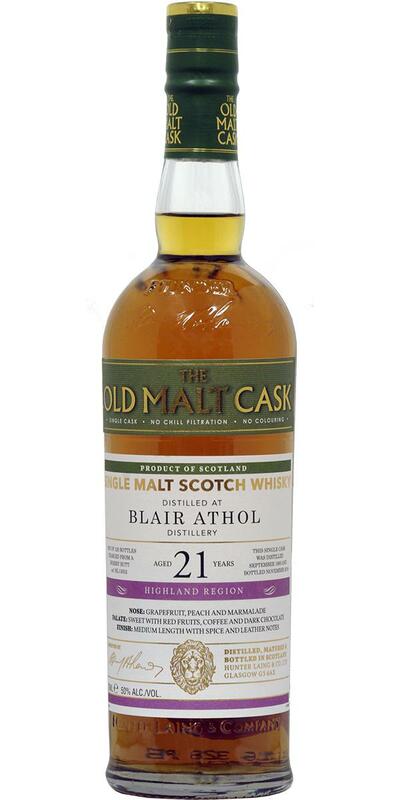 Blair Athol 22-year-old DR Cask Collection 22 55.8 % Vol. 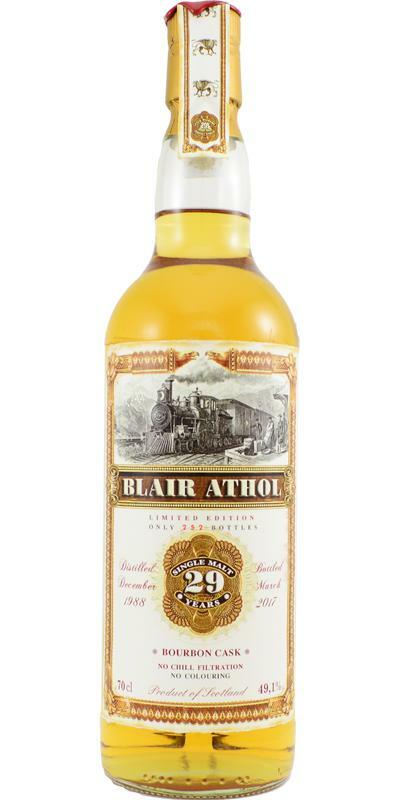 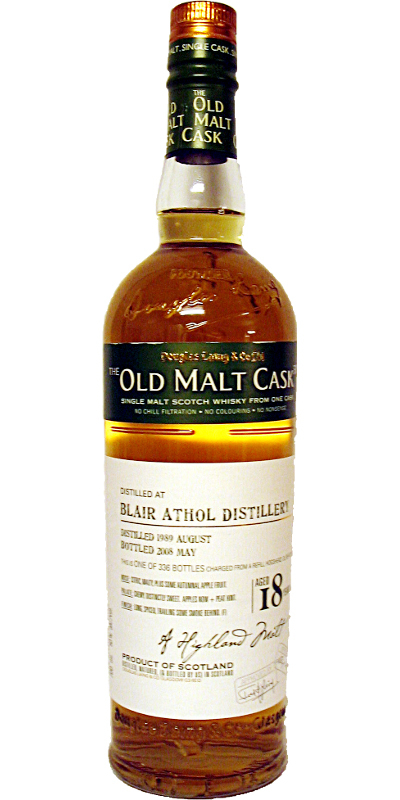 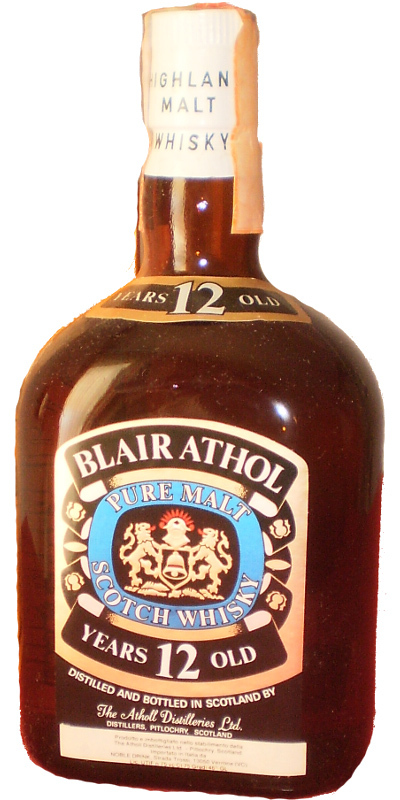 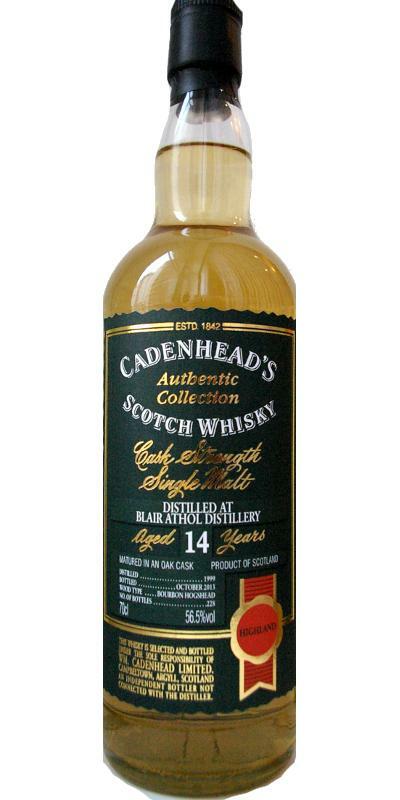 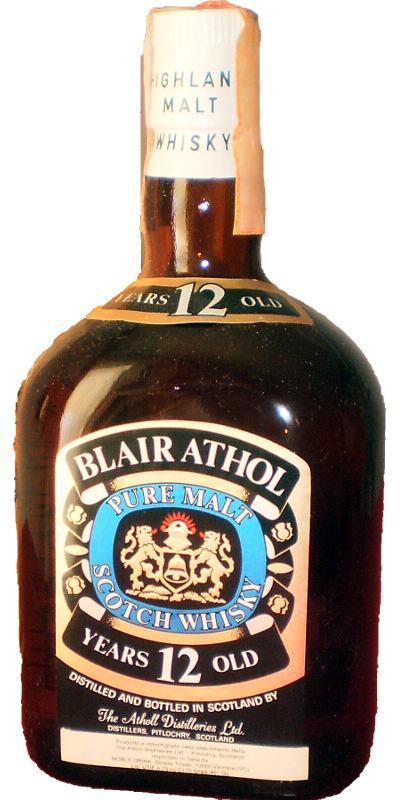 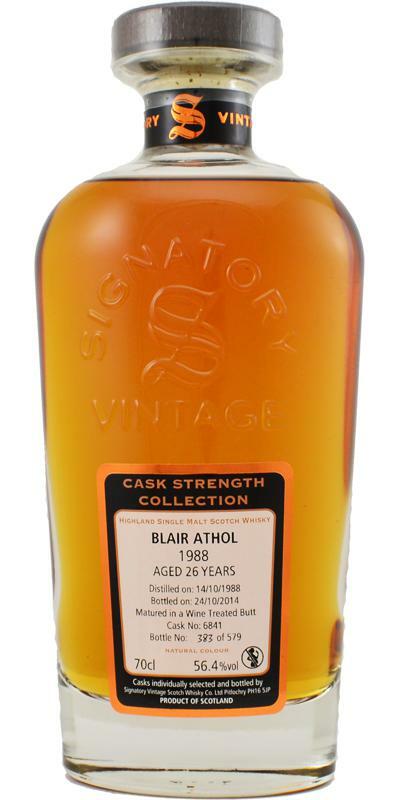 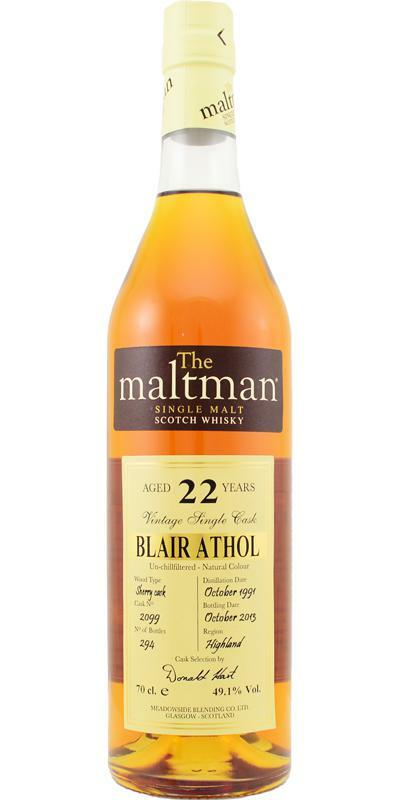 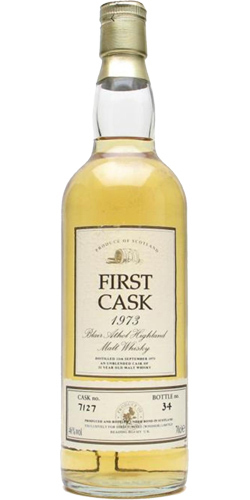 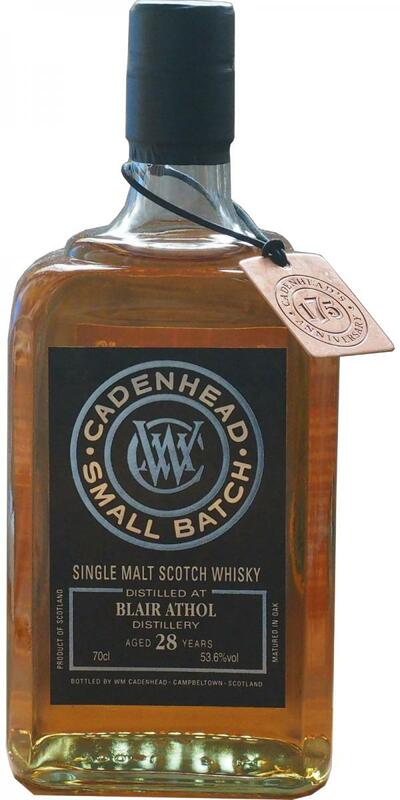 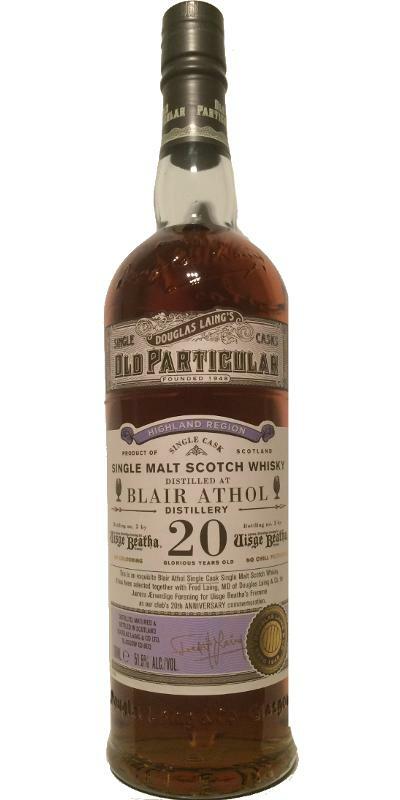 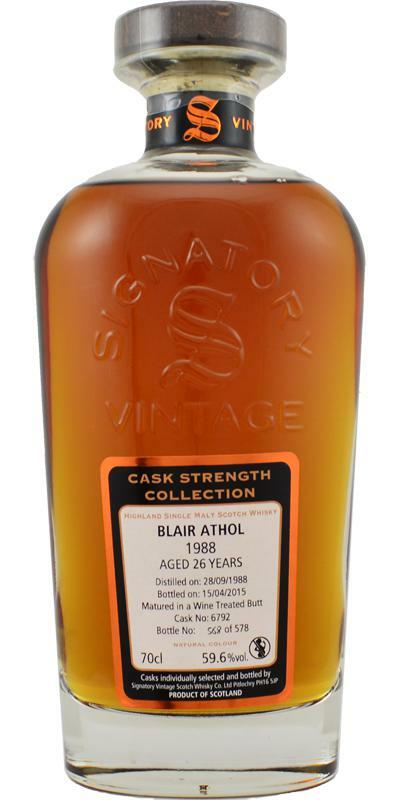 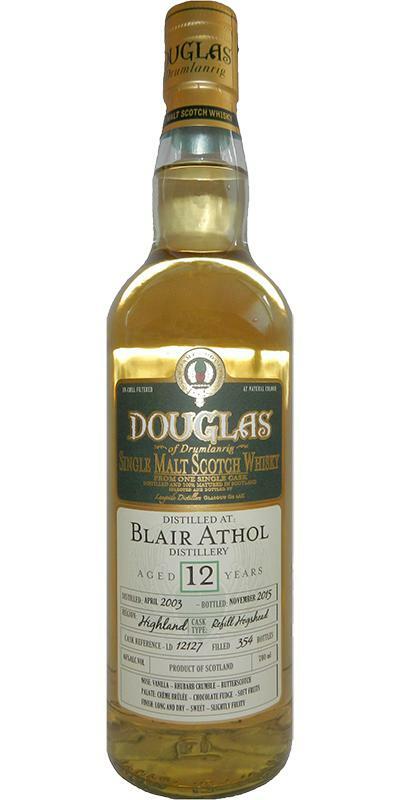 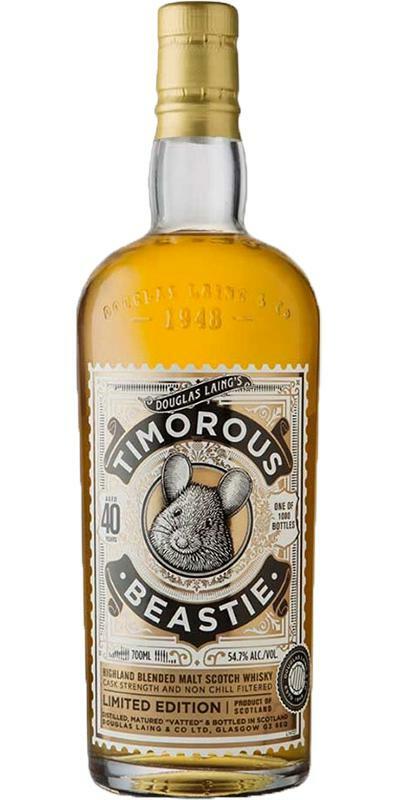 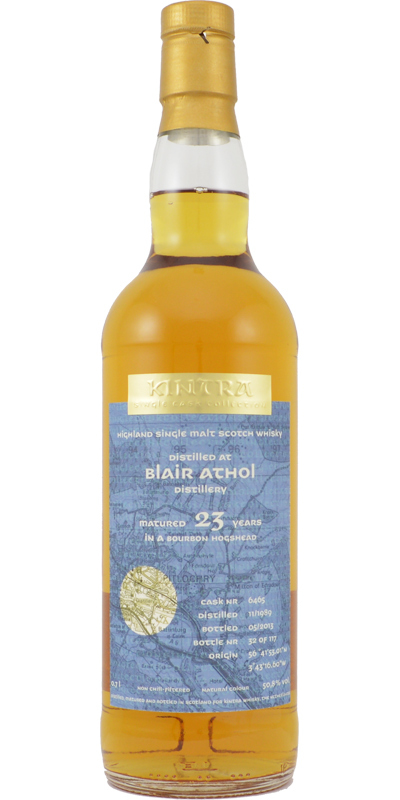 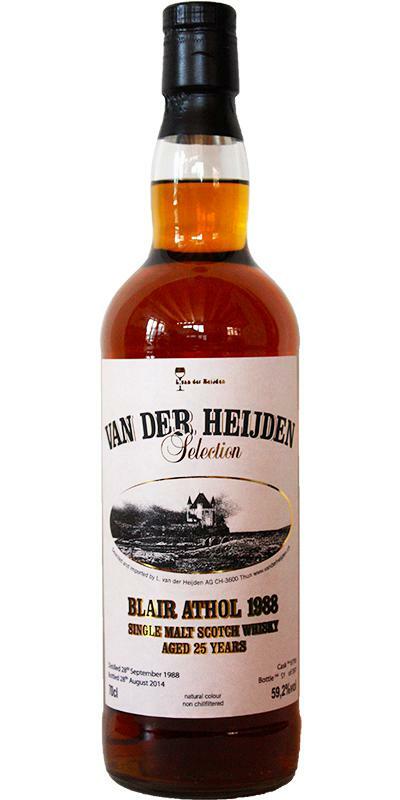 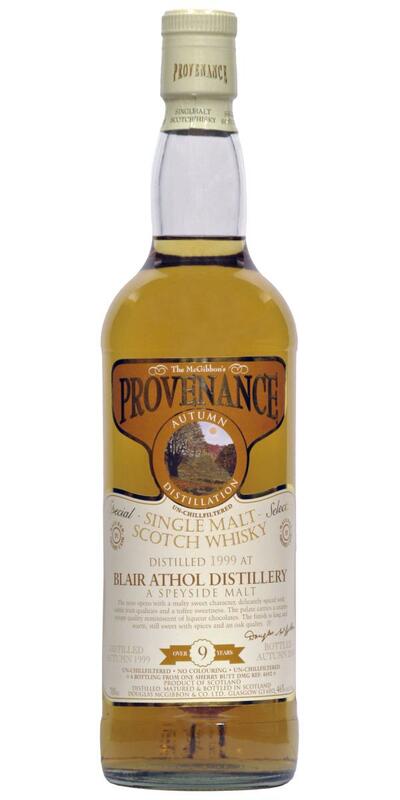 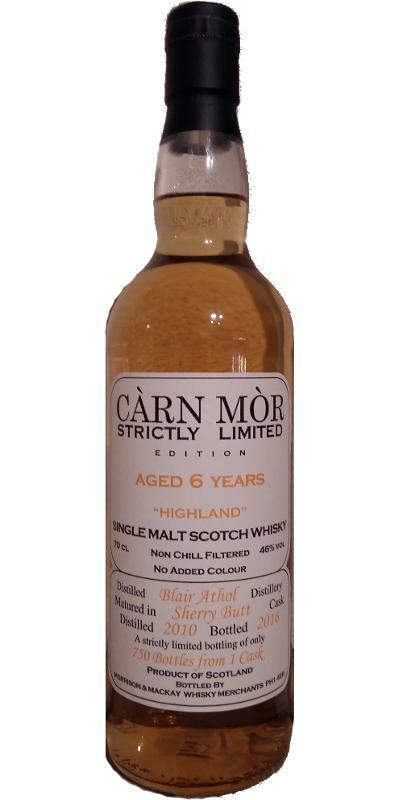 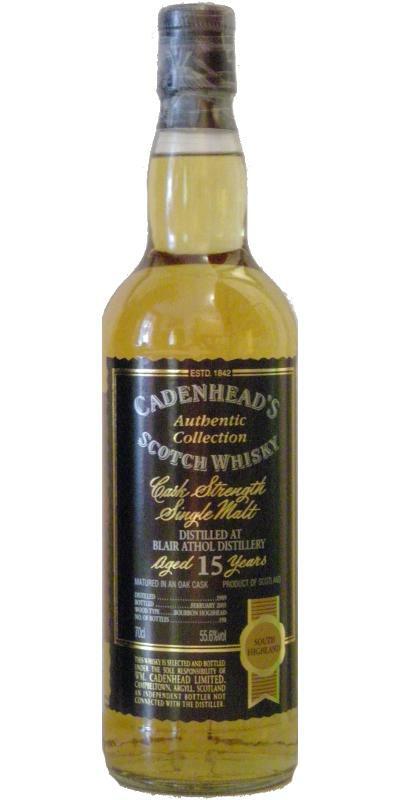 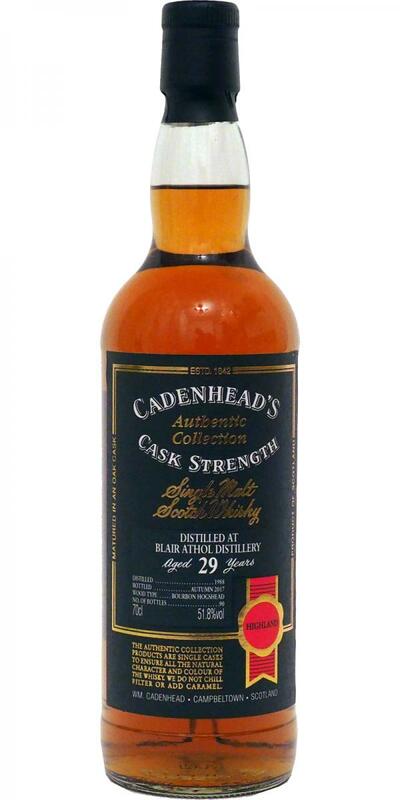 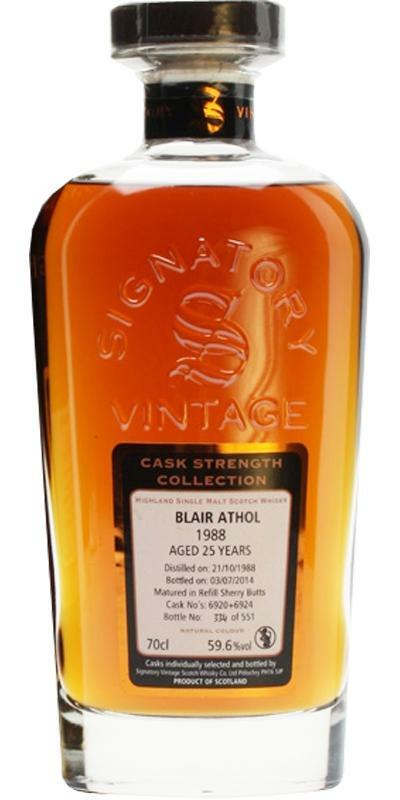 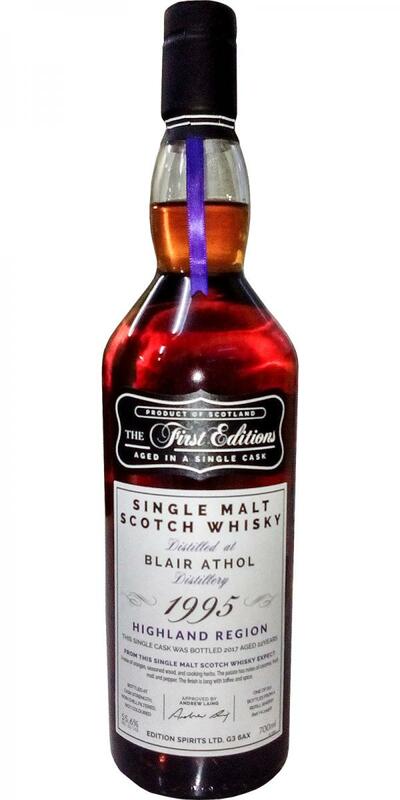 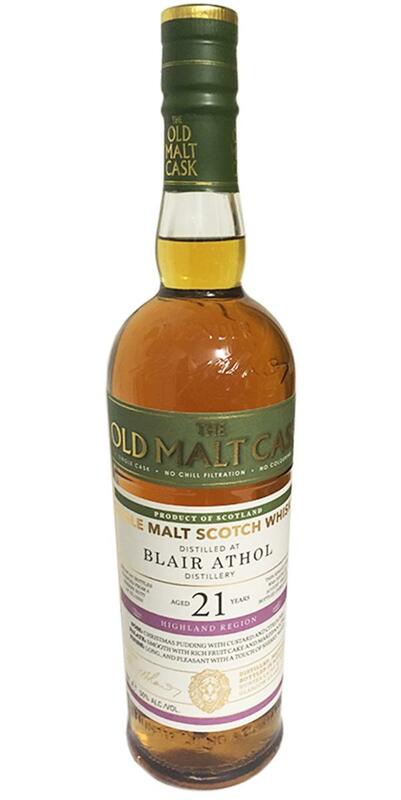 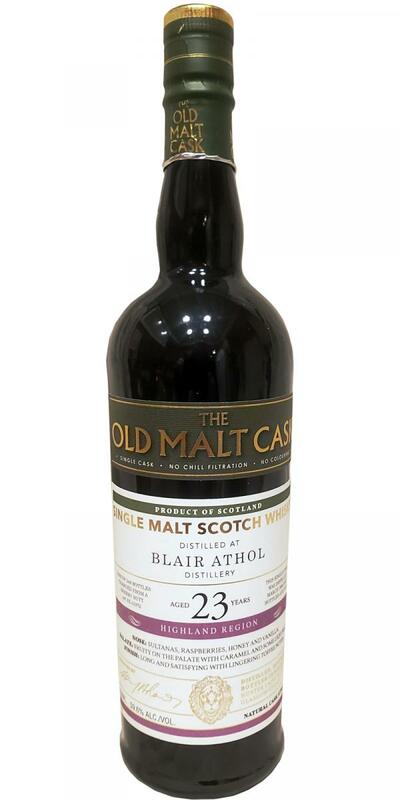 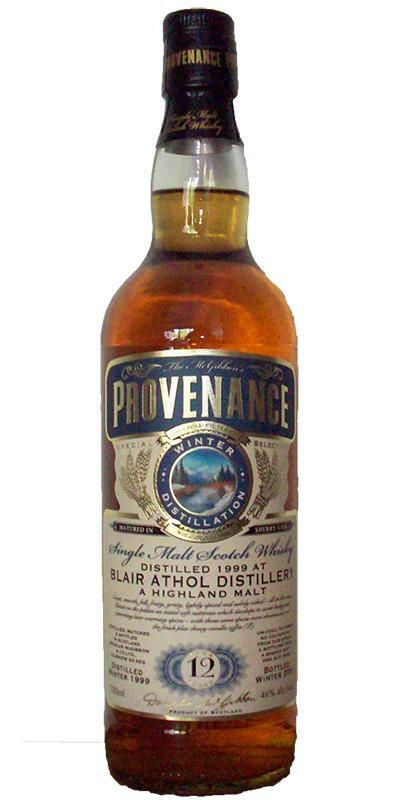 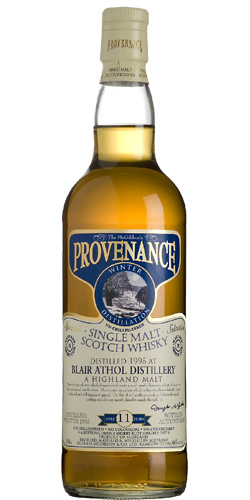 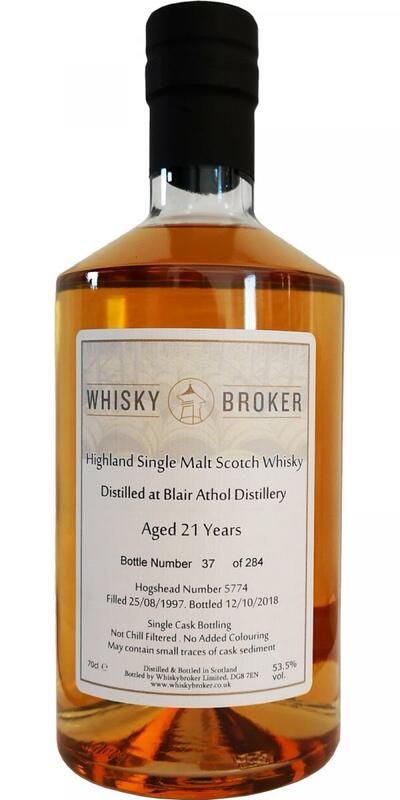 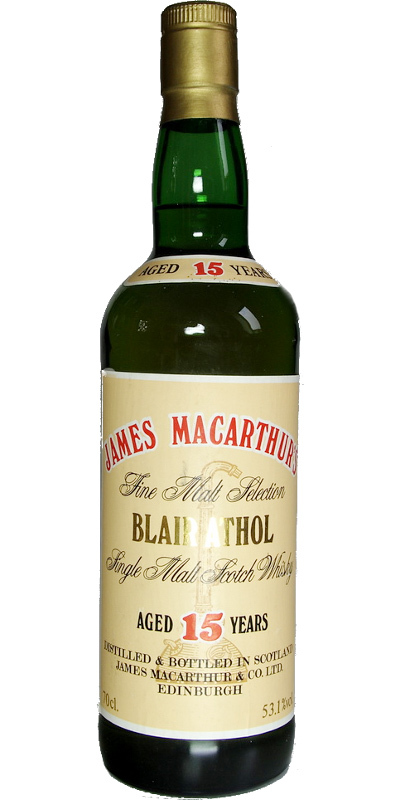 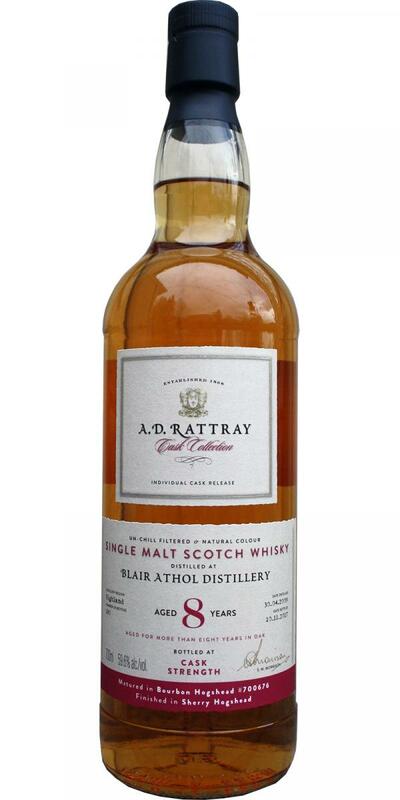 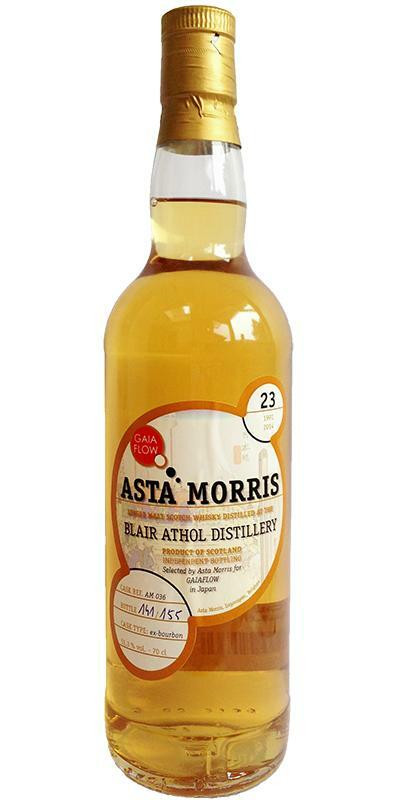 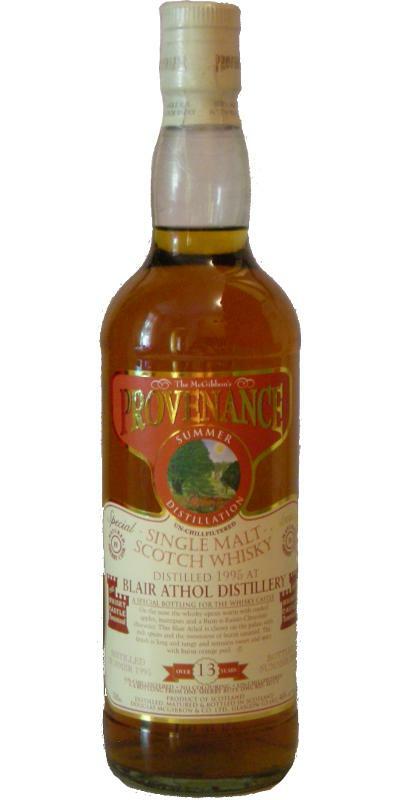 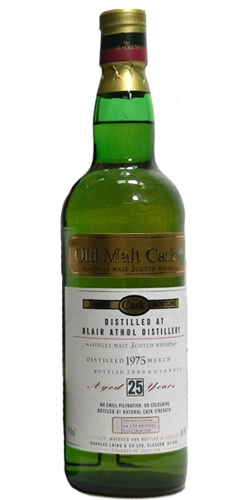 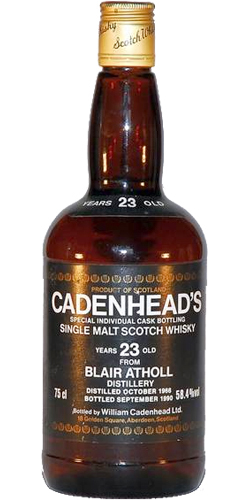 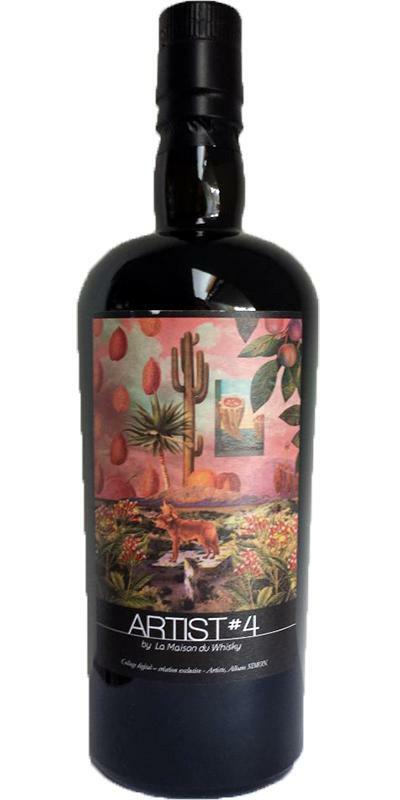 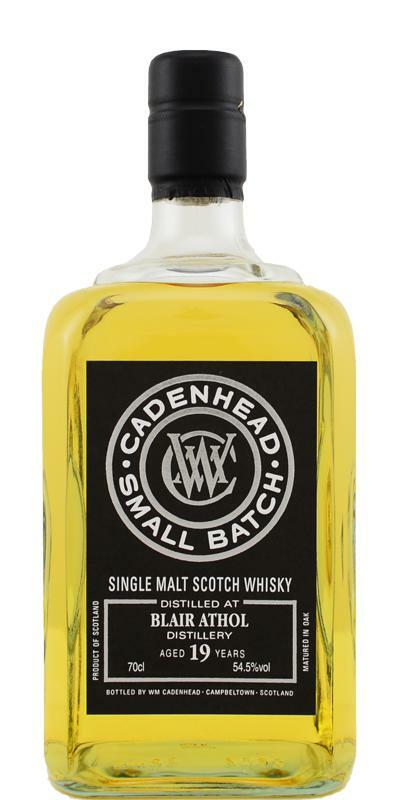 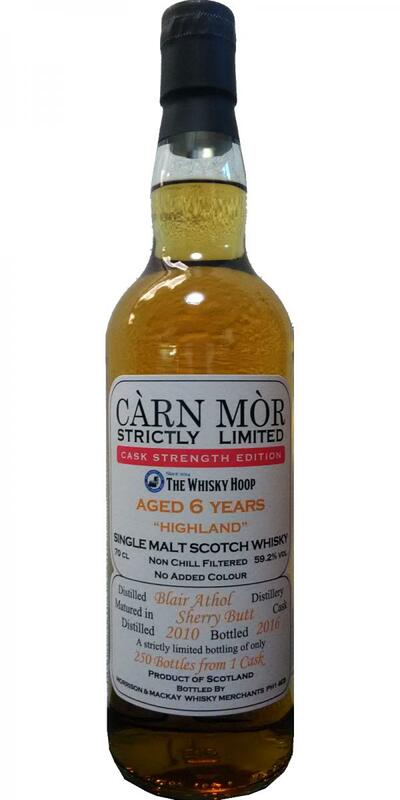 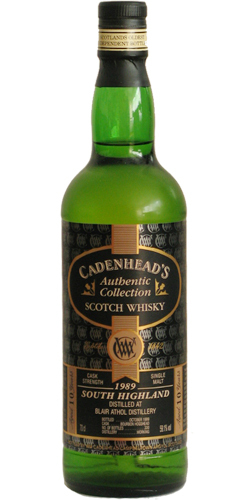 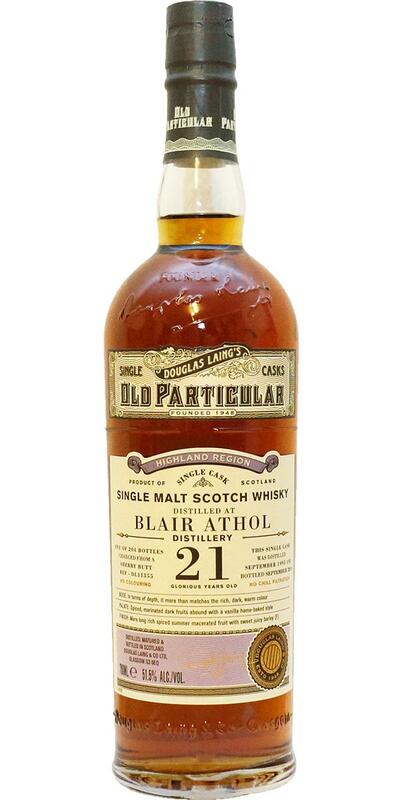 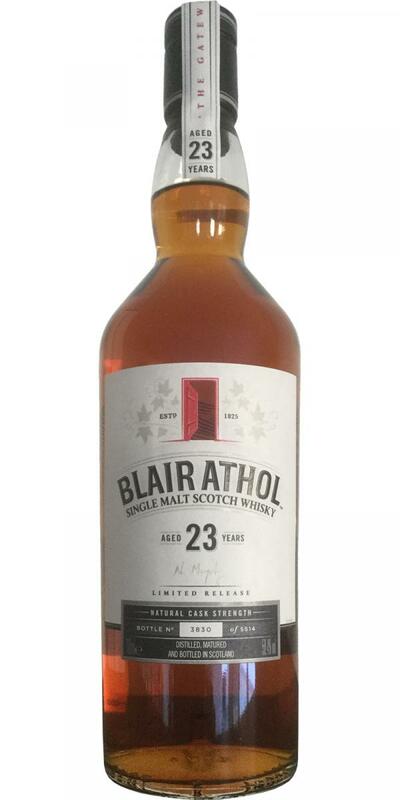 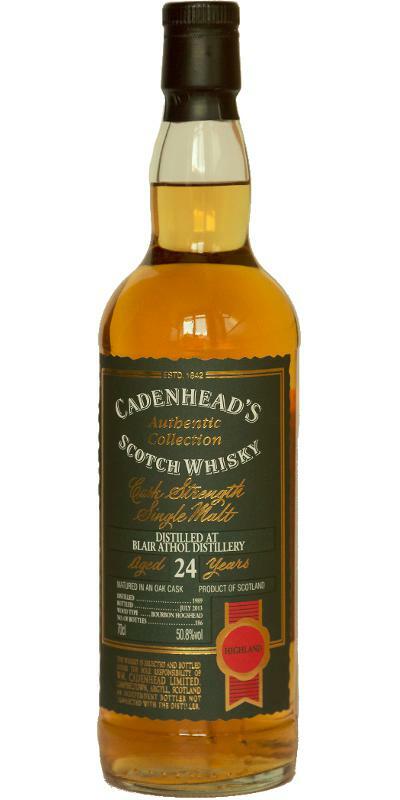 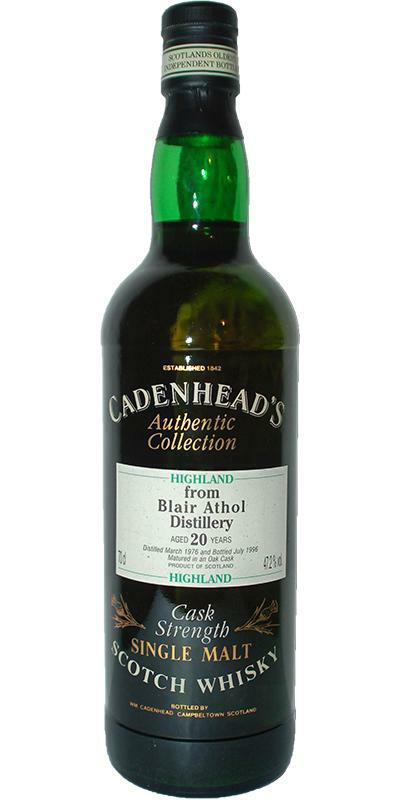 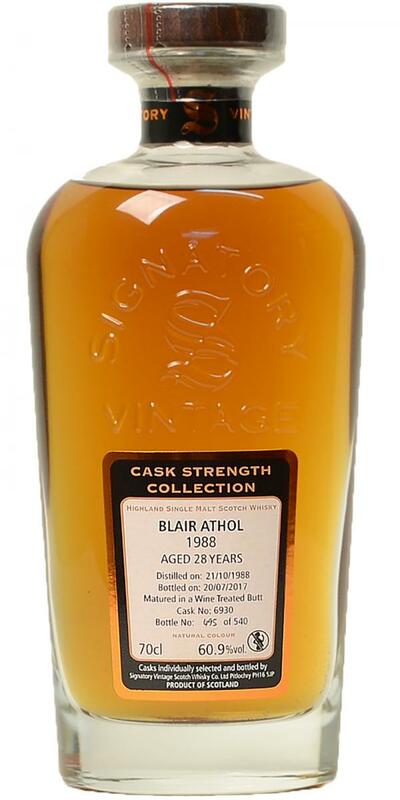 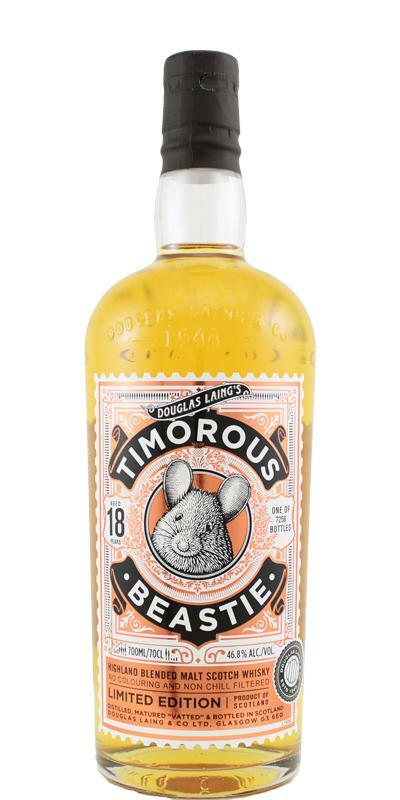 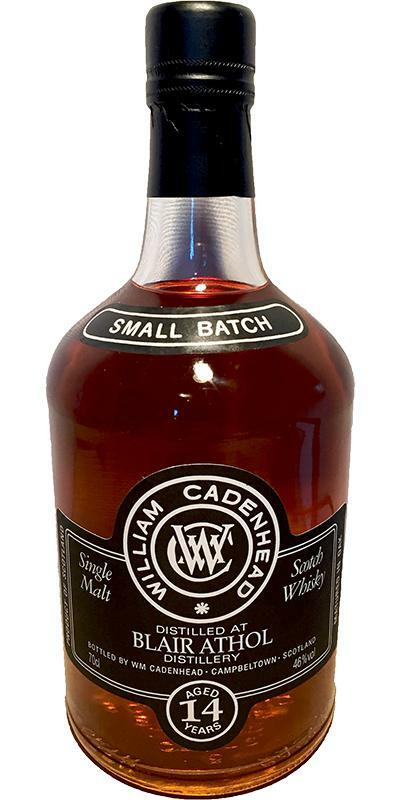 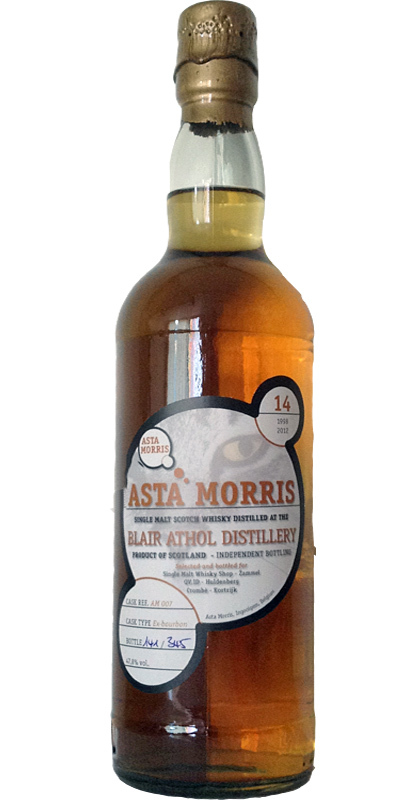 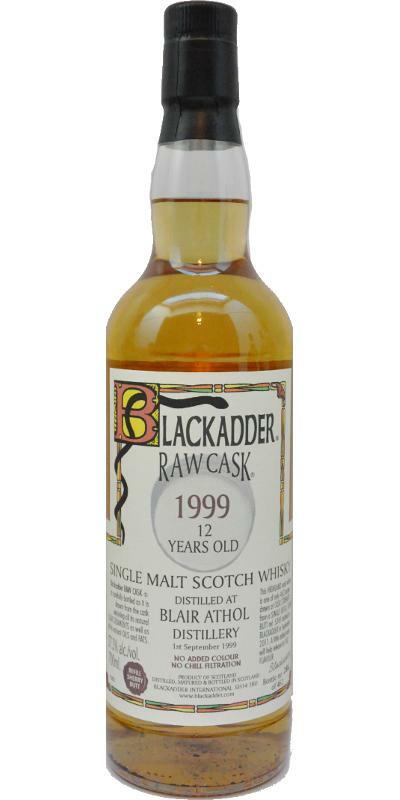 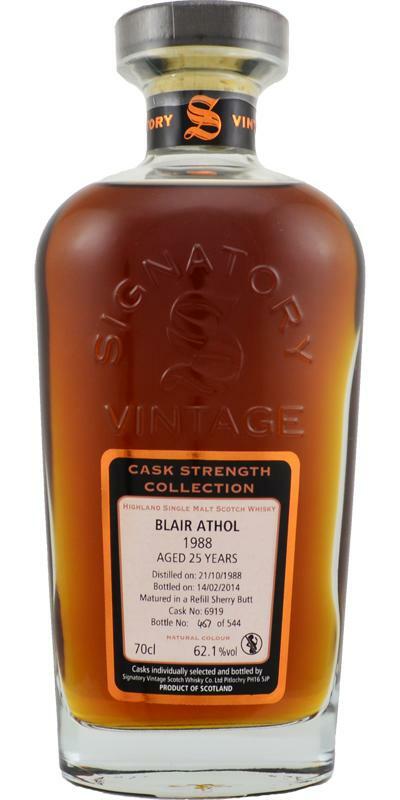 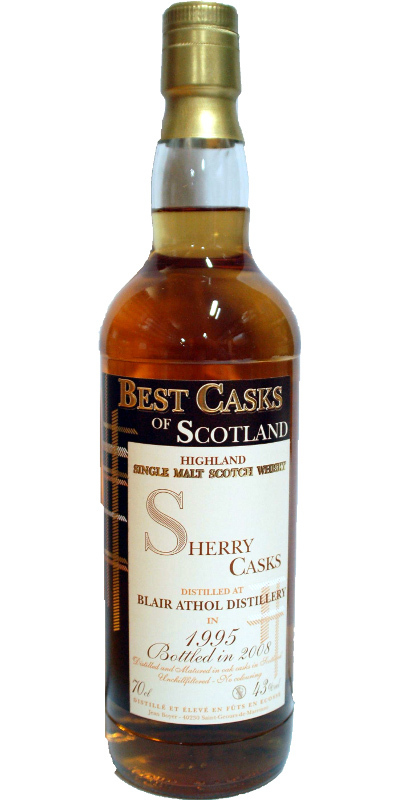 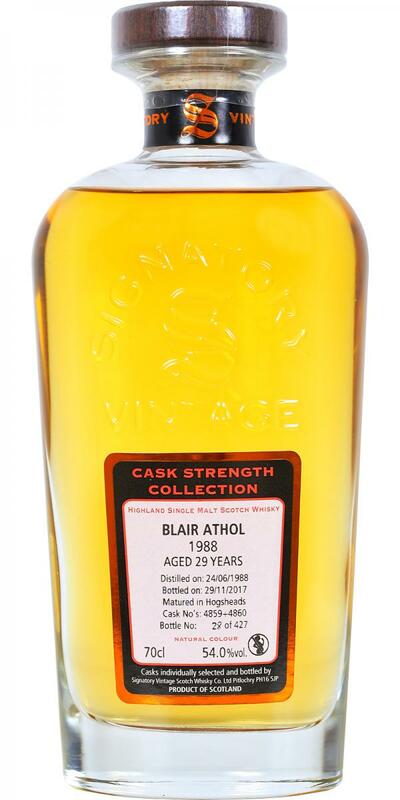 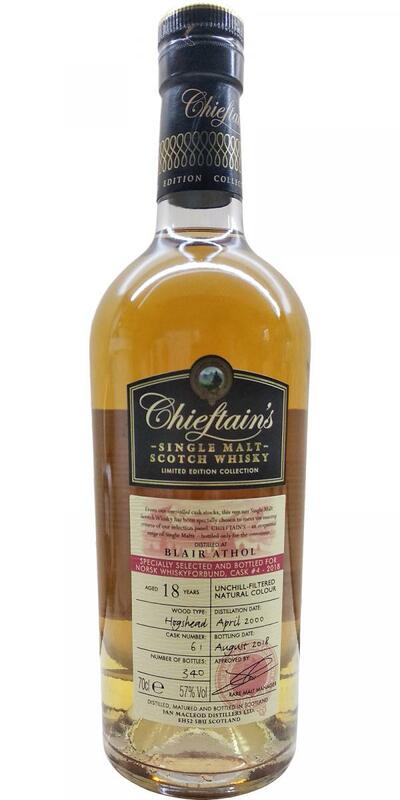 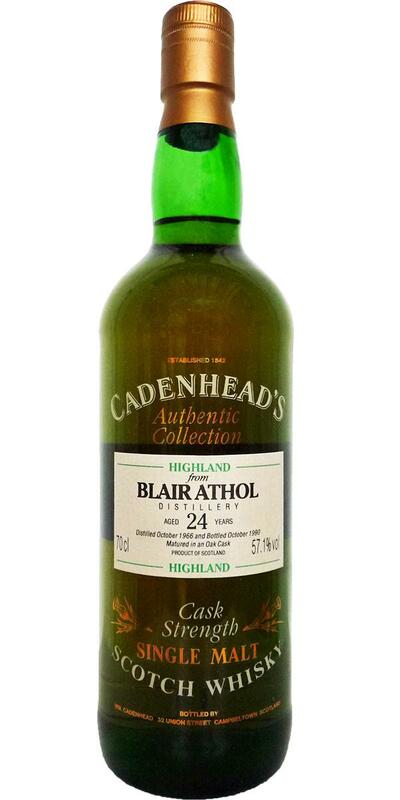 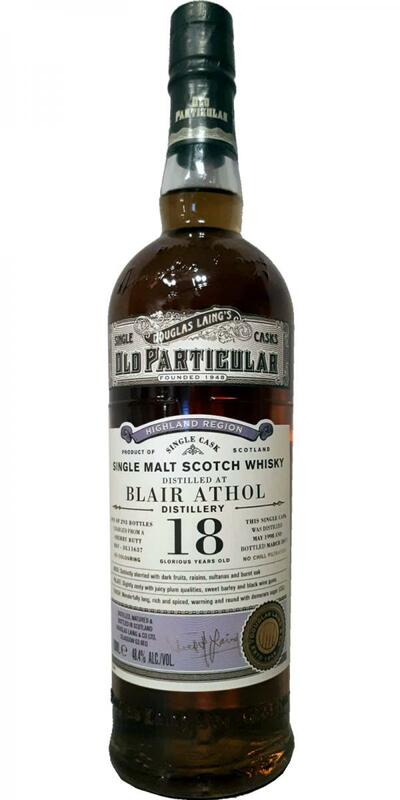 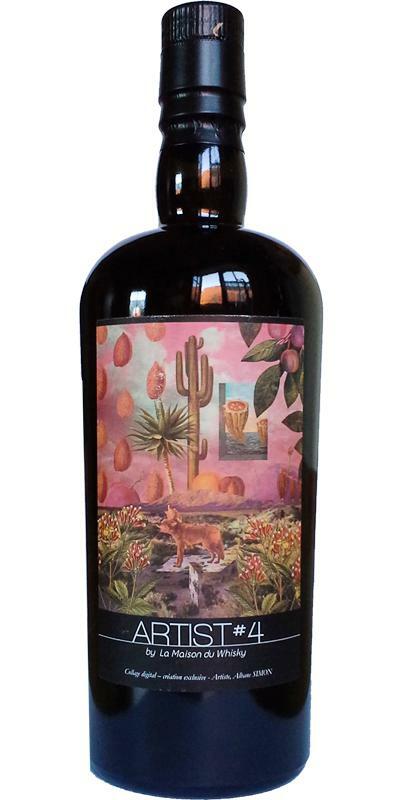 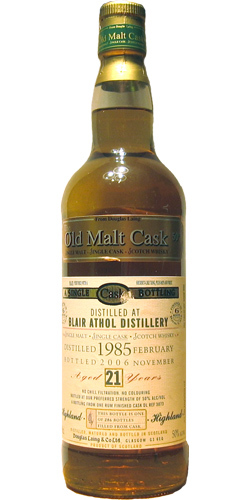 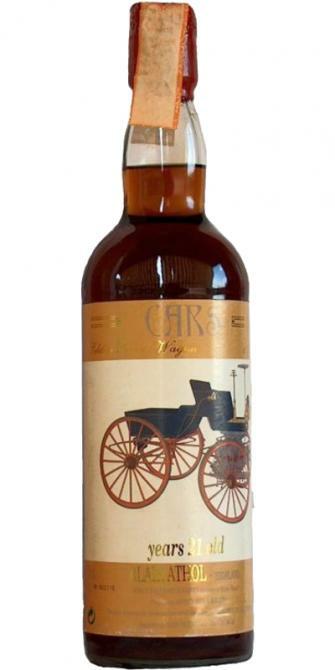 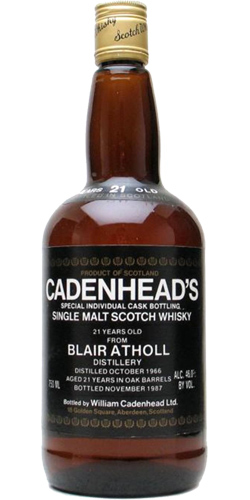 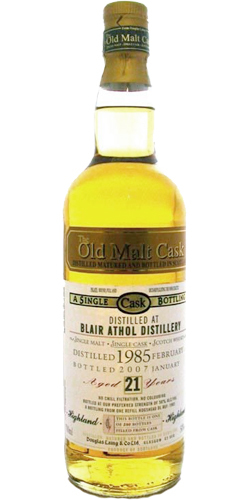 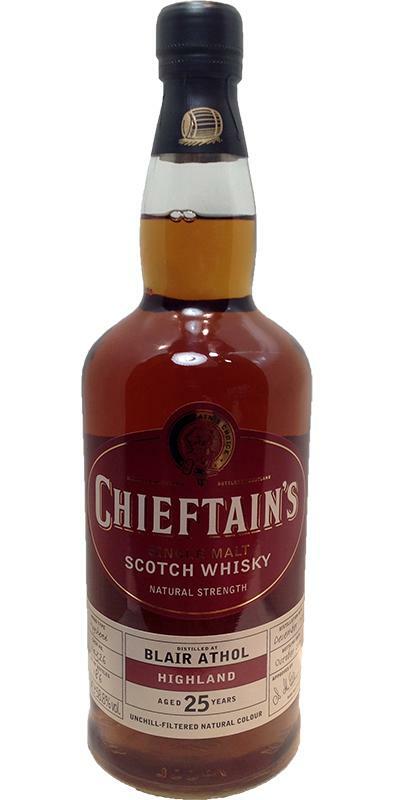 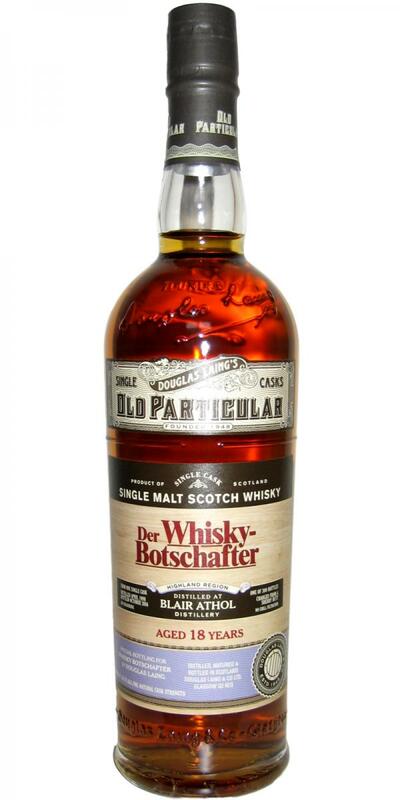 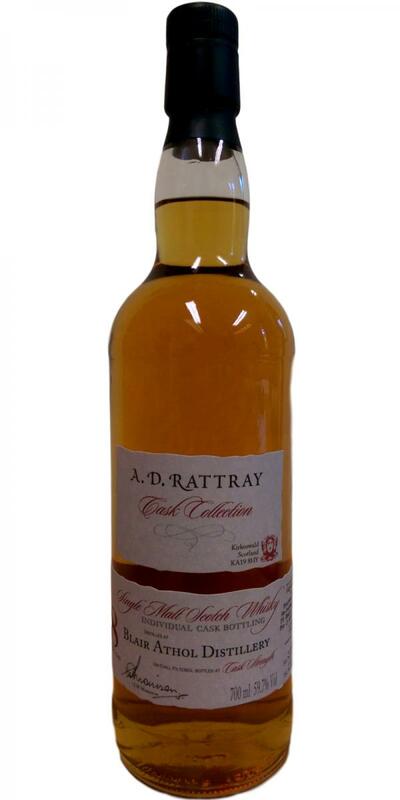 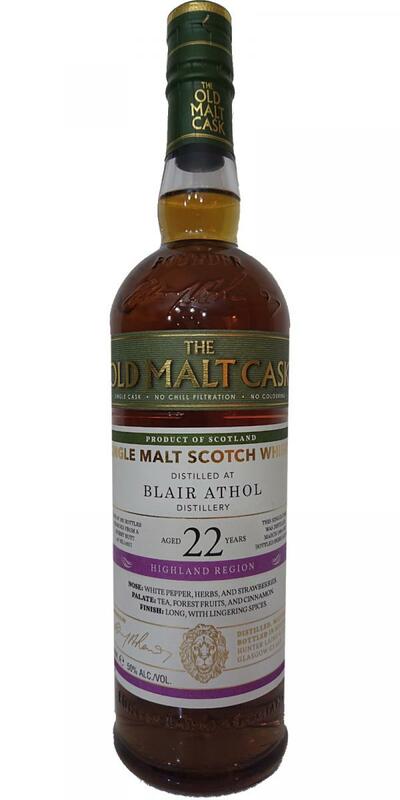 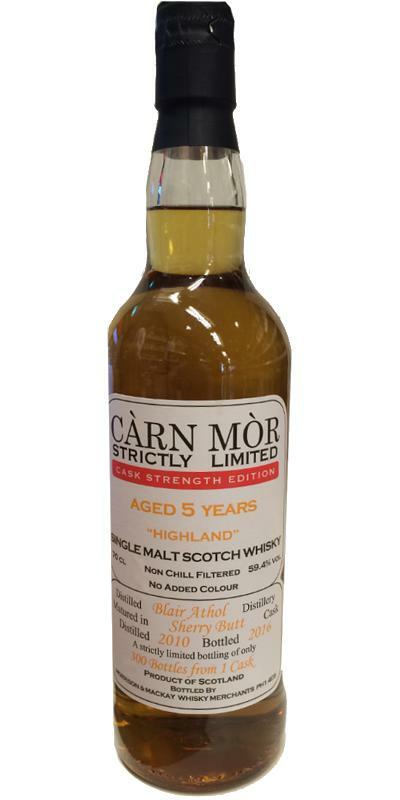 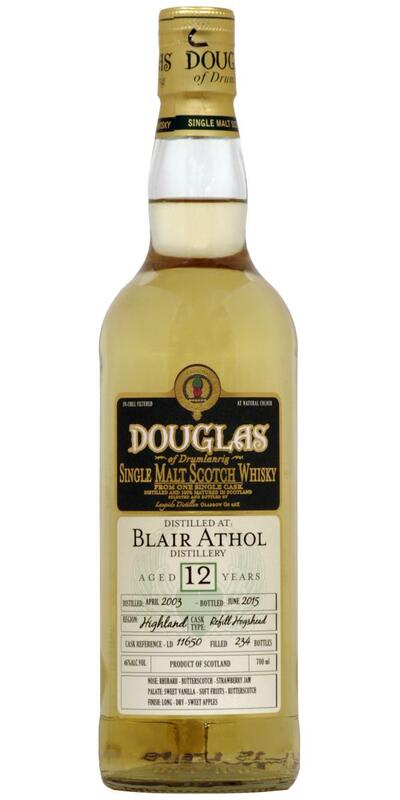 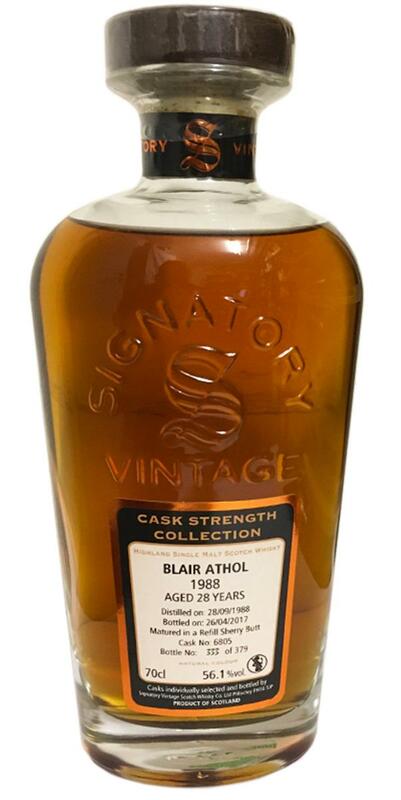 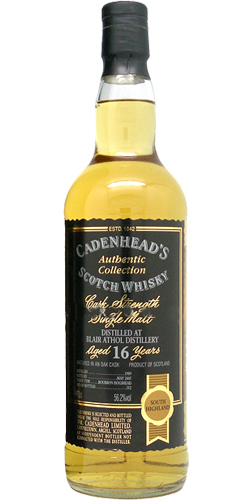 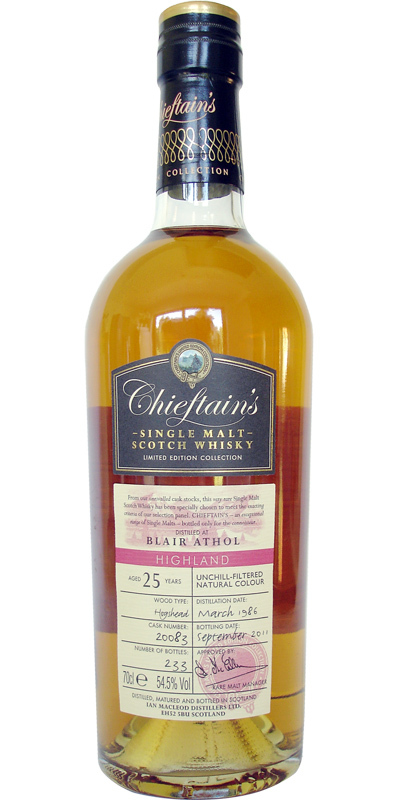 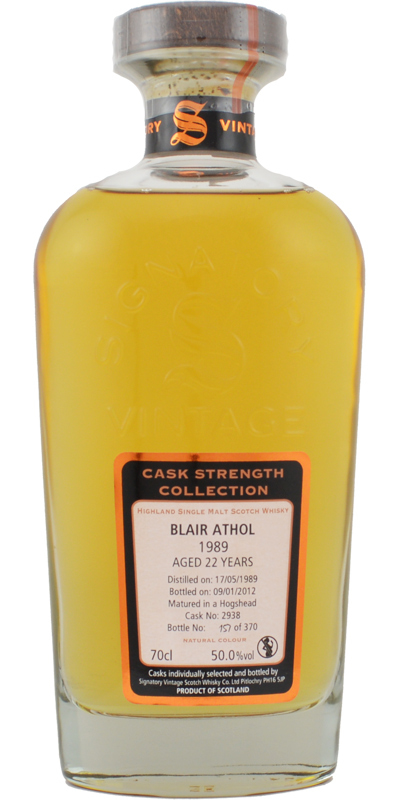 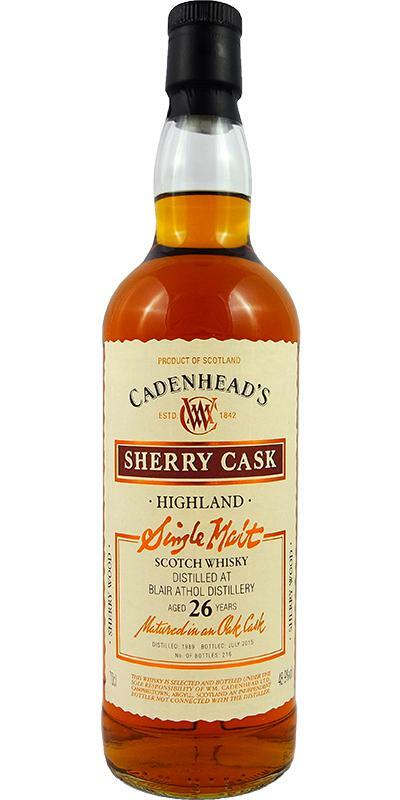 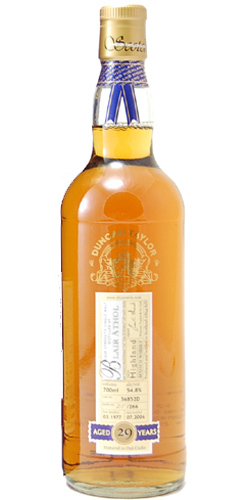 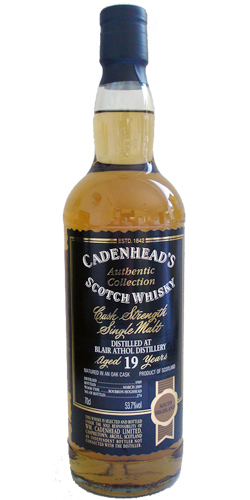 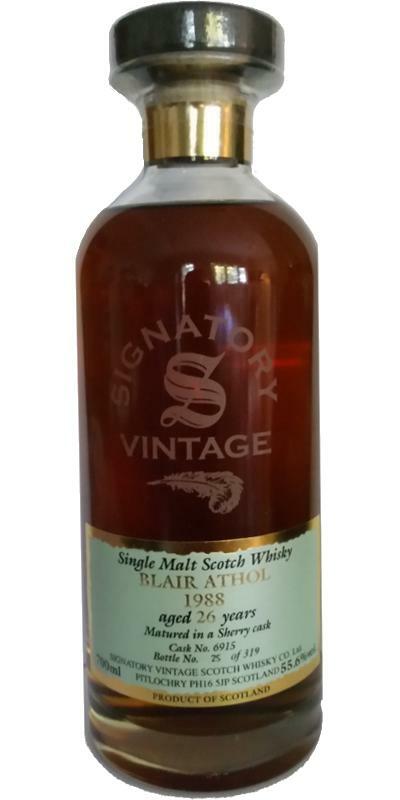 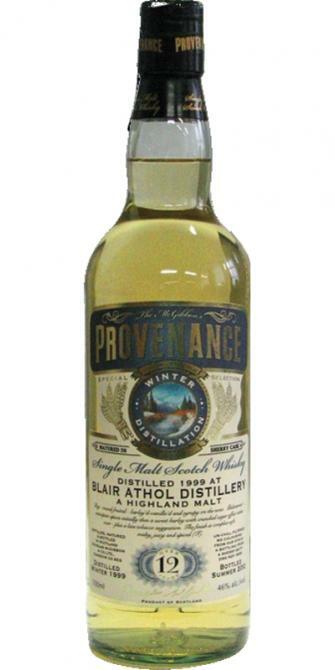 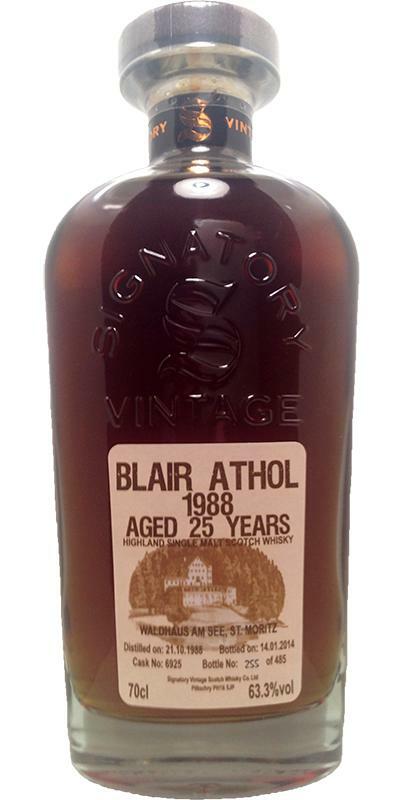 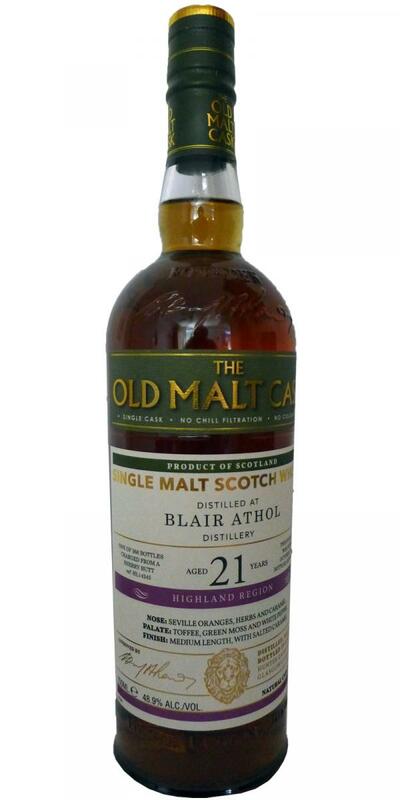 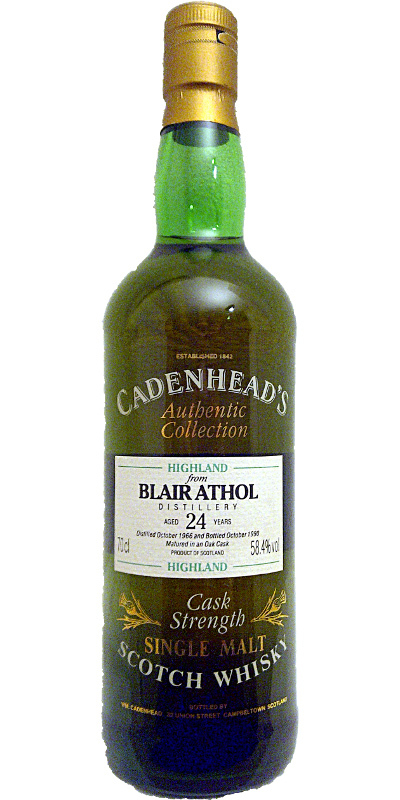 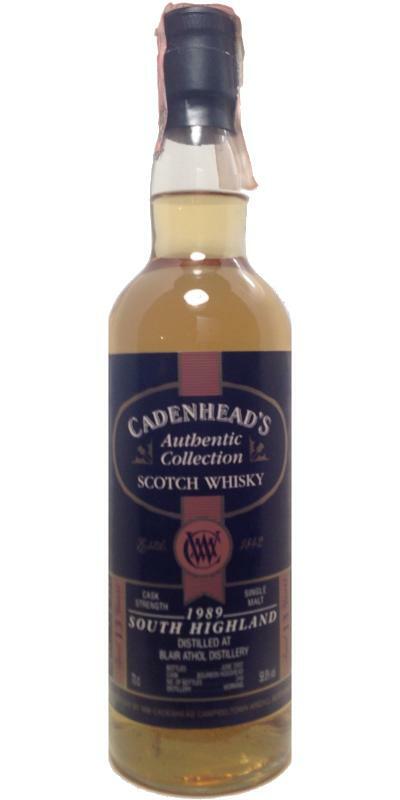 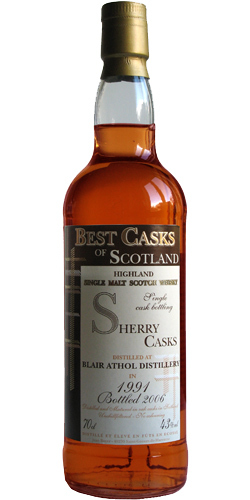 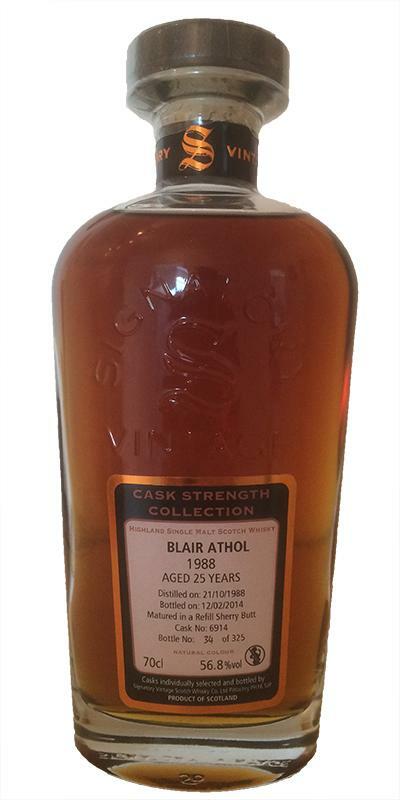 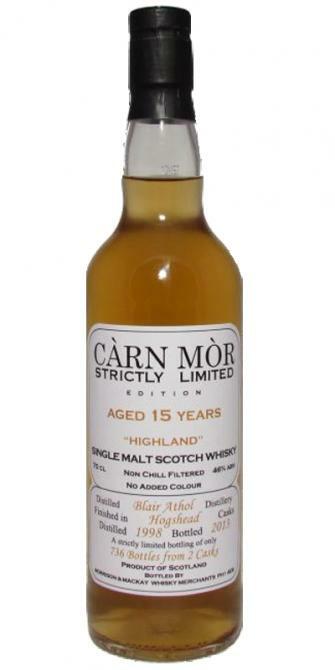 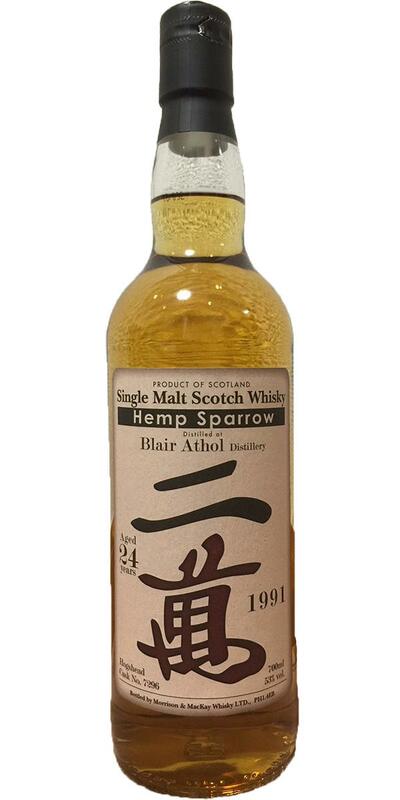 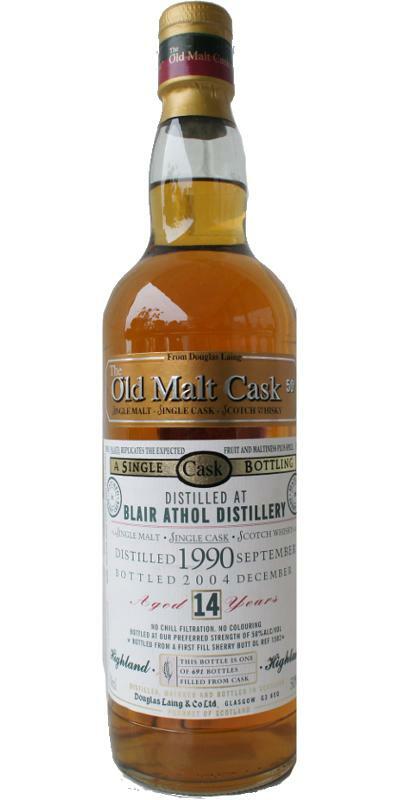 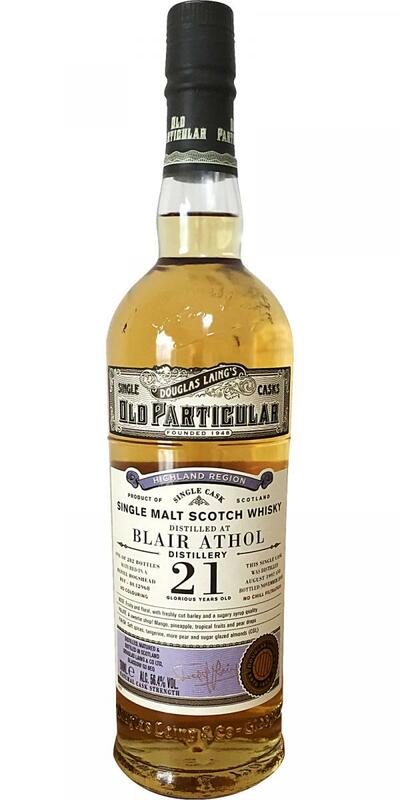 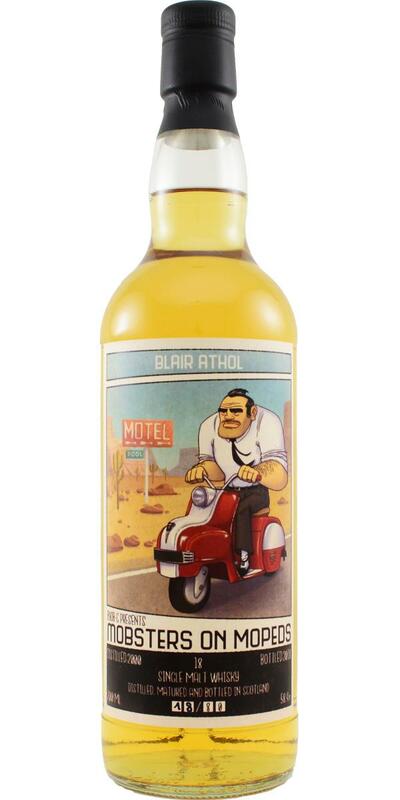 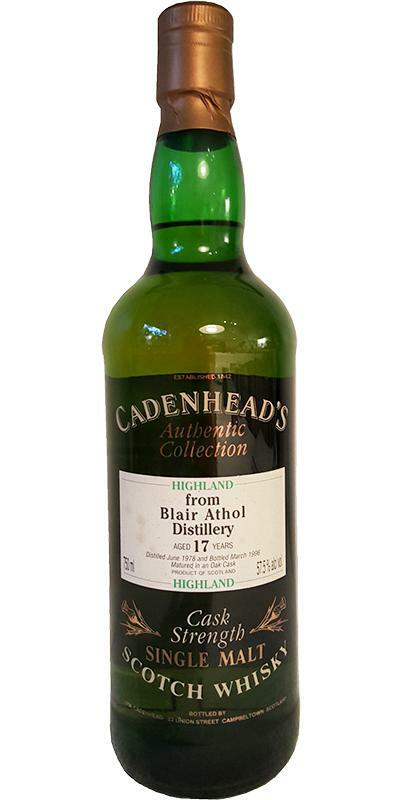 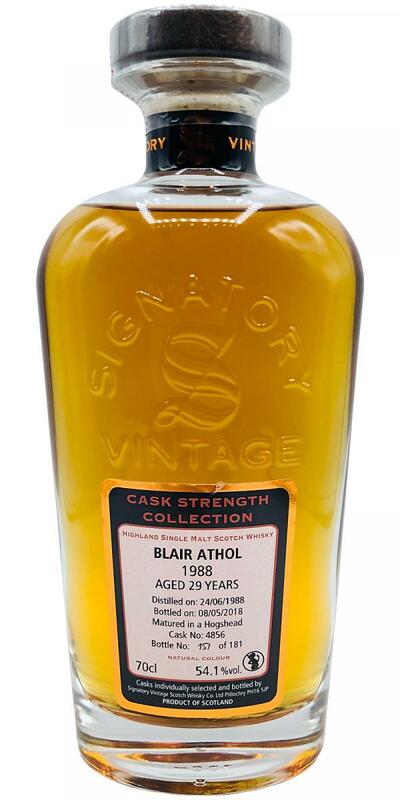 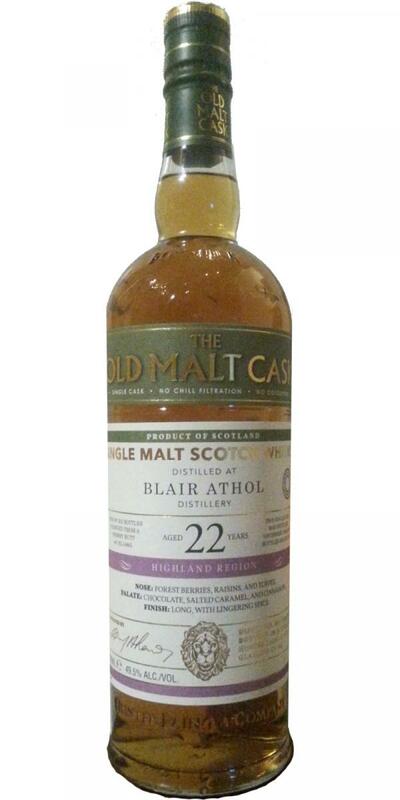 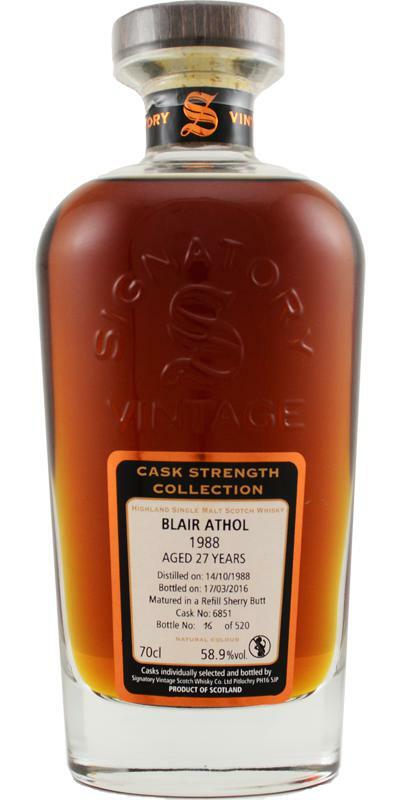 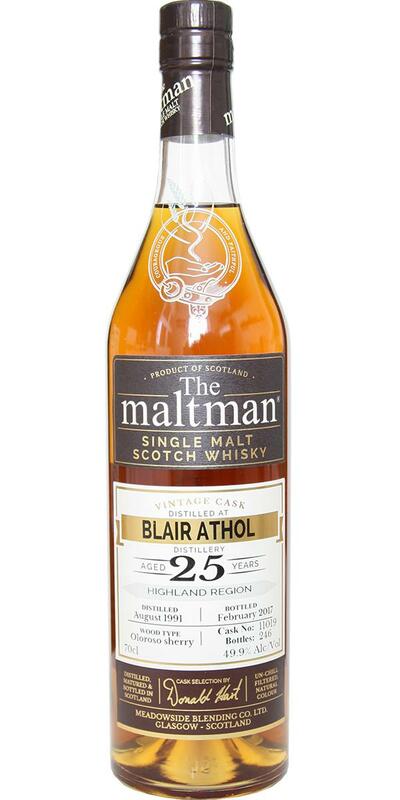 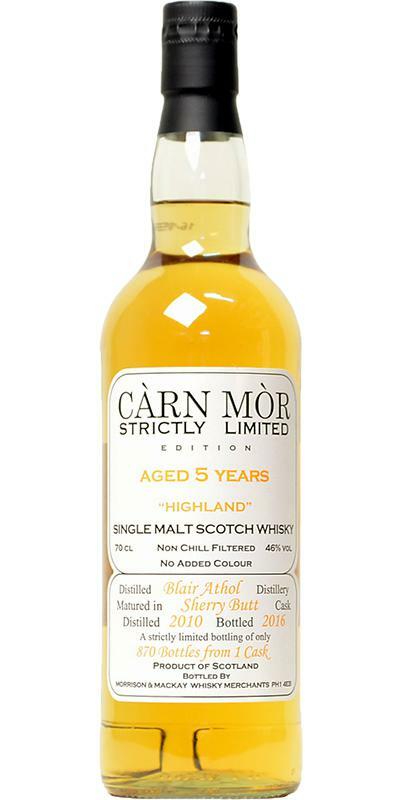 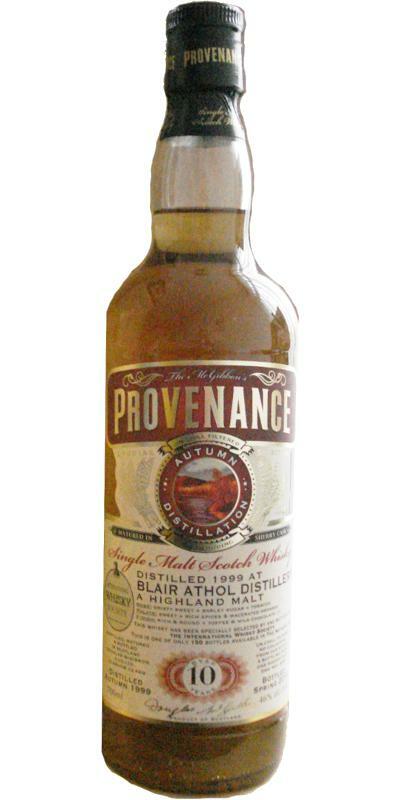 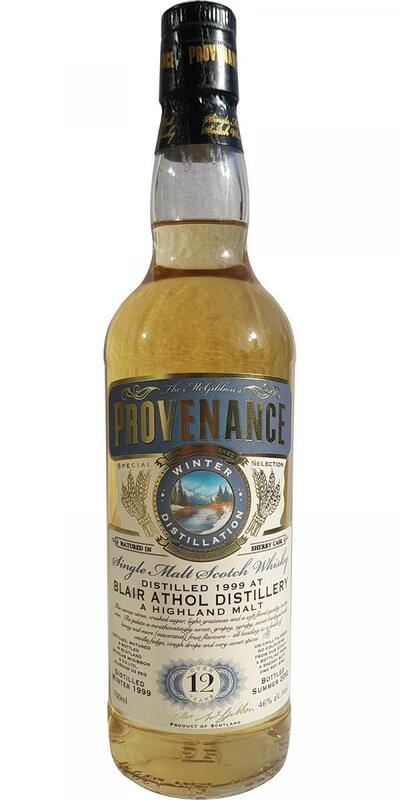 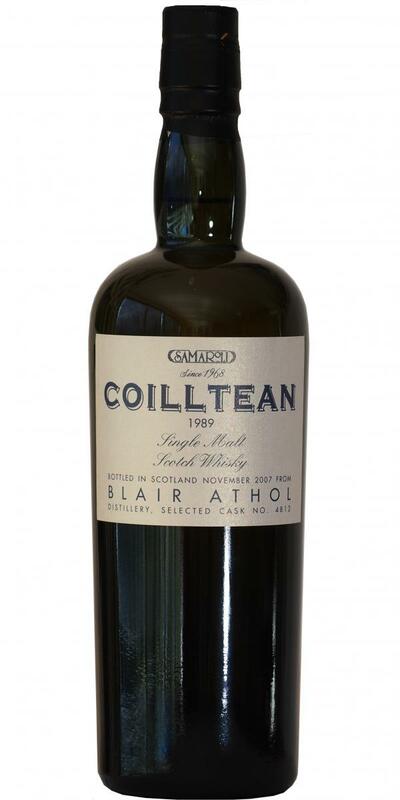 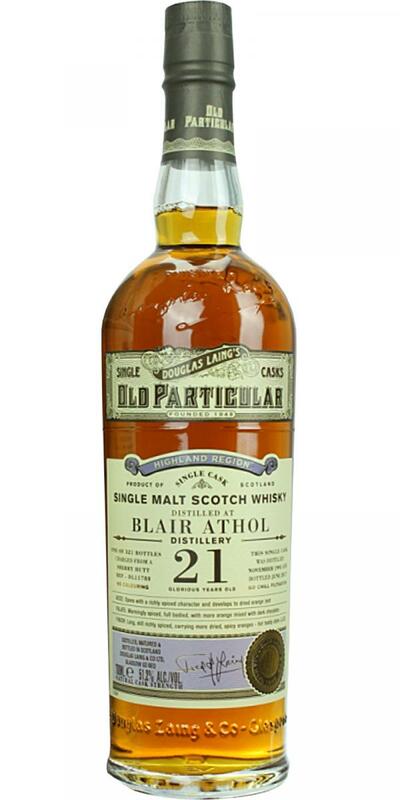 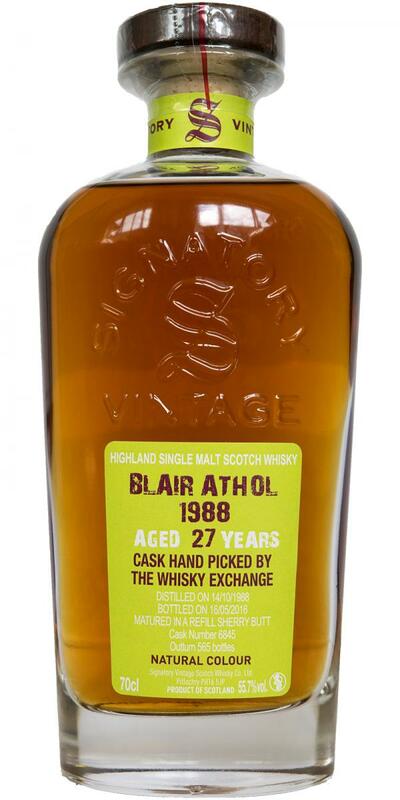 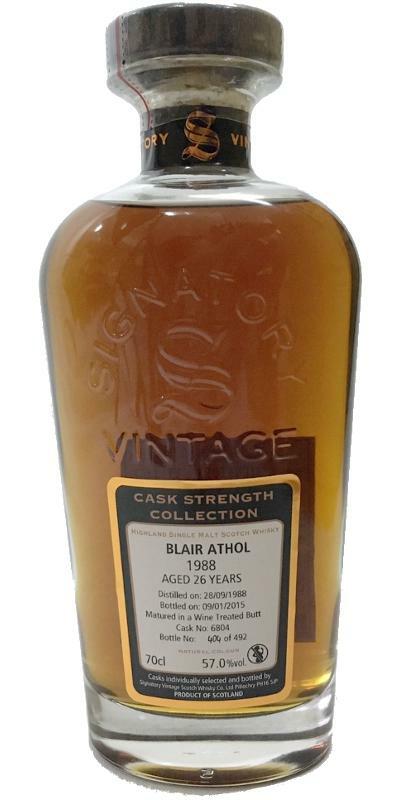 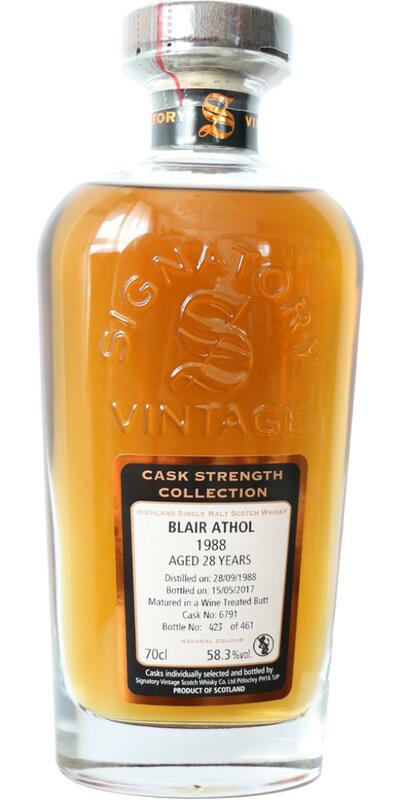 Blair Athol 21-year-old CA 21 46.0 % Vol. 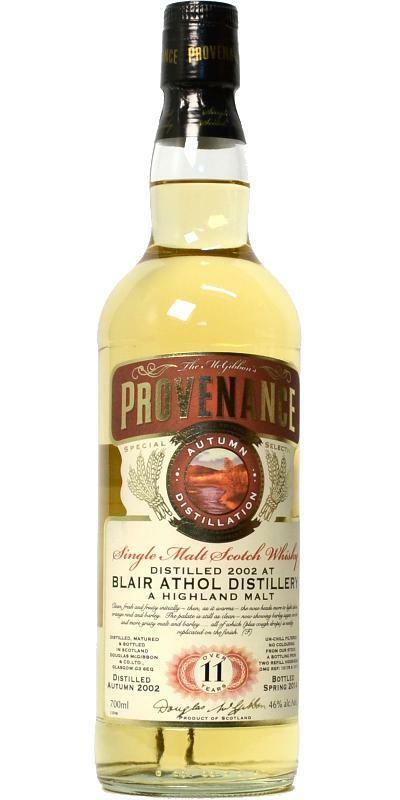 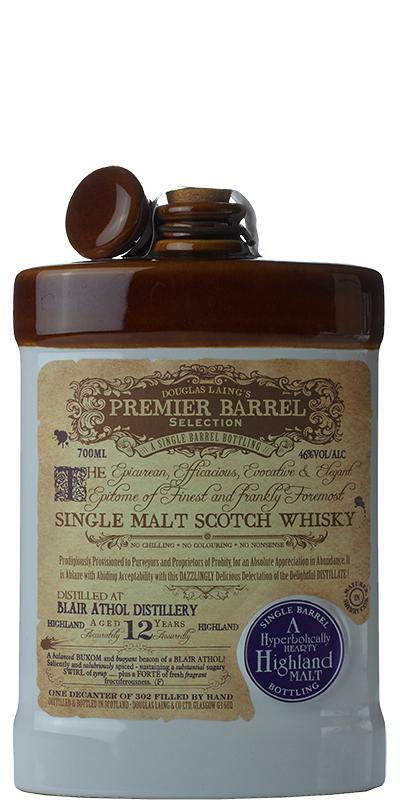 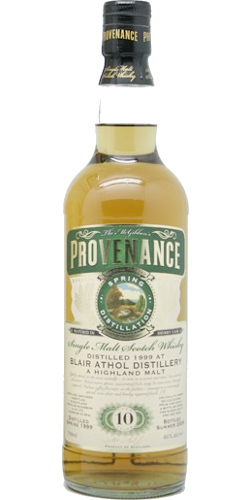 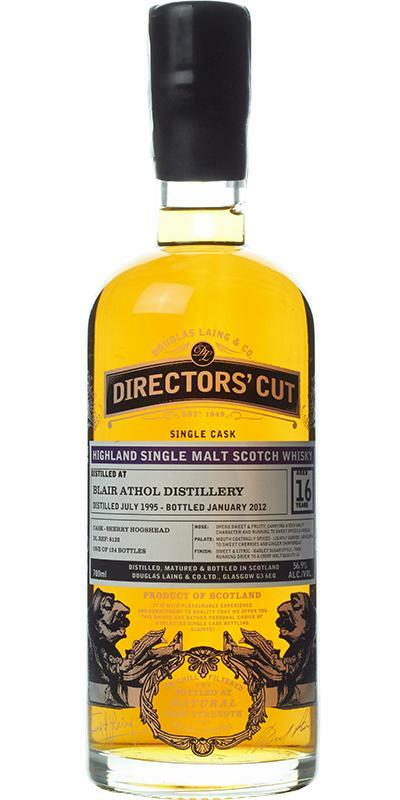 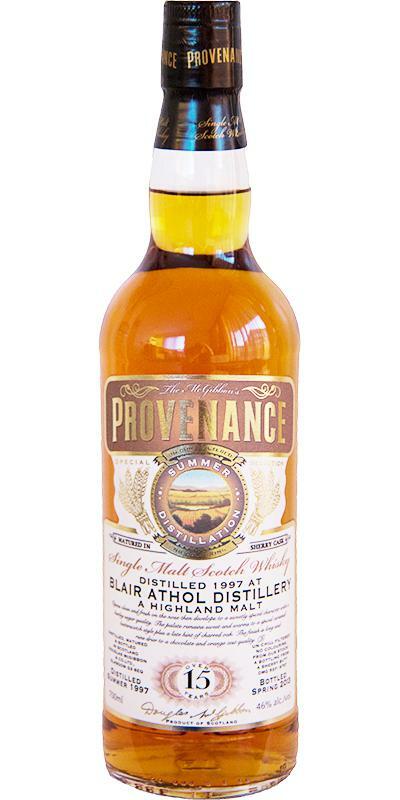 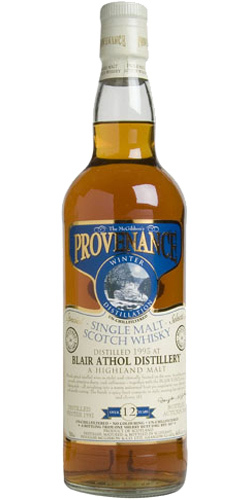 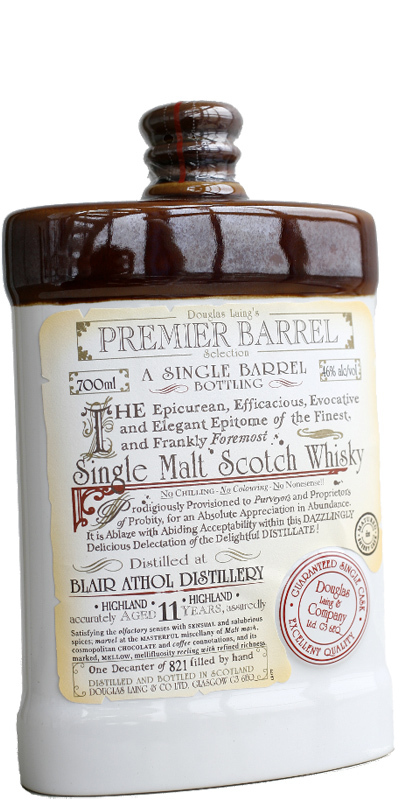 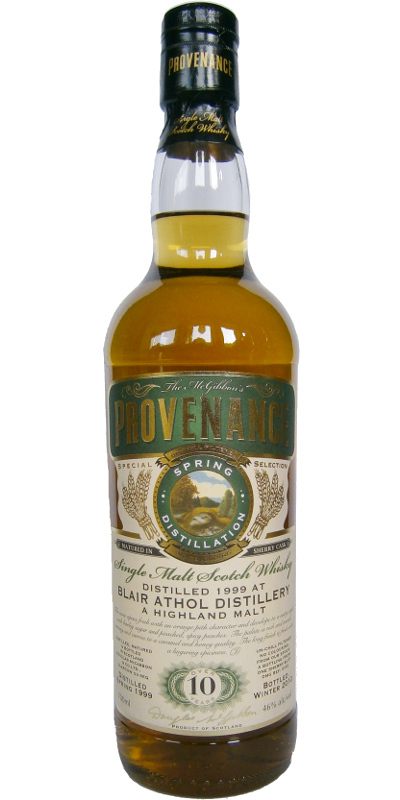 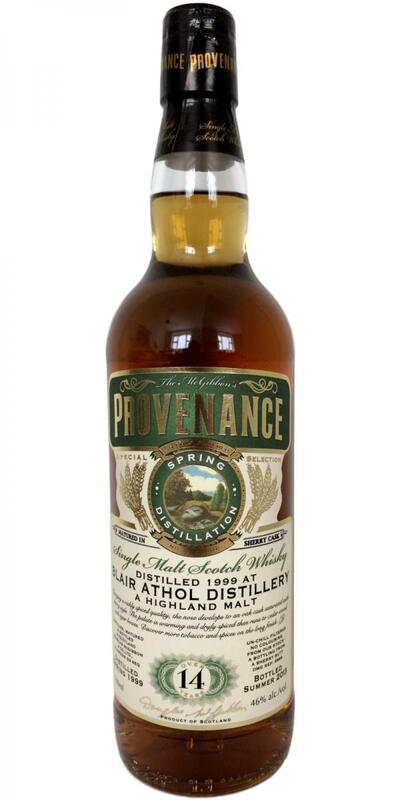 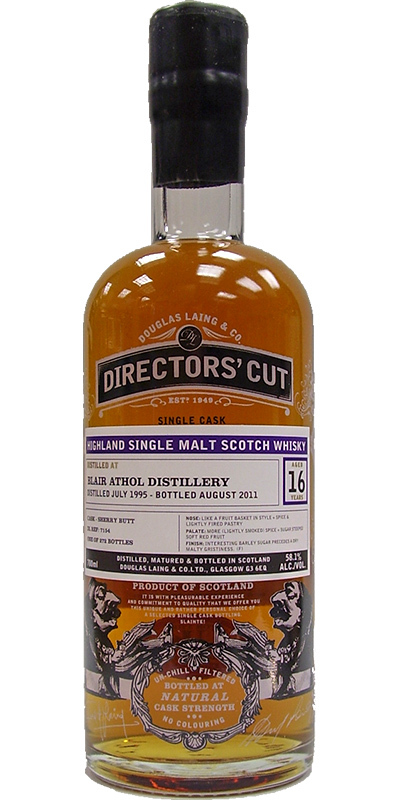 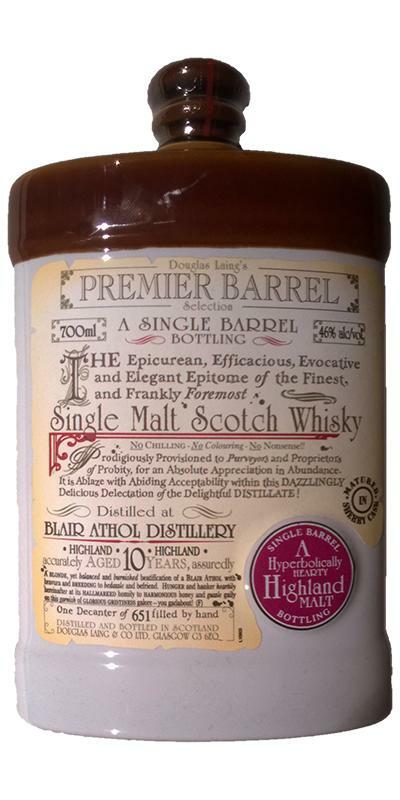 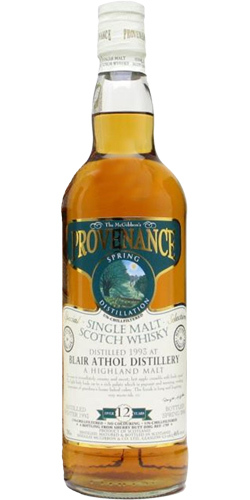 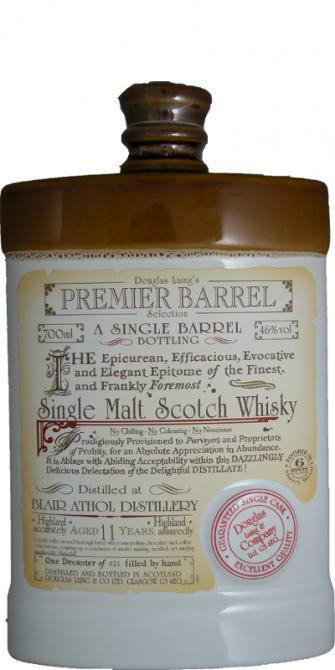 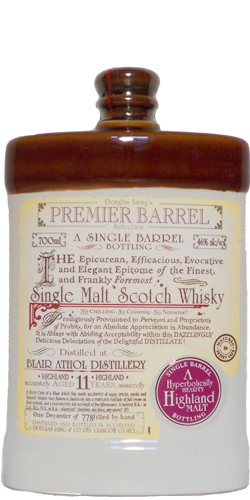 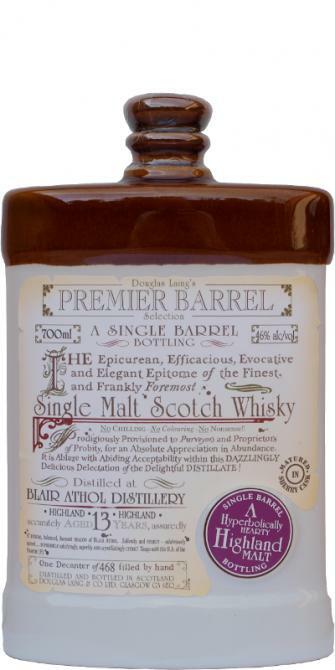 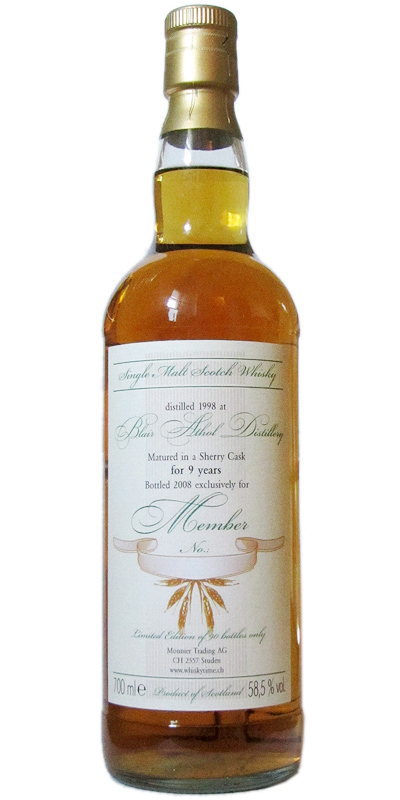 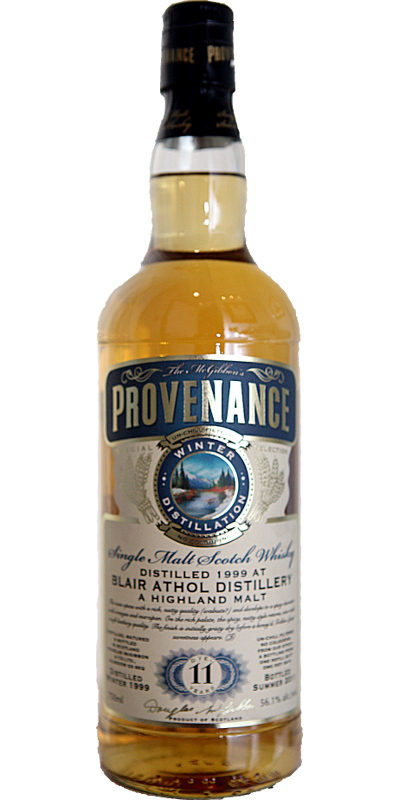 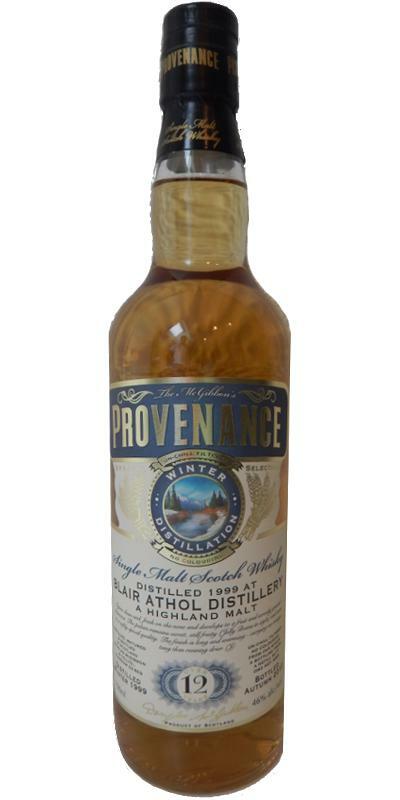 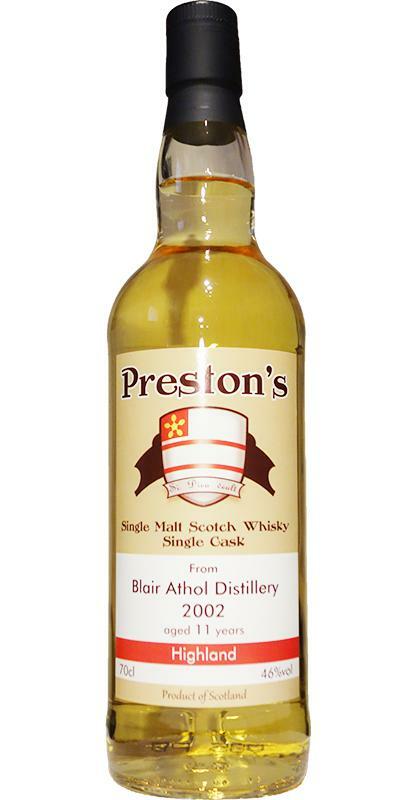 Blair Athol 09-year-old DL Premier Barrel Selection 09 46.0 % Vol. 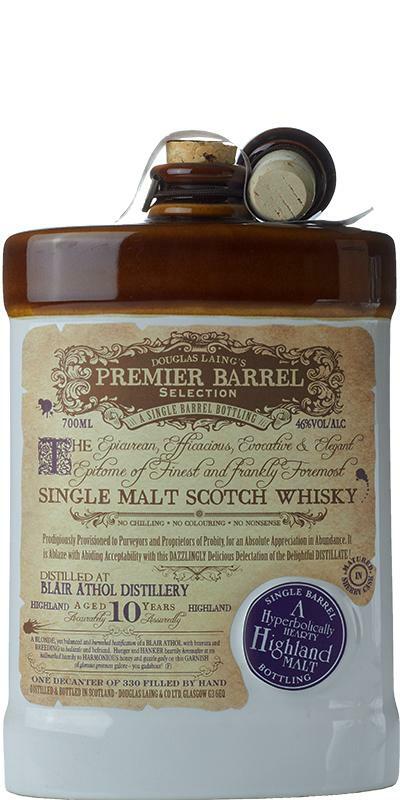 Blair Athol 10-year-old DL Premier Barrel Selection 10 46.0 % Vol. 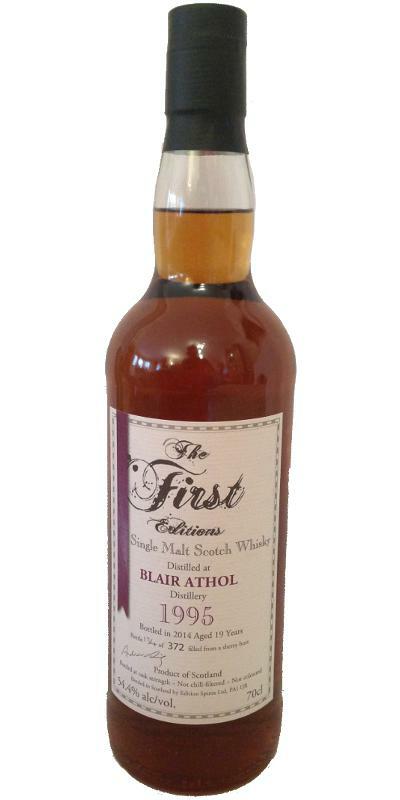 Blair Athol 11-year-old DL Premier Barrel Selection 11 46.0 % Vol. 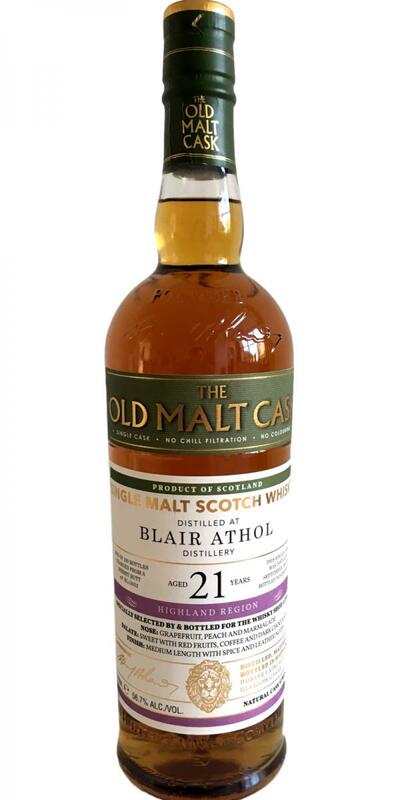 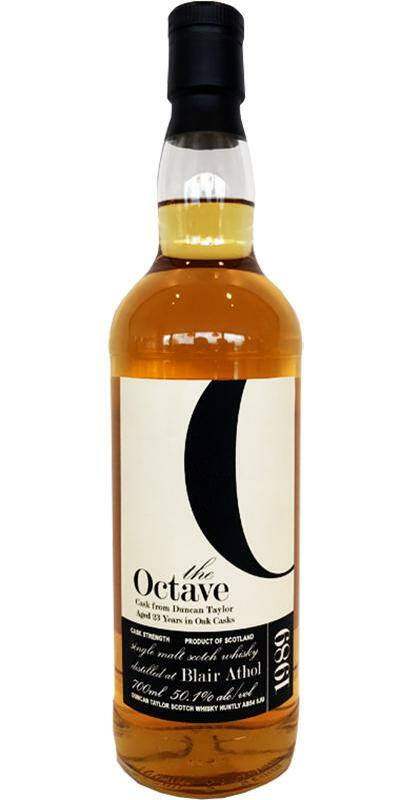 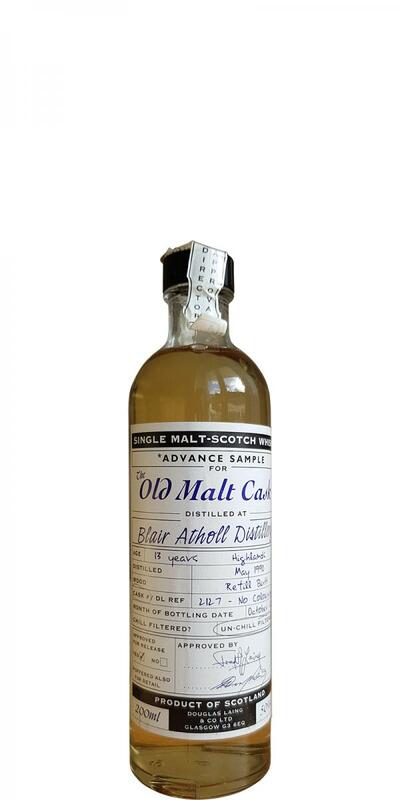 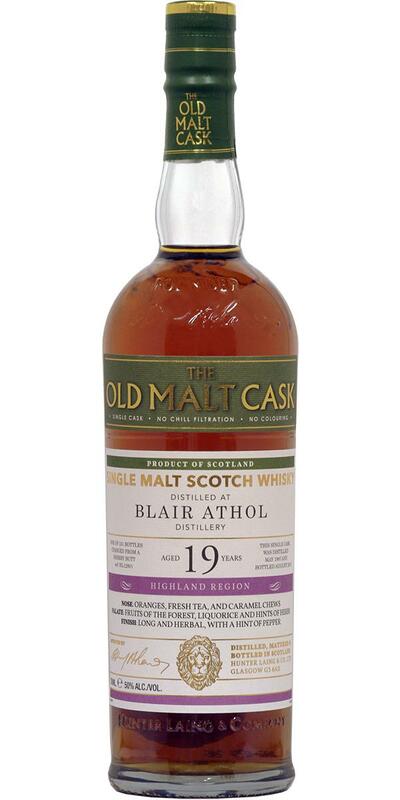 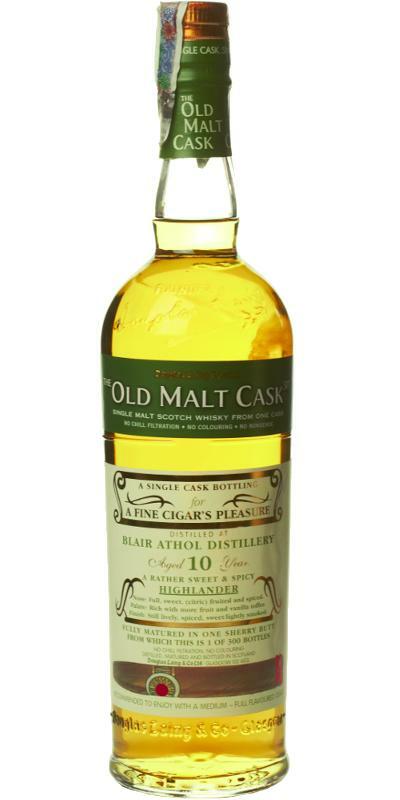 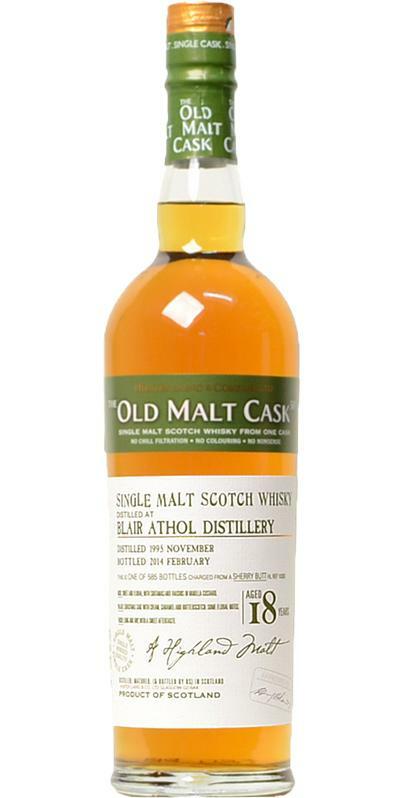 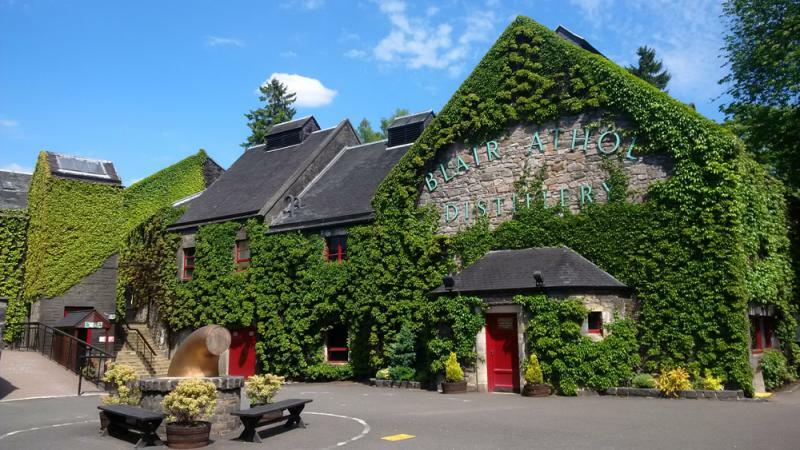 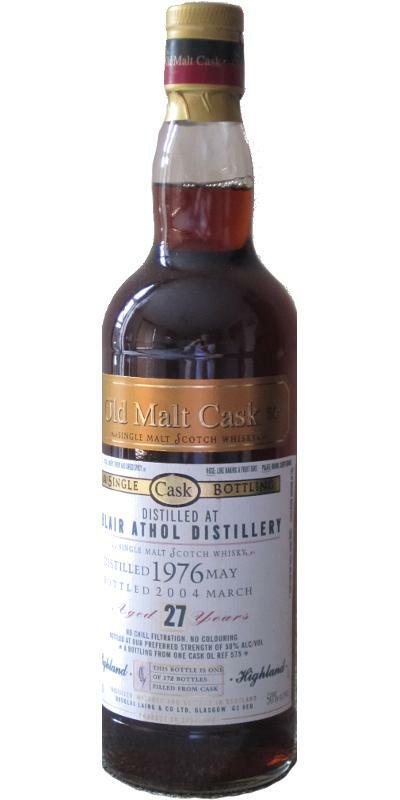 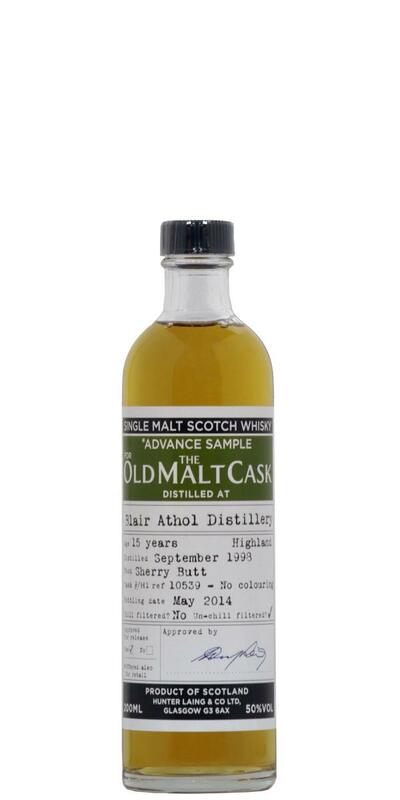 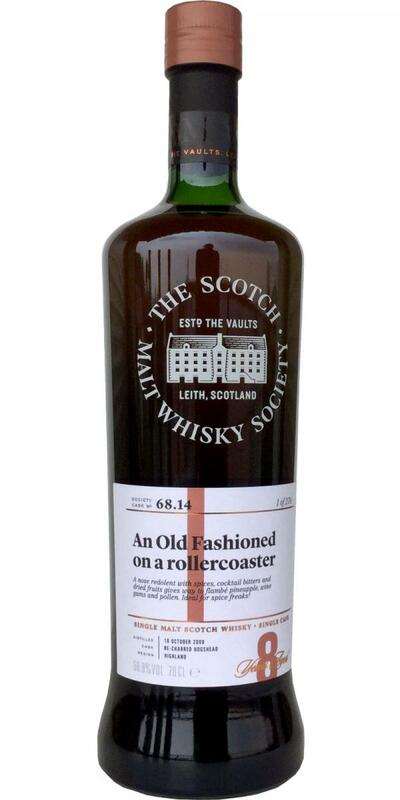 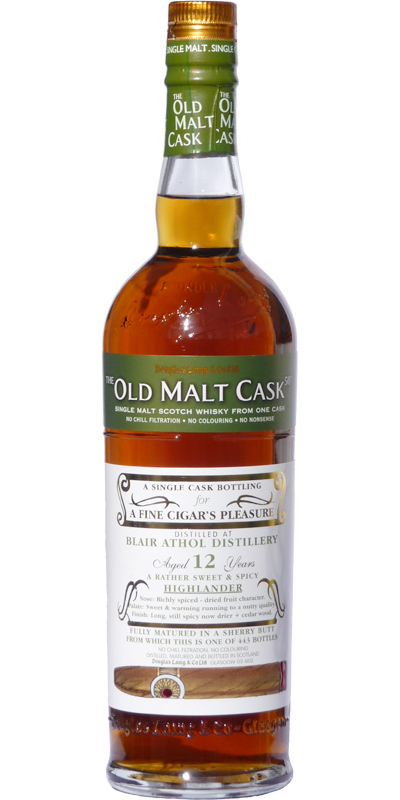 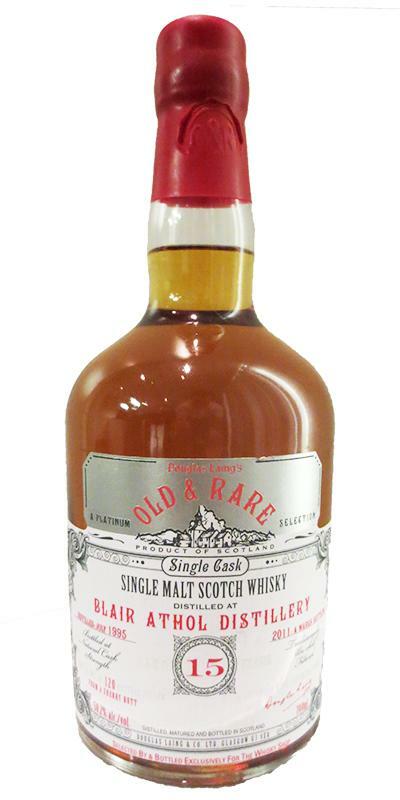 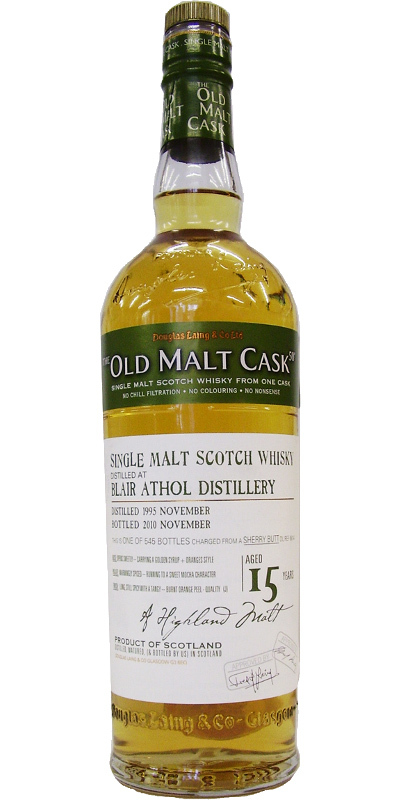 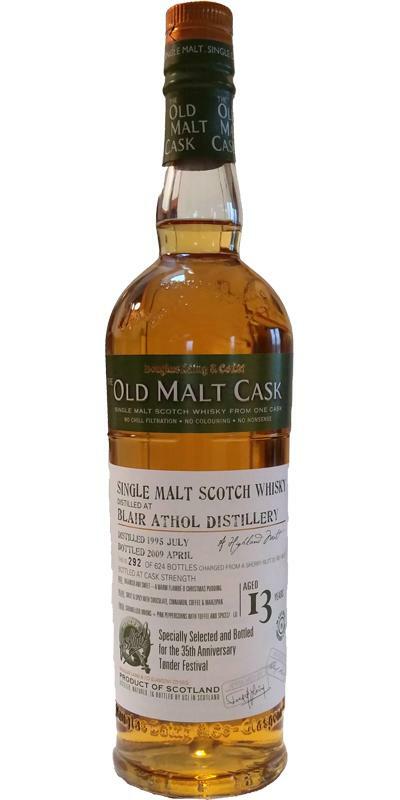 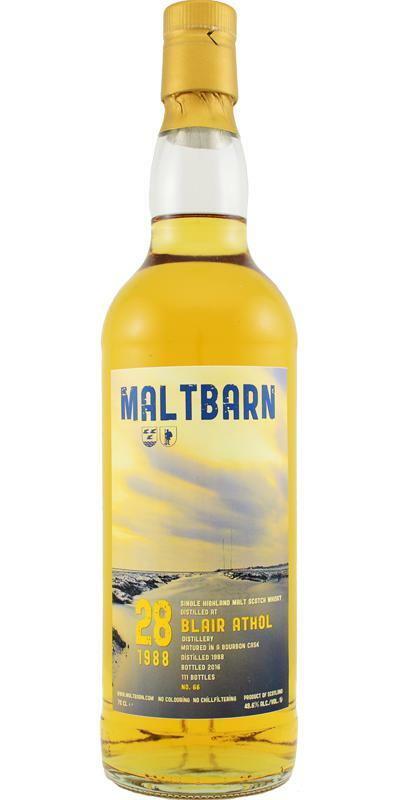 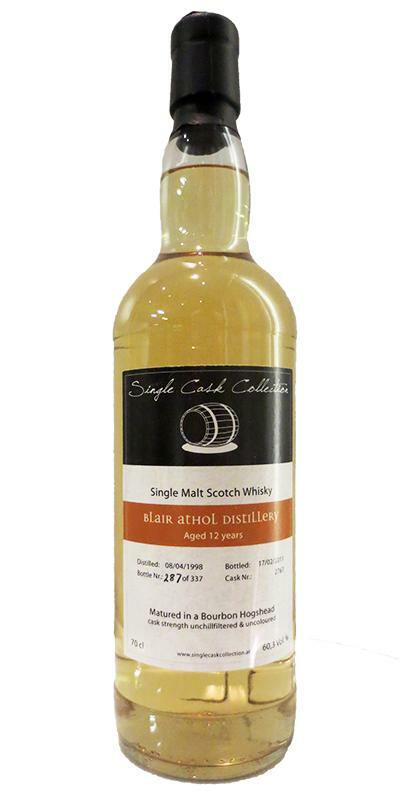 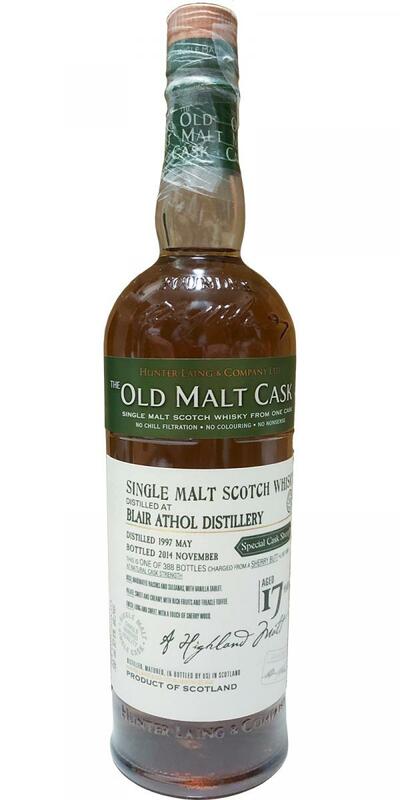 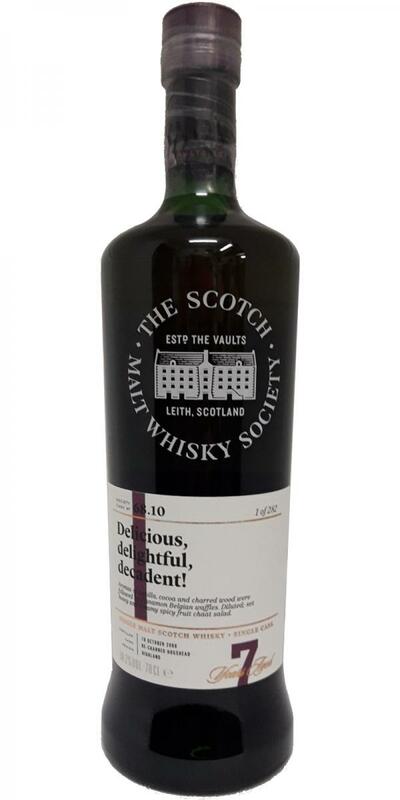 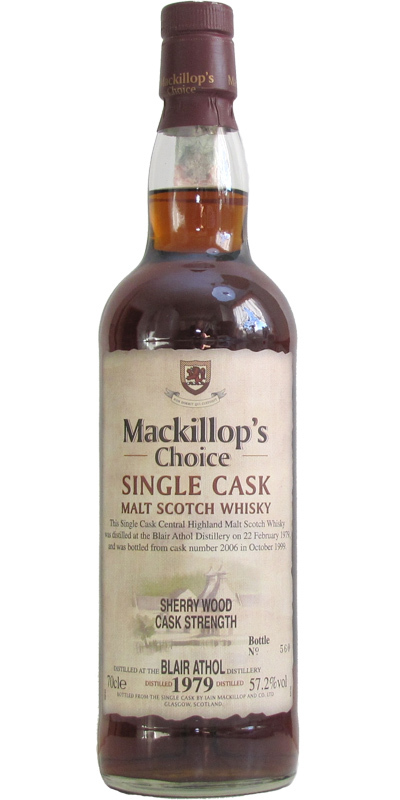 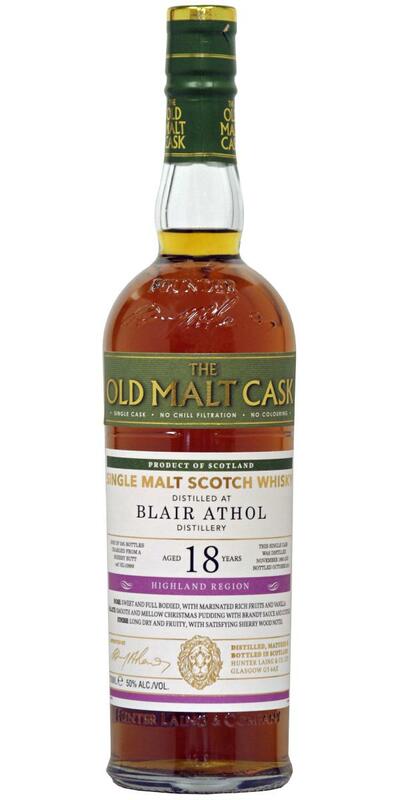 Blair Athol 12-year-old DL Old Malt Cask - Cigar Malt 12 50.0 % Vol. 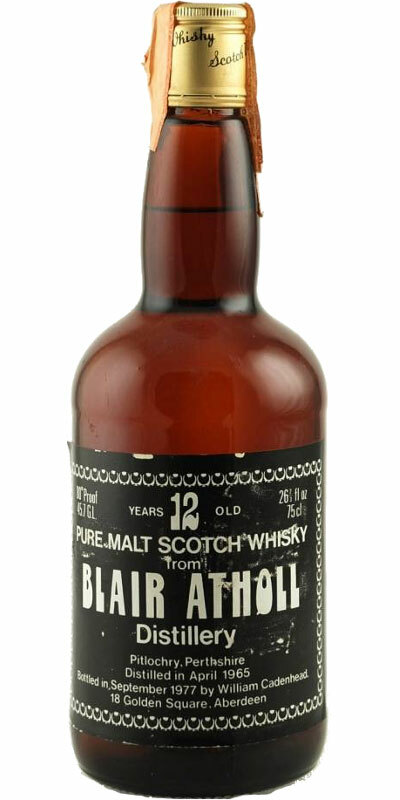 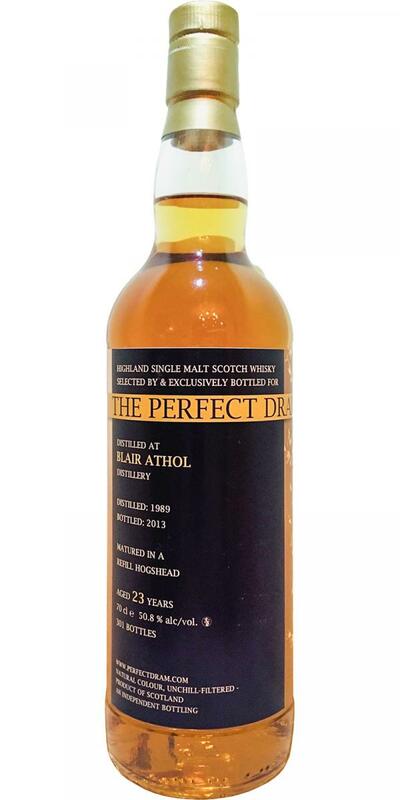 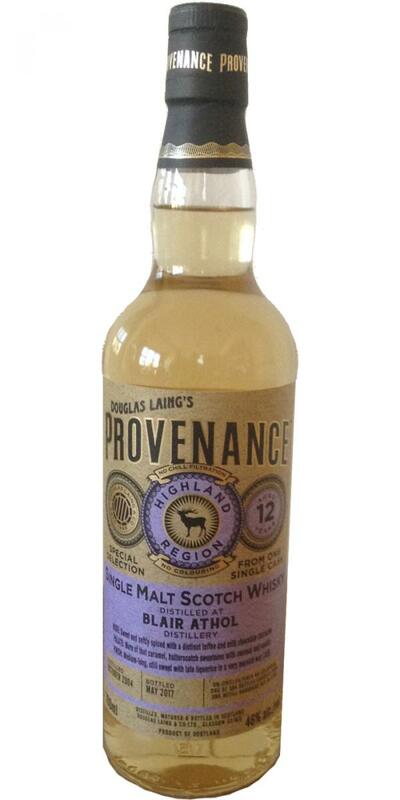 Blair Athol 12-year-old DL Premier Barrel Selection 12 46.0 % Vol. 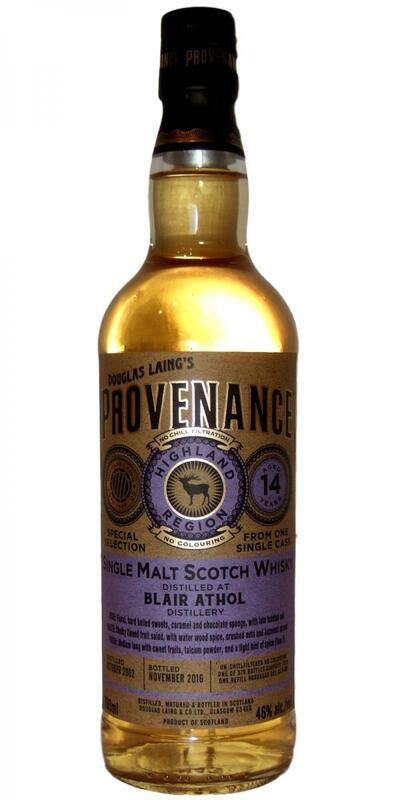 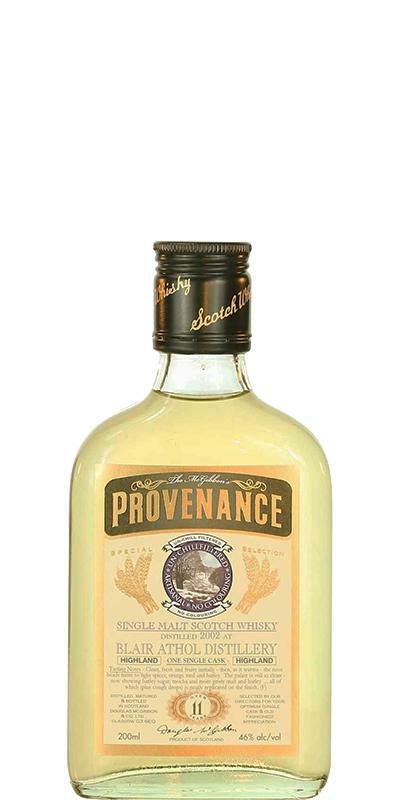 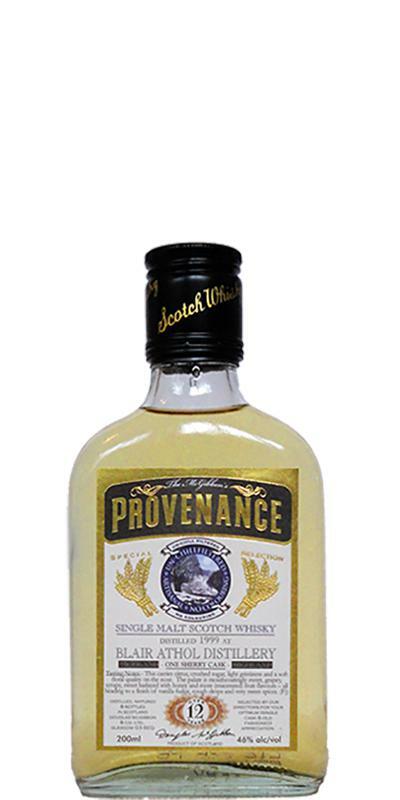 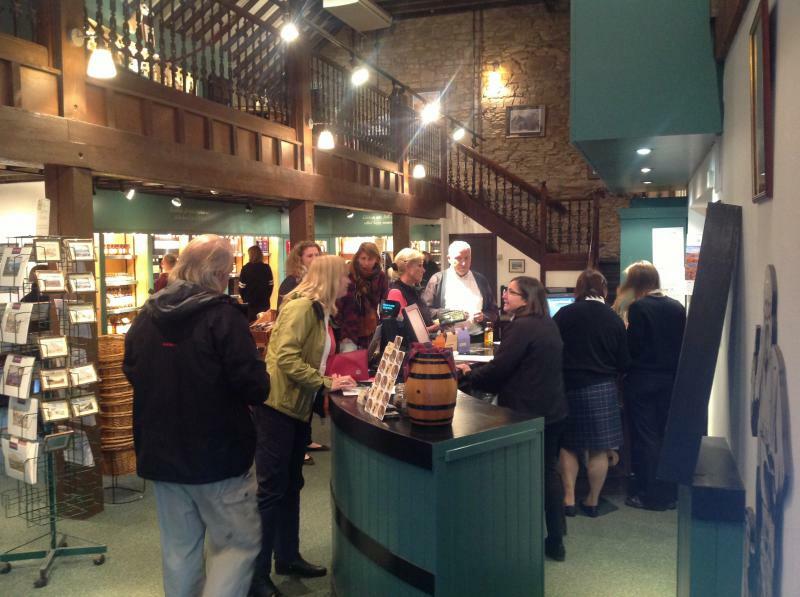 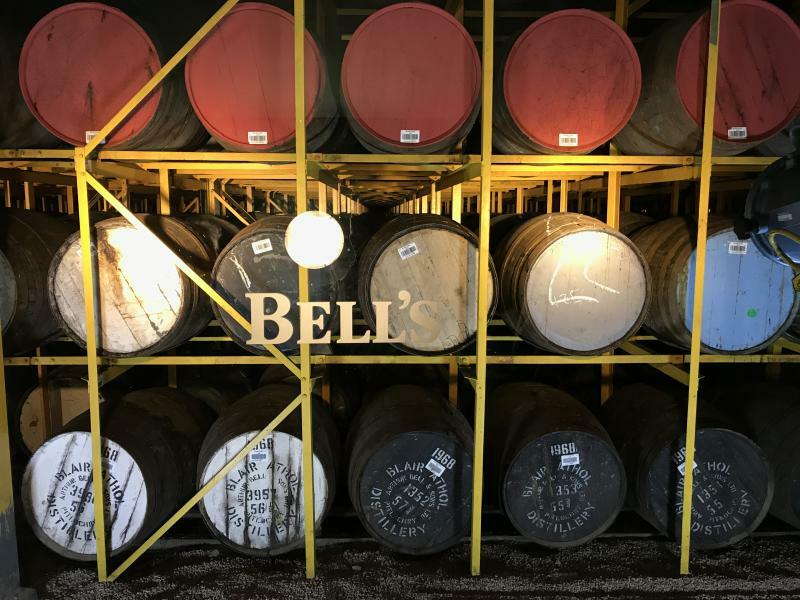 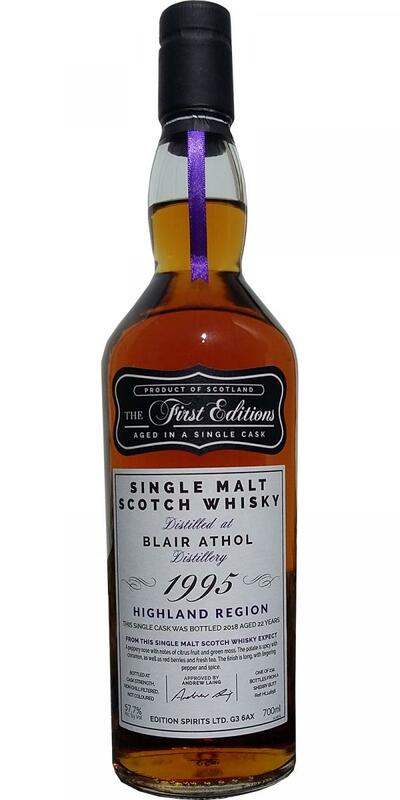 Blair Athol 13-year-old DL Premier Barrel Selection 13 46.0 % Vol. 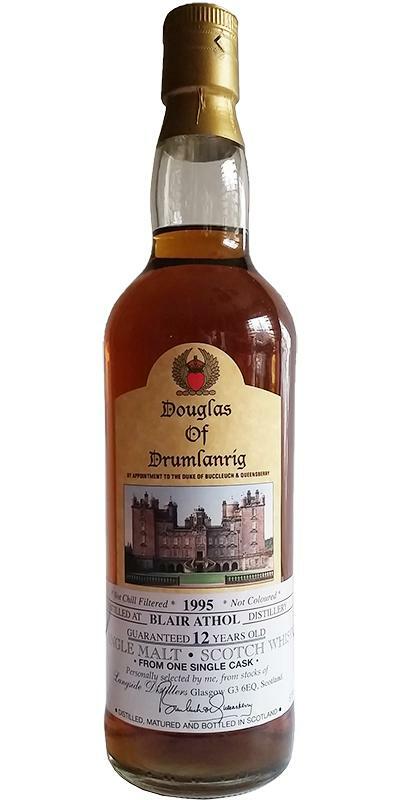 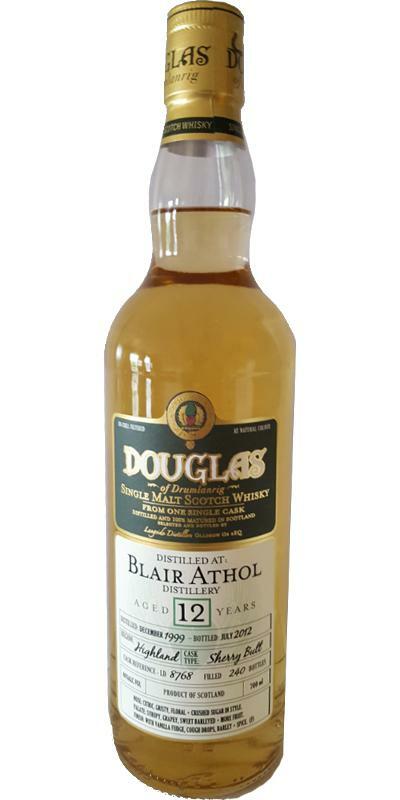 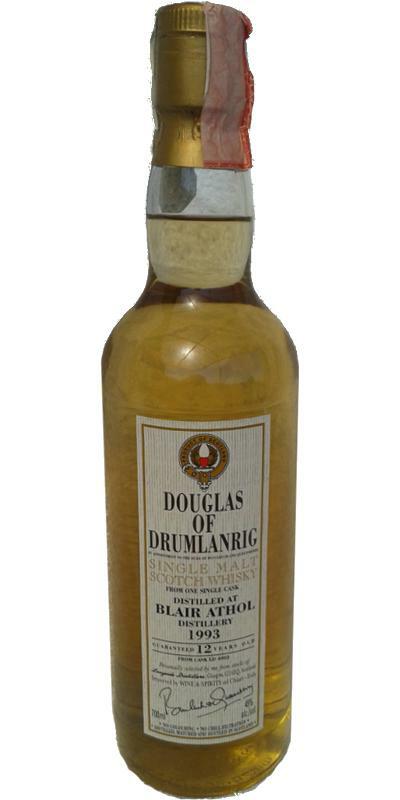 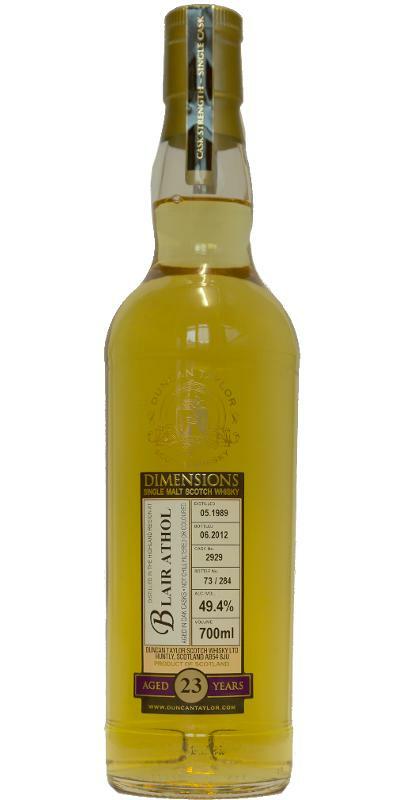 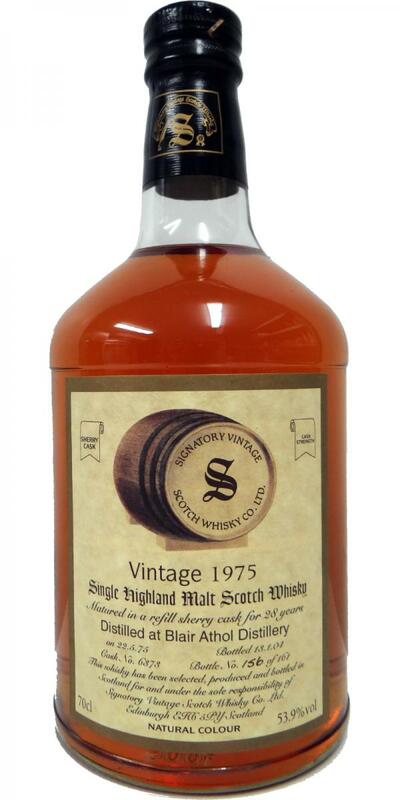 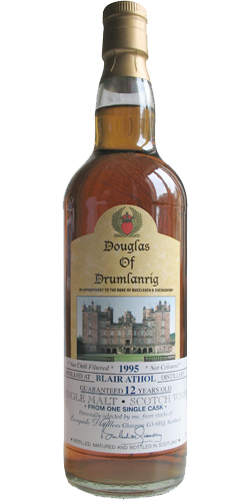 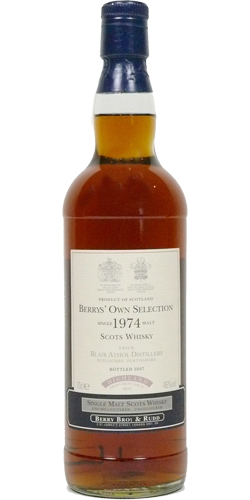 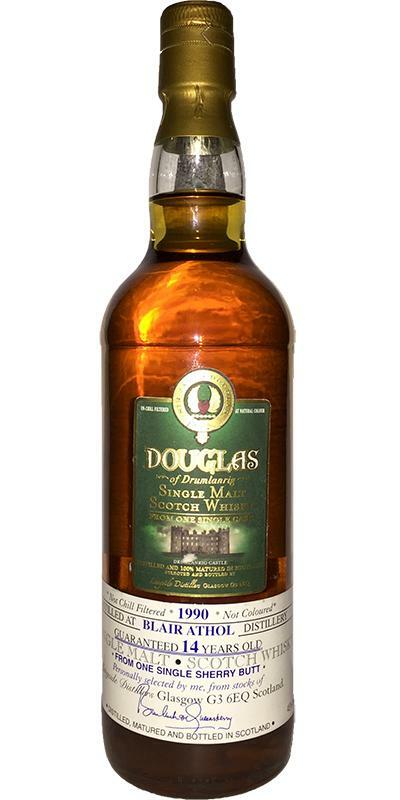 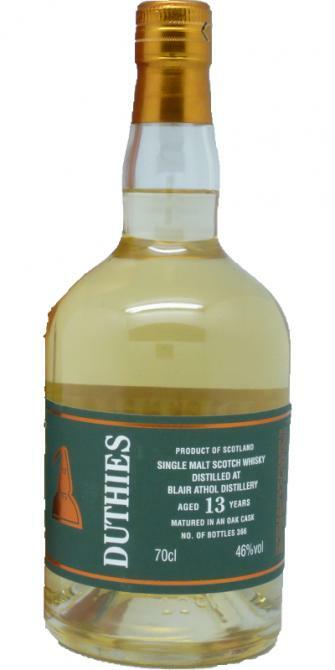 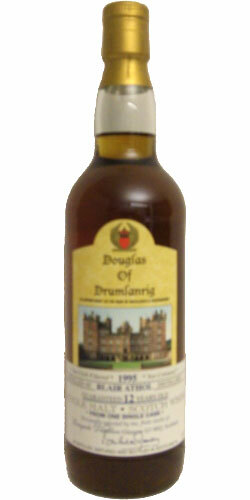 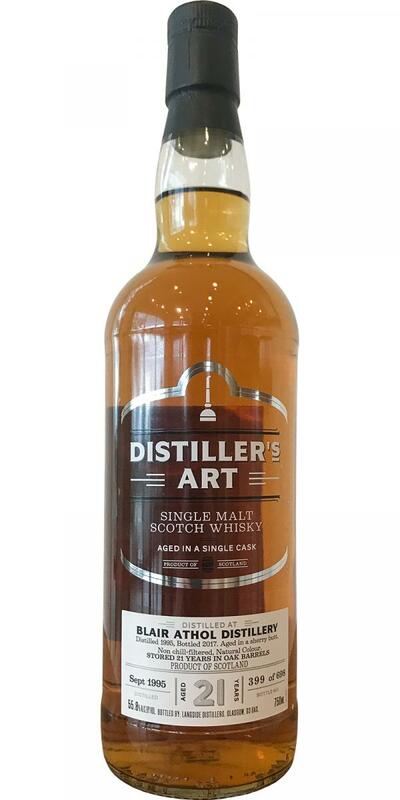 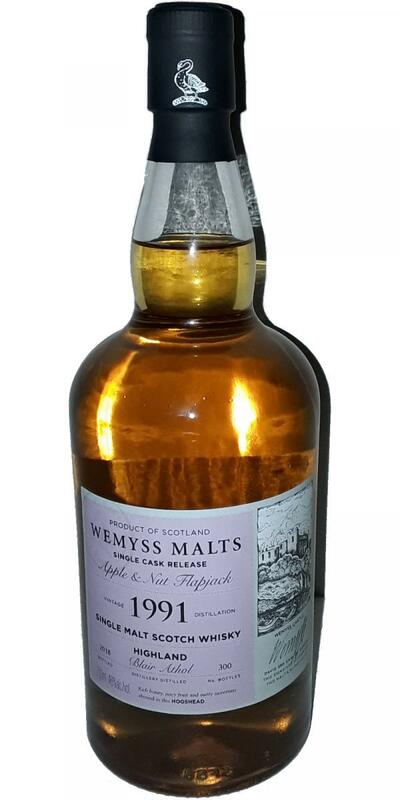 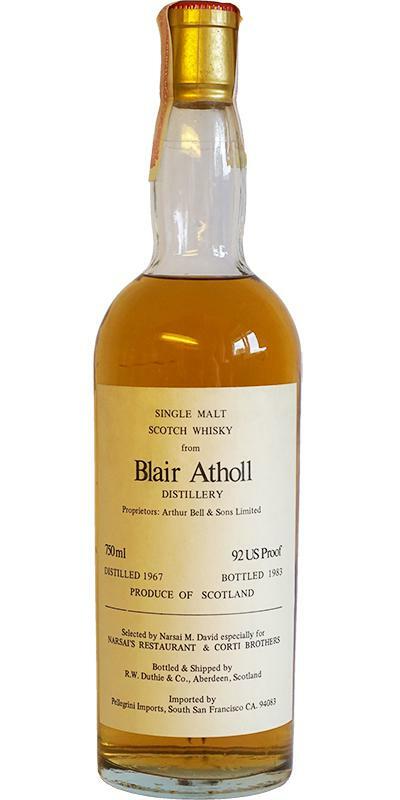 Blair Athol 1975 DL 27 50.0 % Vol. 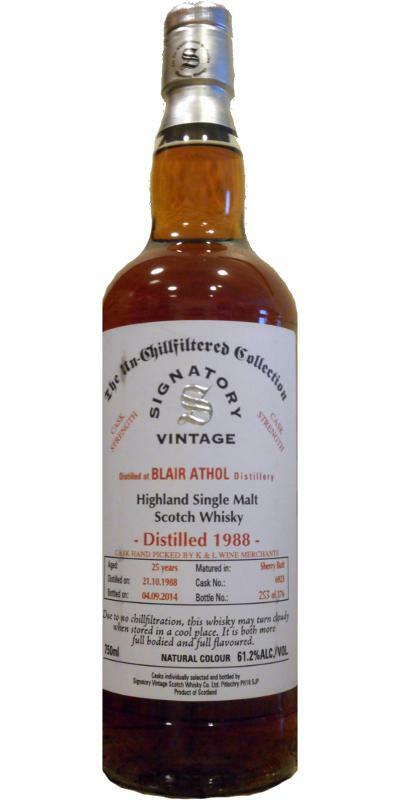 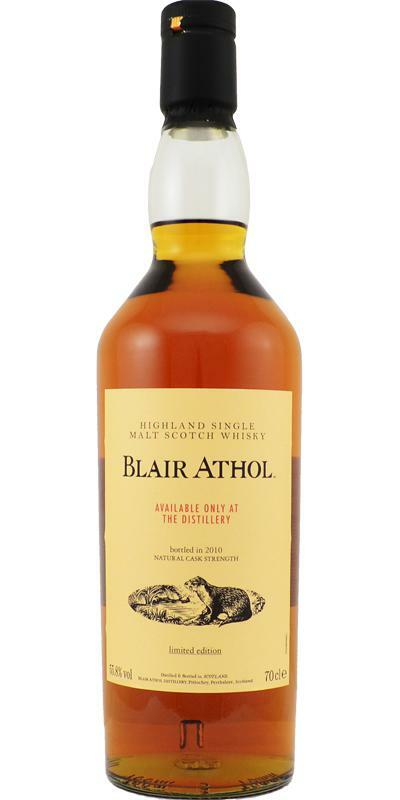 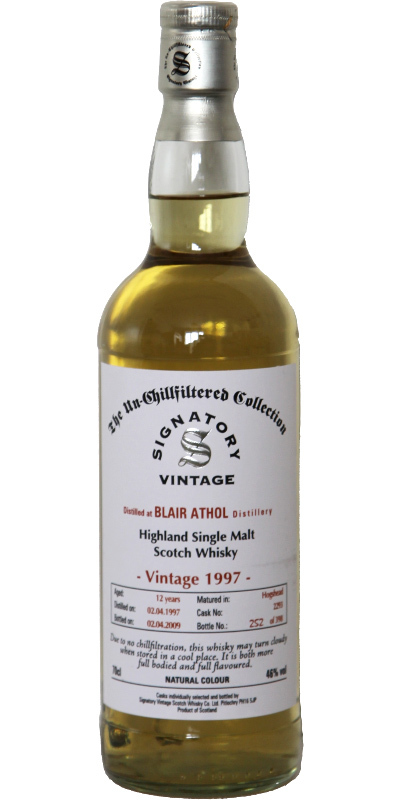 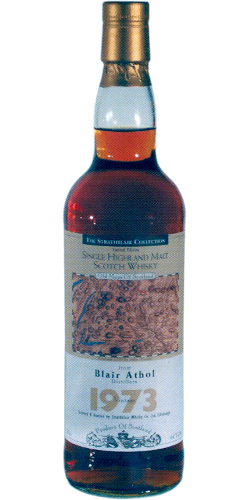 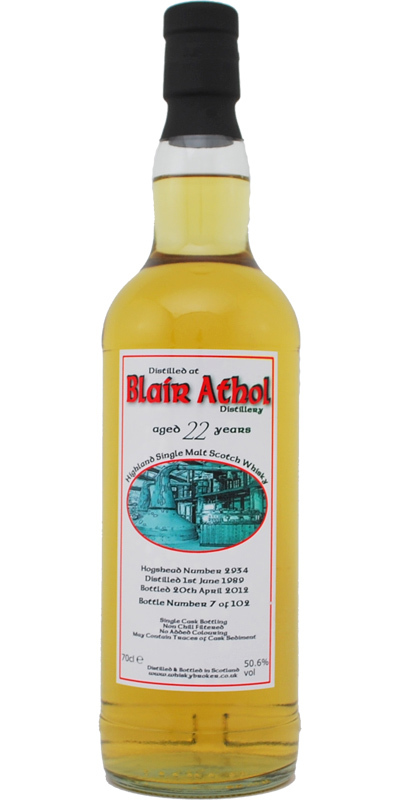 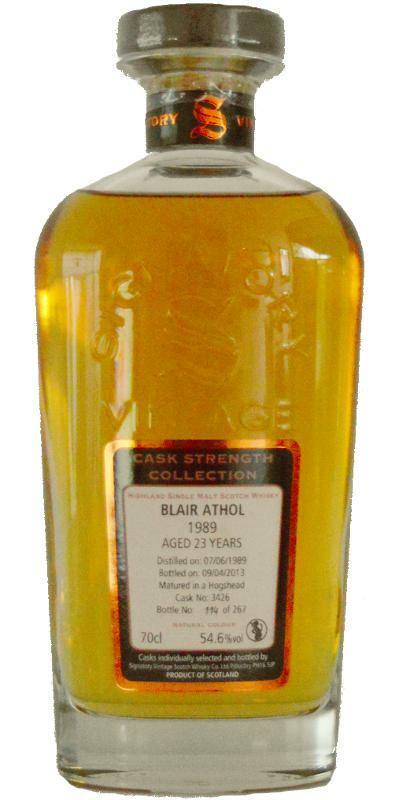 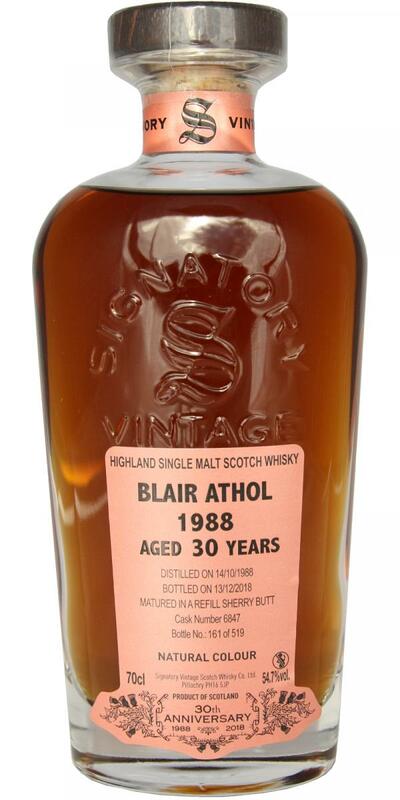 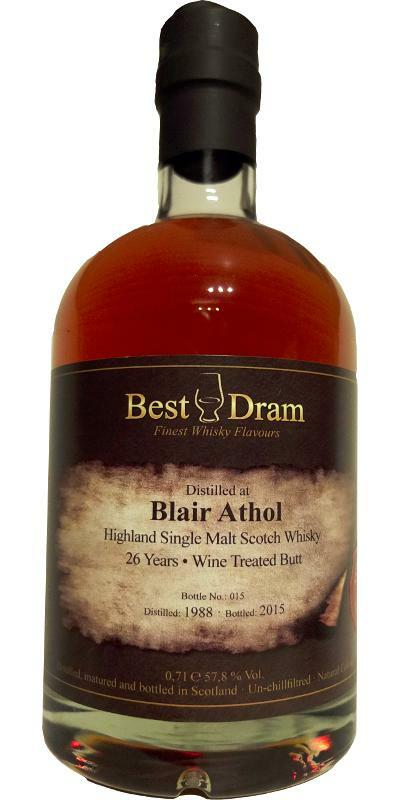 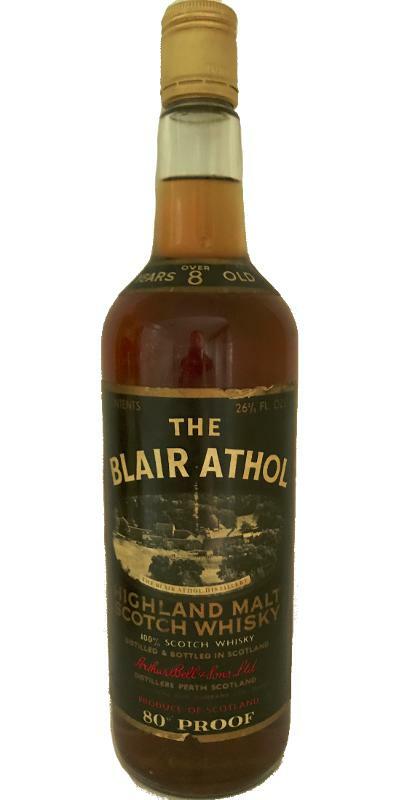 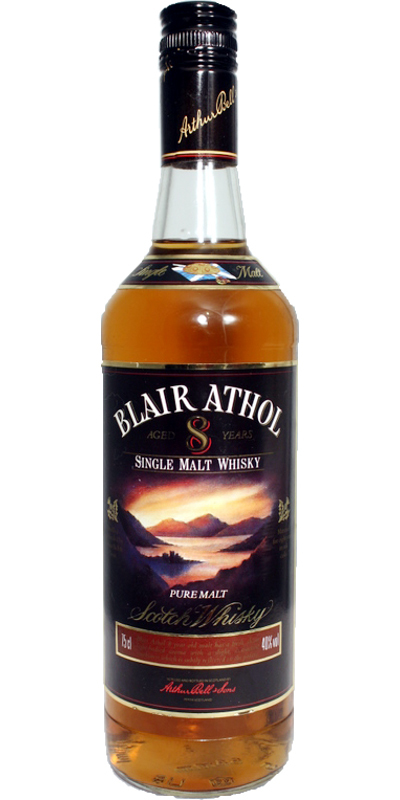 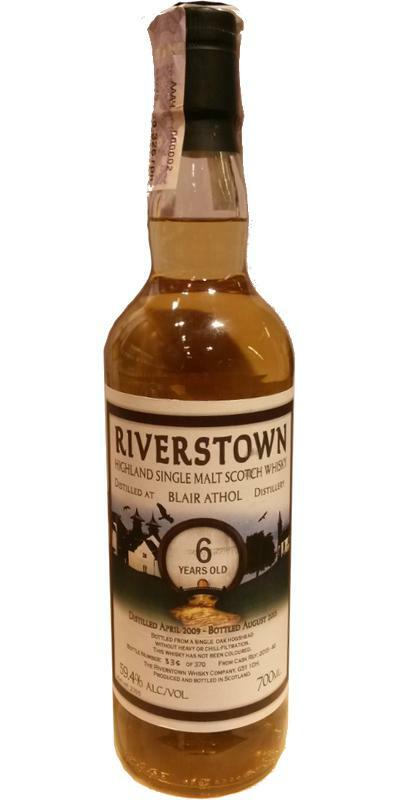 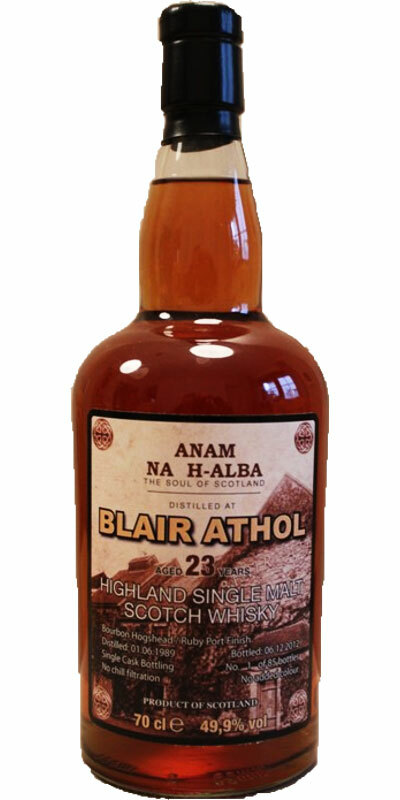 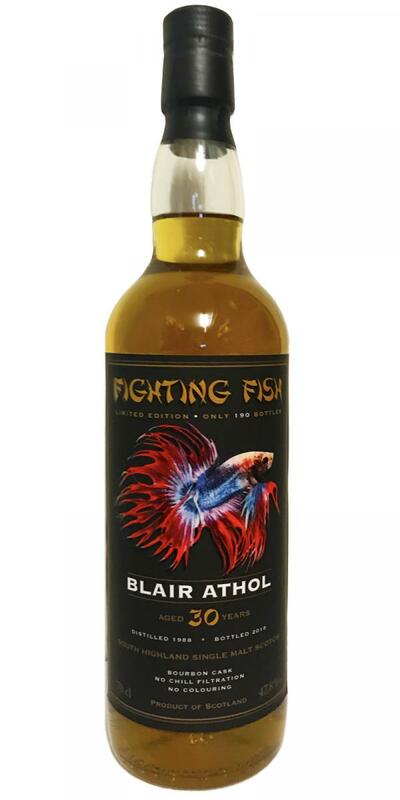 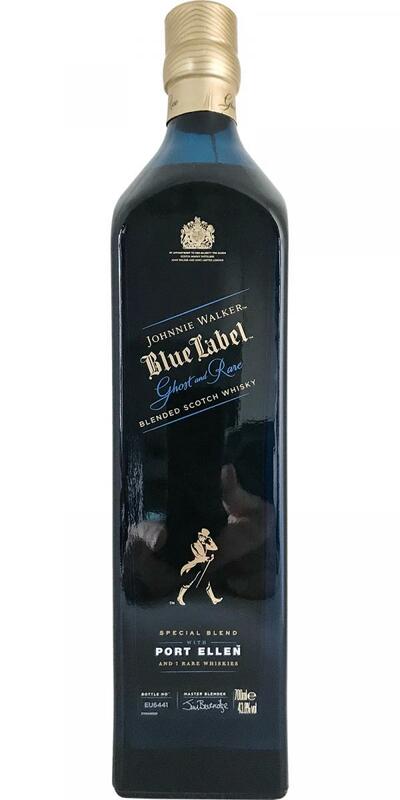 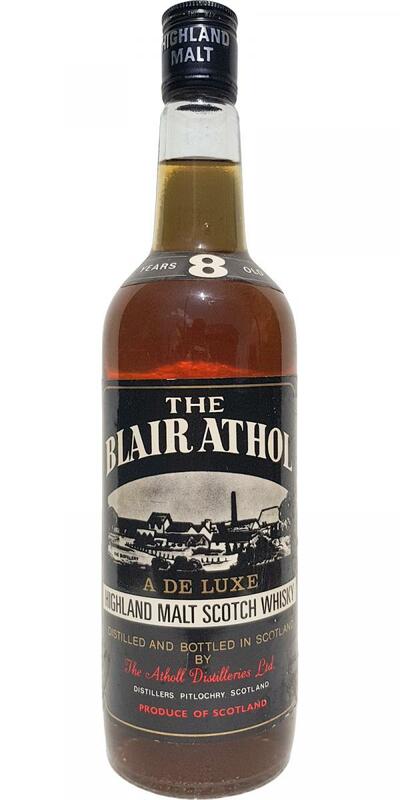 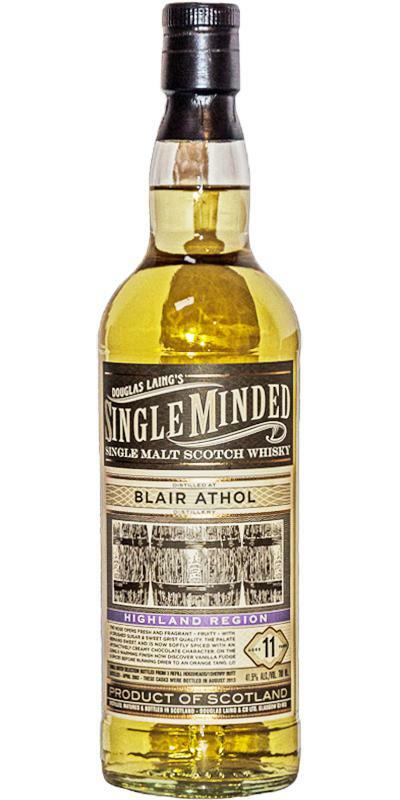 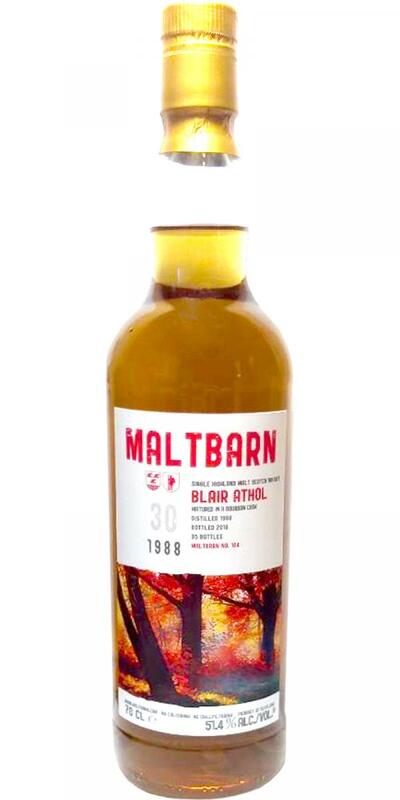 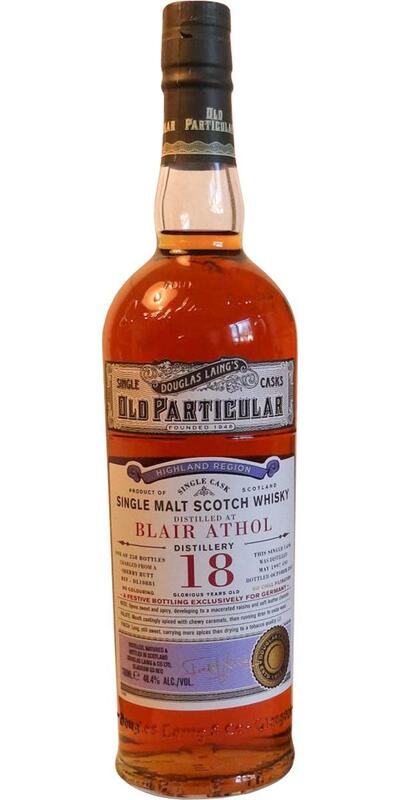 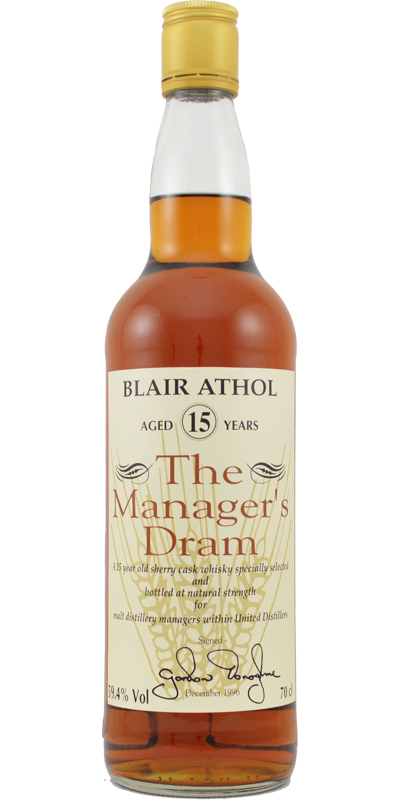 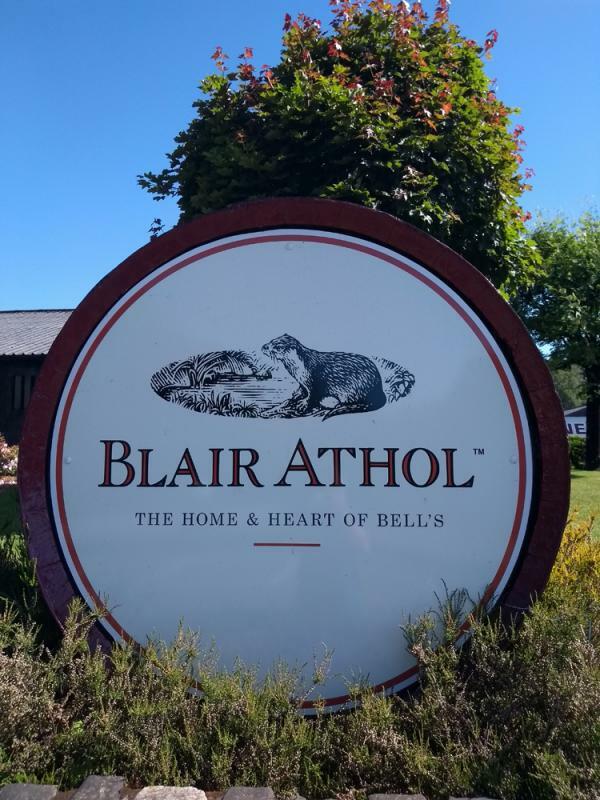 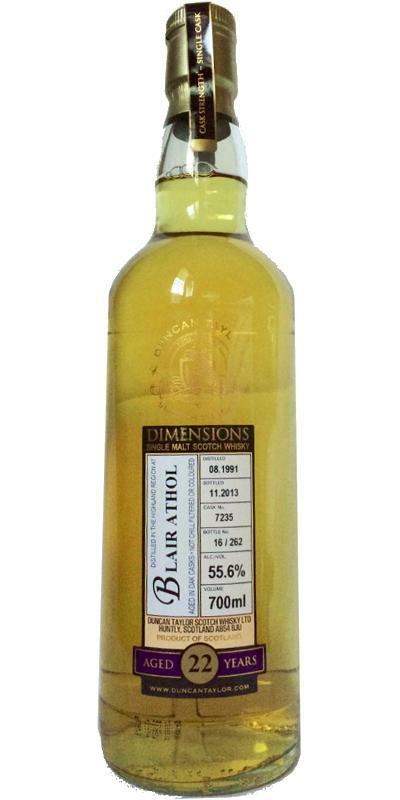 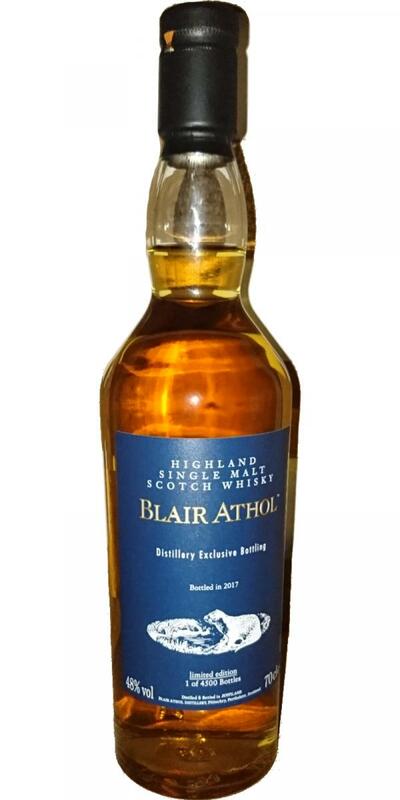 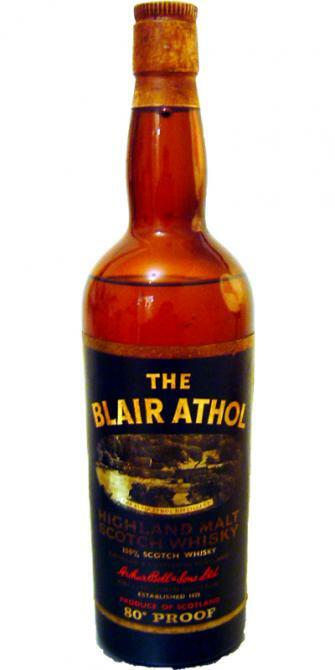 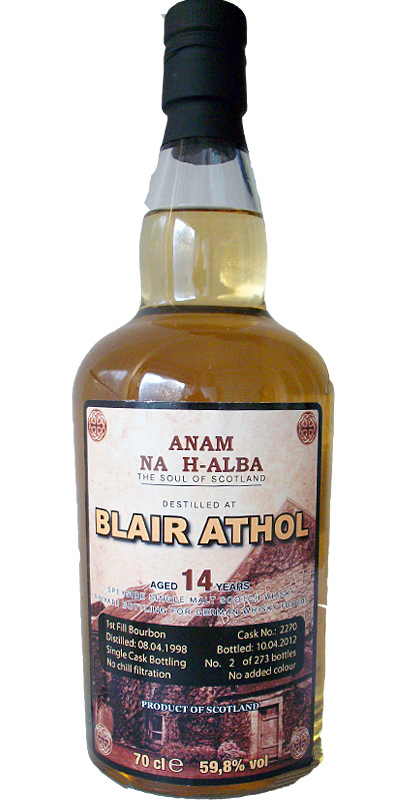 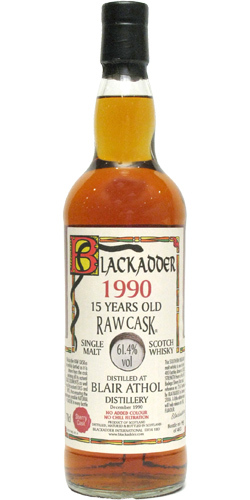 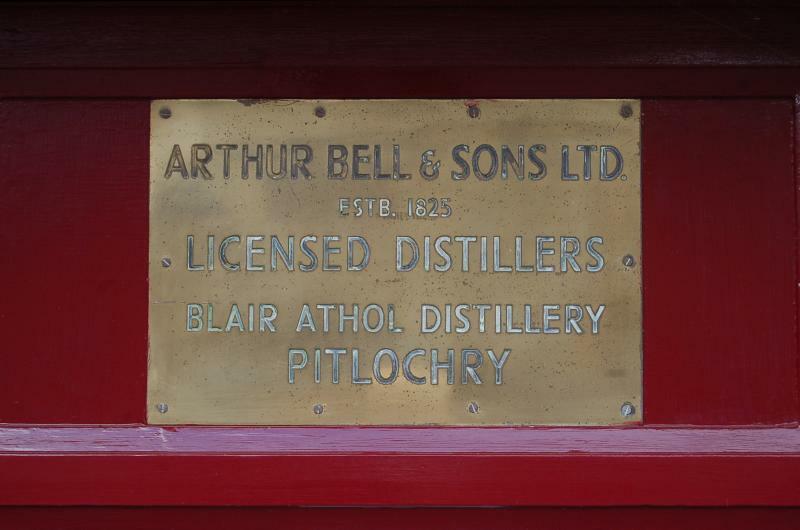 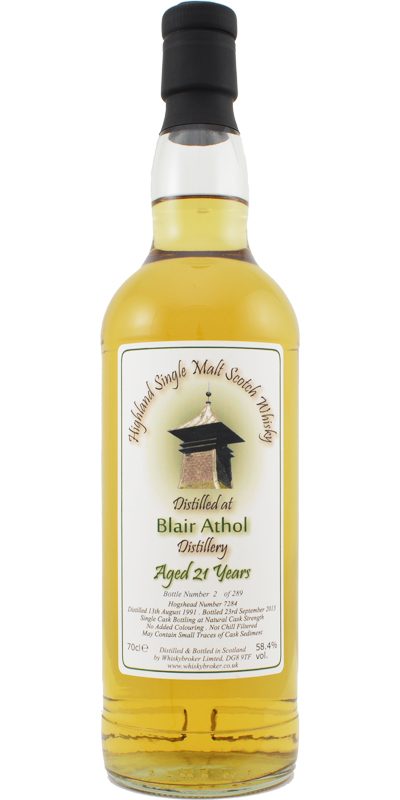 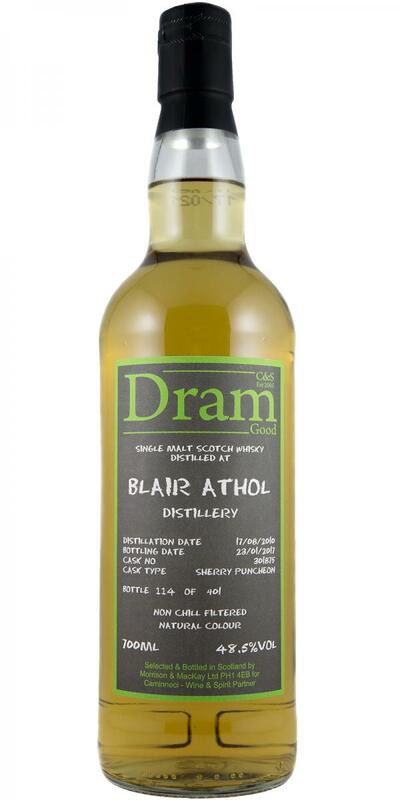 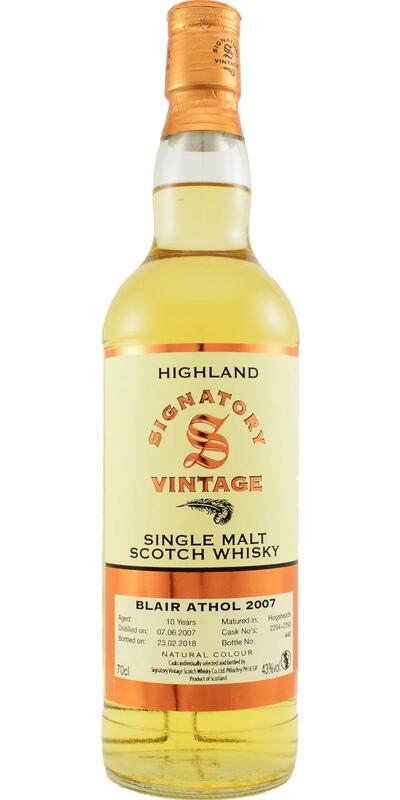 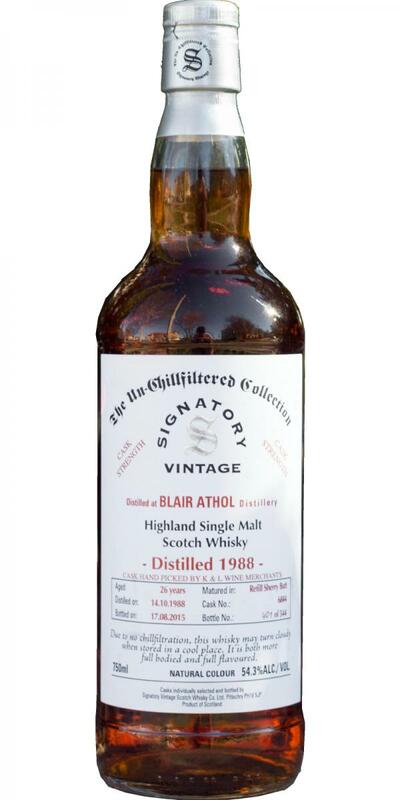 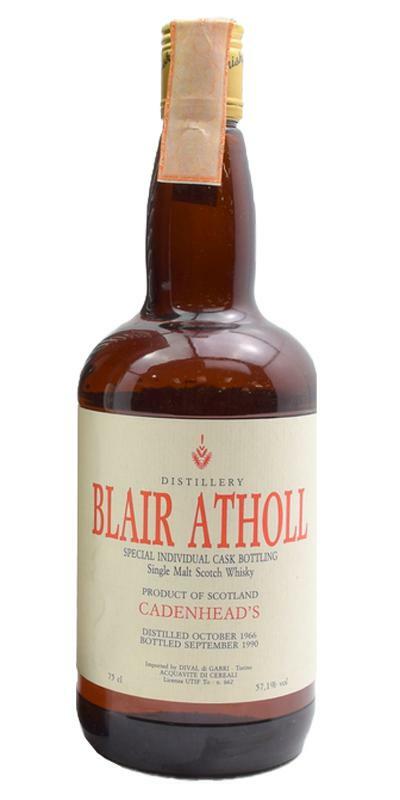 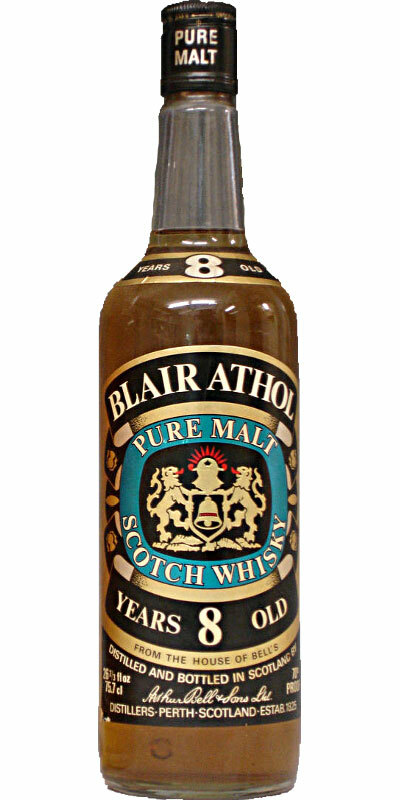 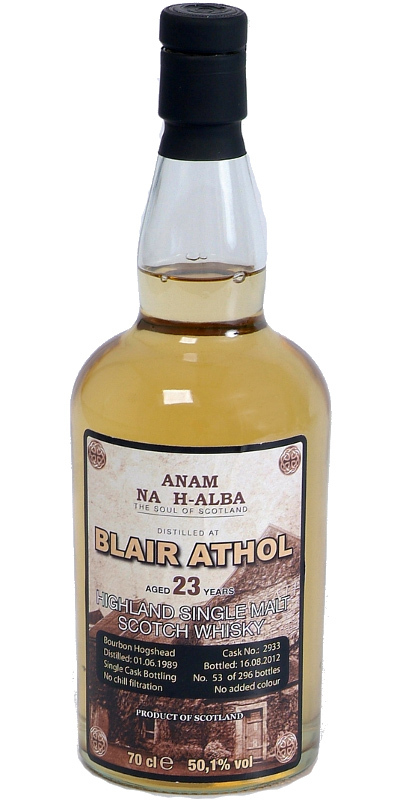 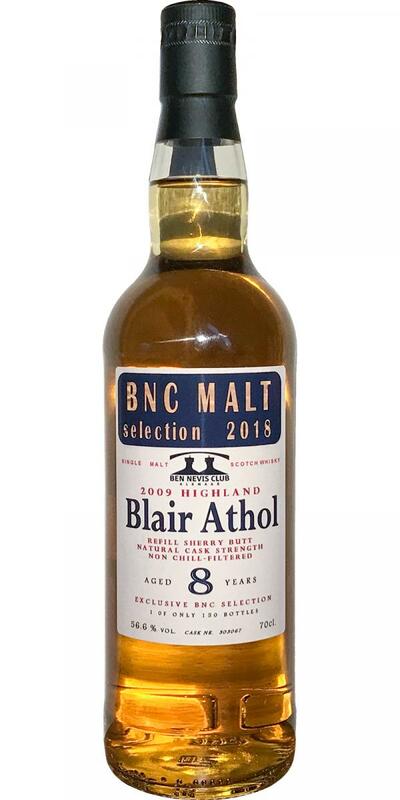 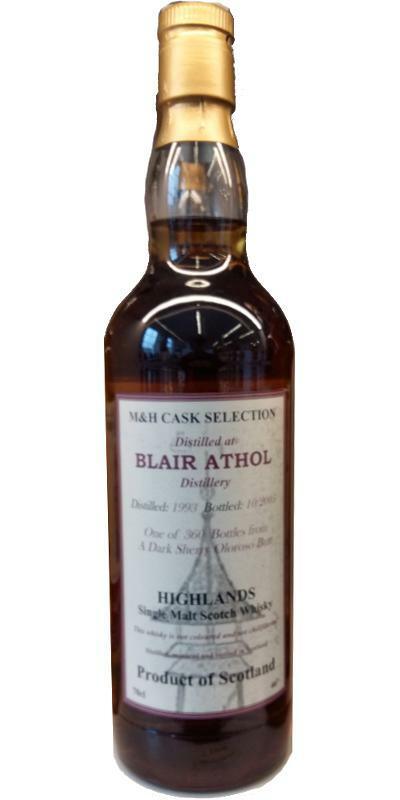 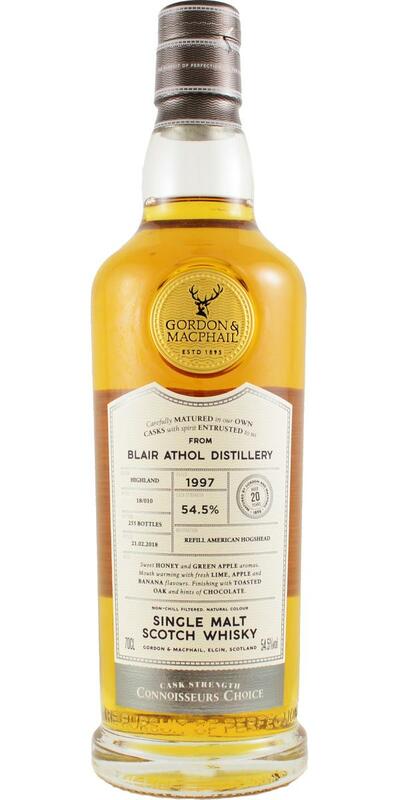 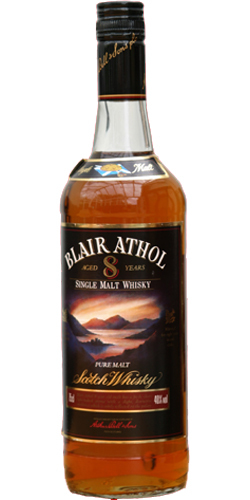 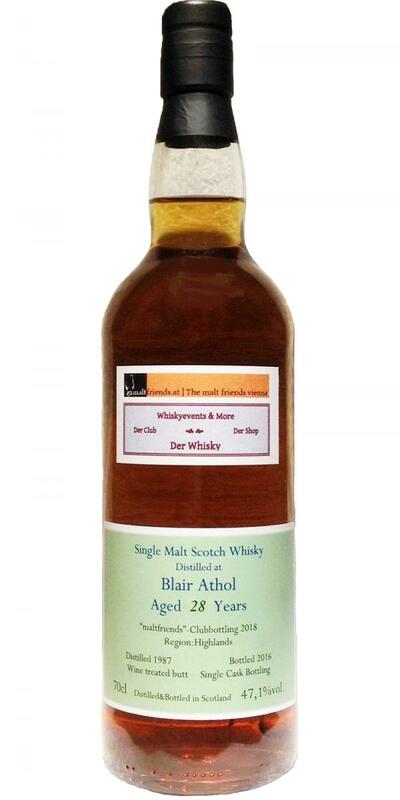 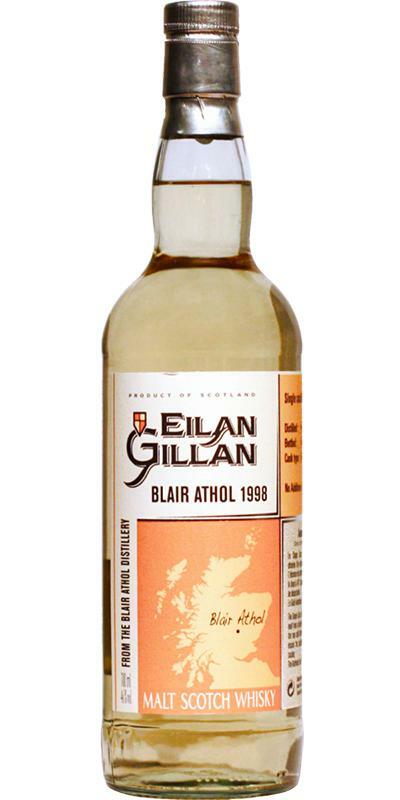 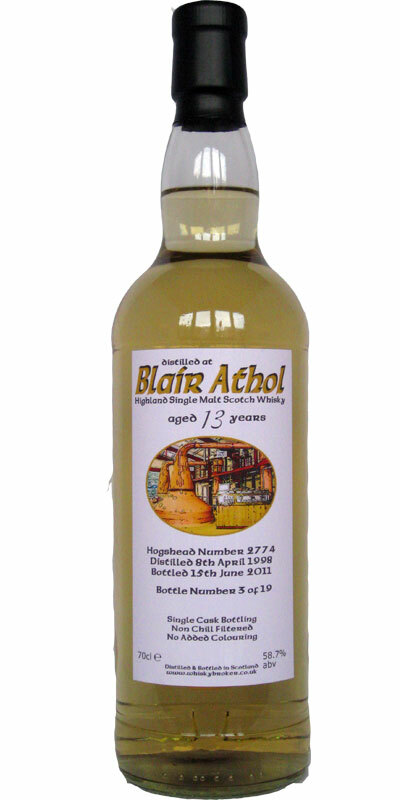 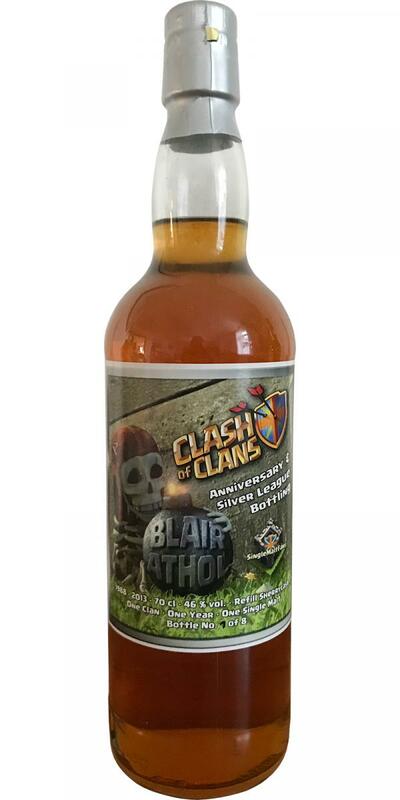 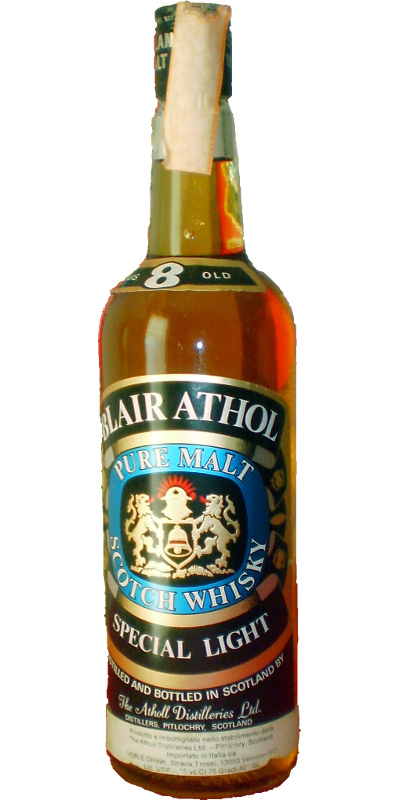 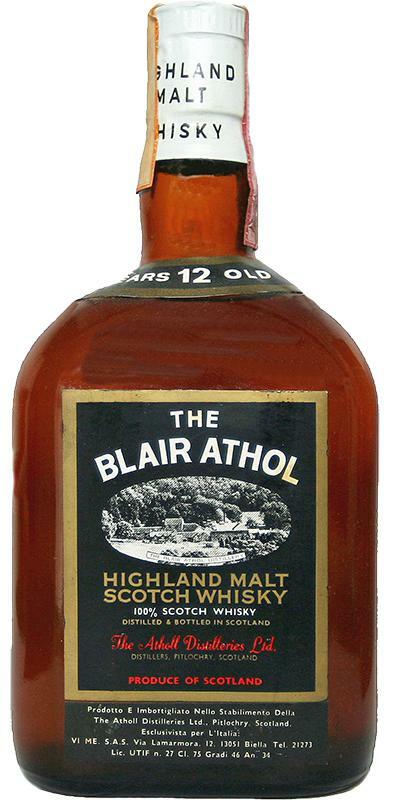 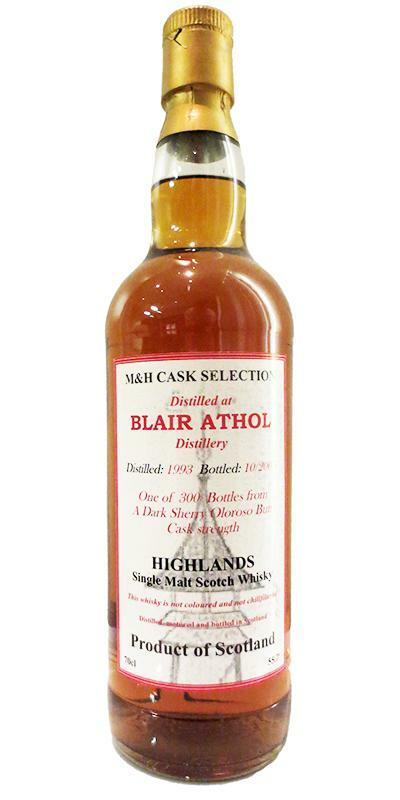 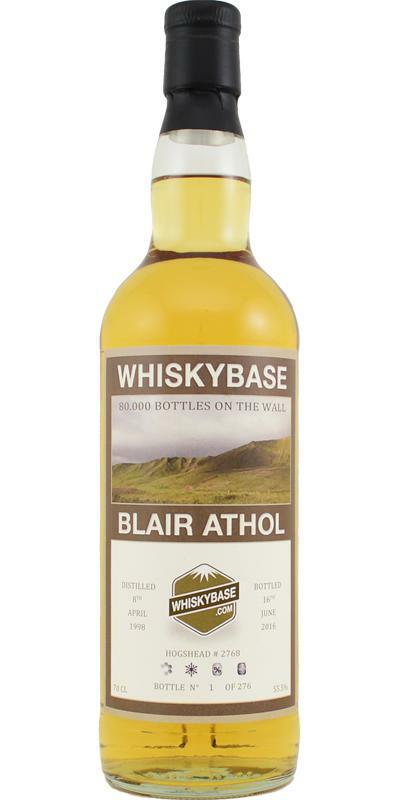 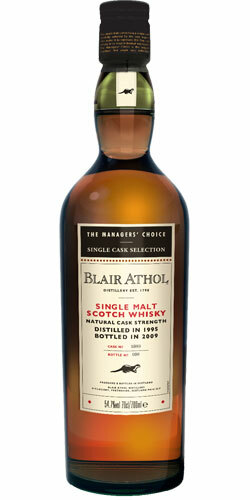 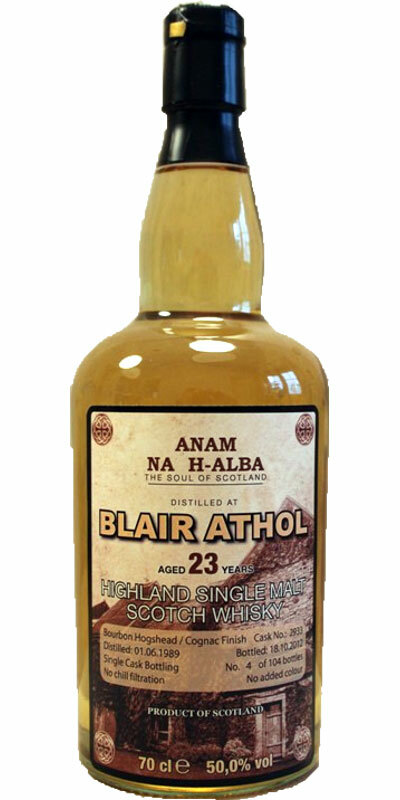 Blair Athol 08-year-old HL 08 0.0 % Vol. 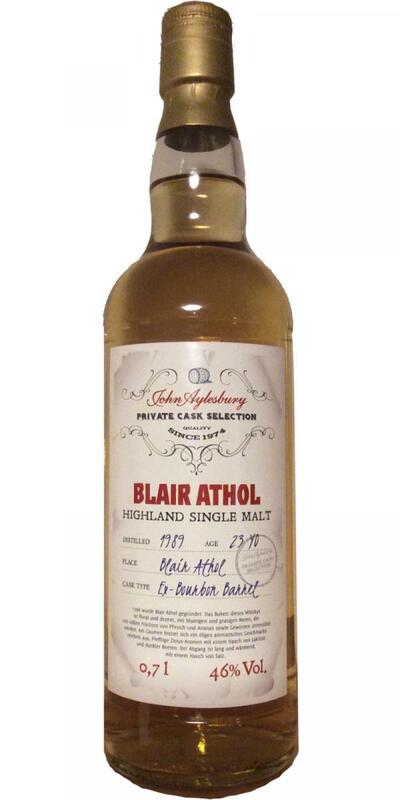 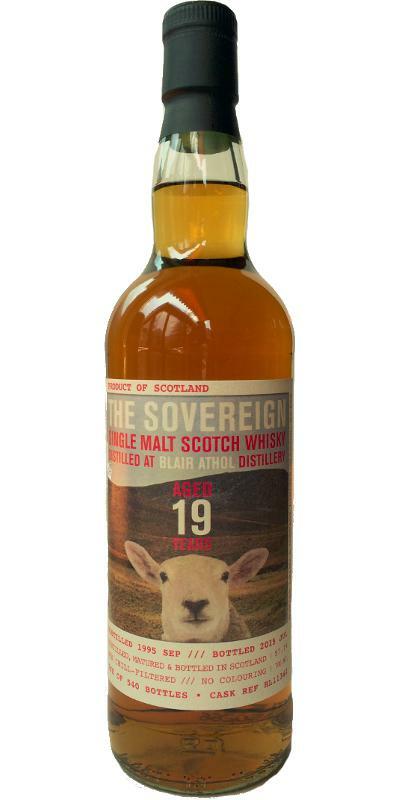 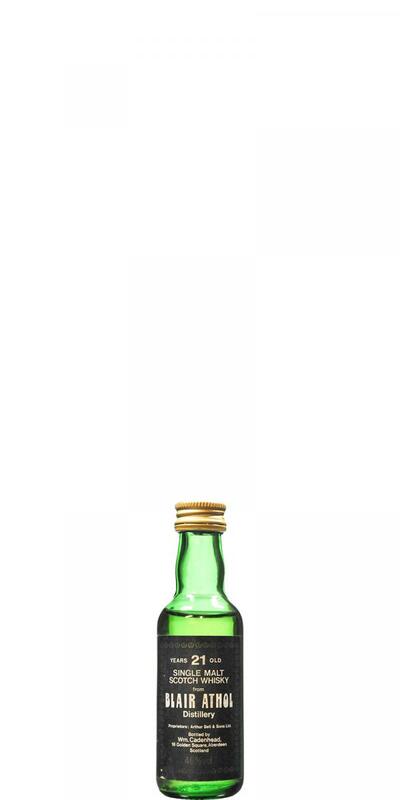 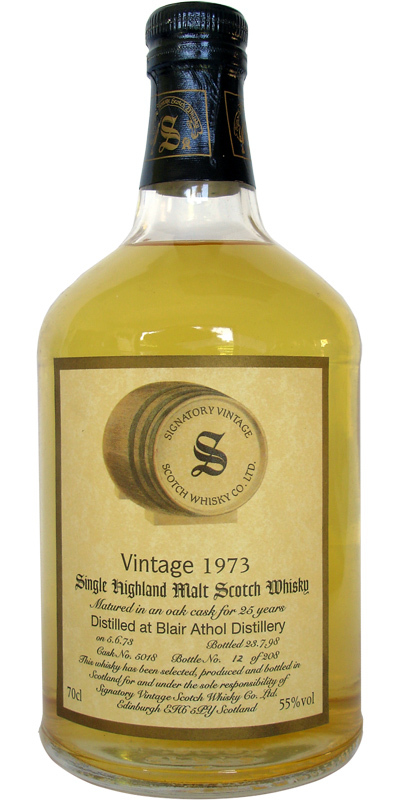 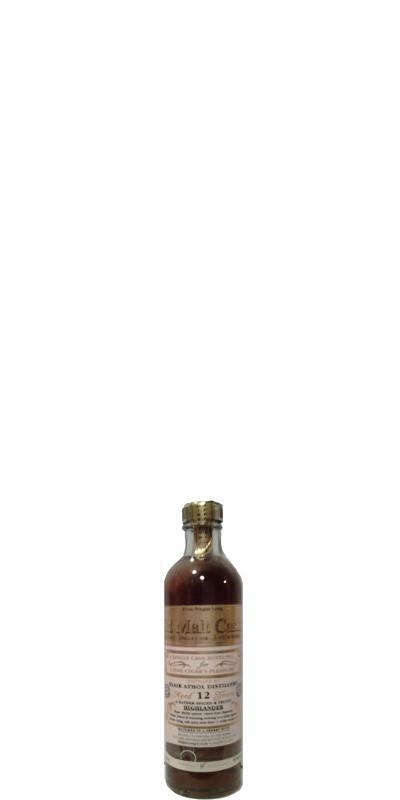 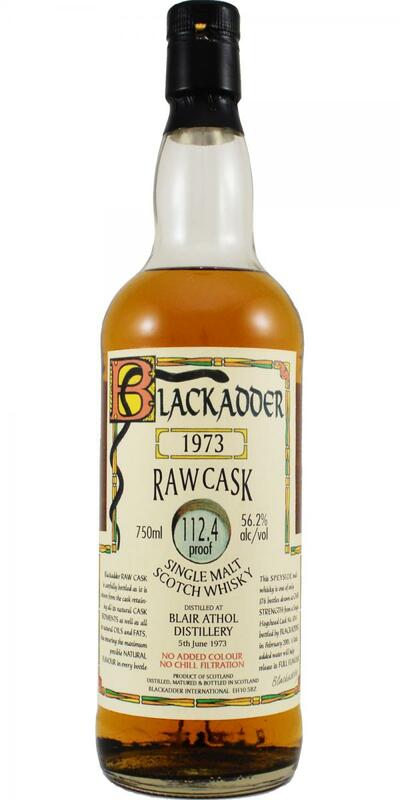 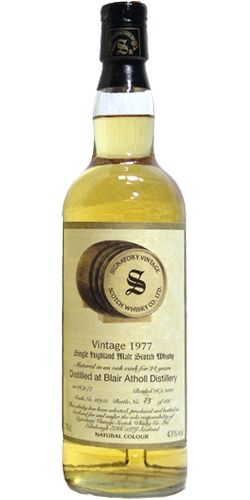 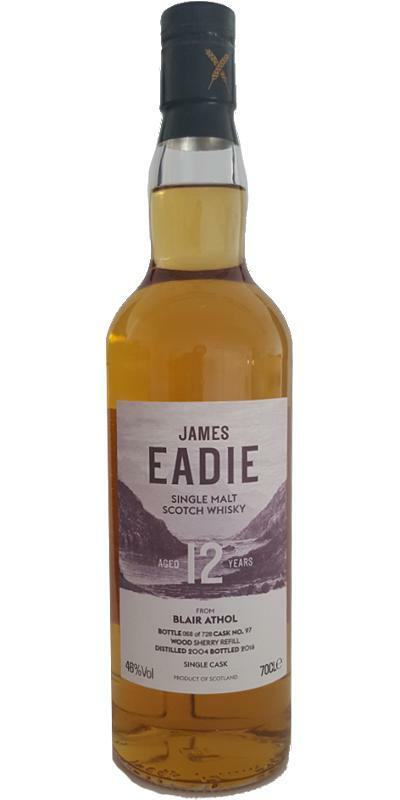 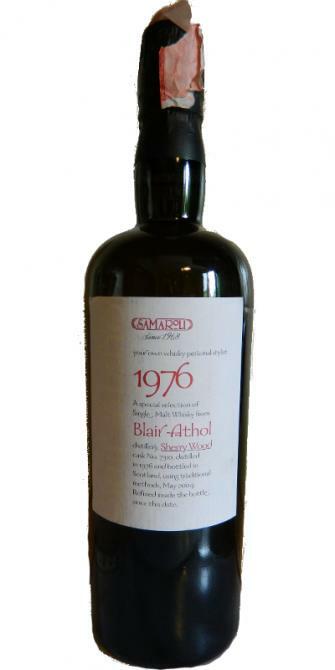 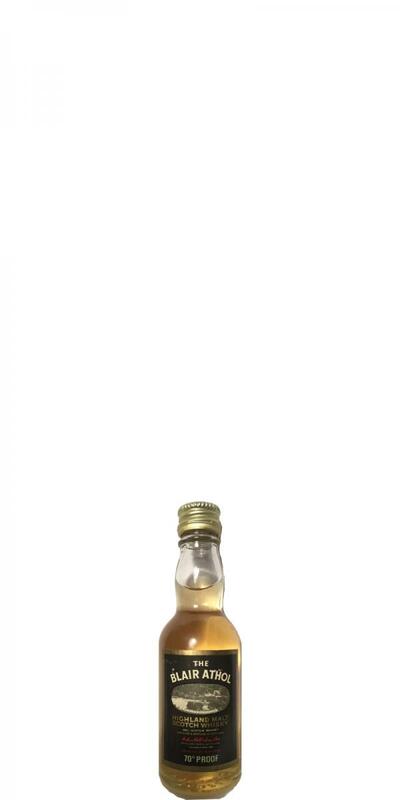 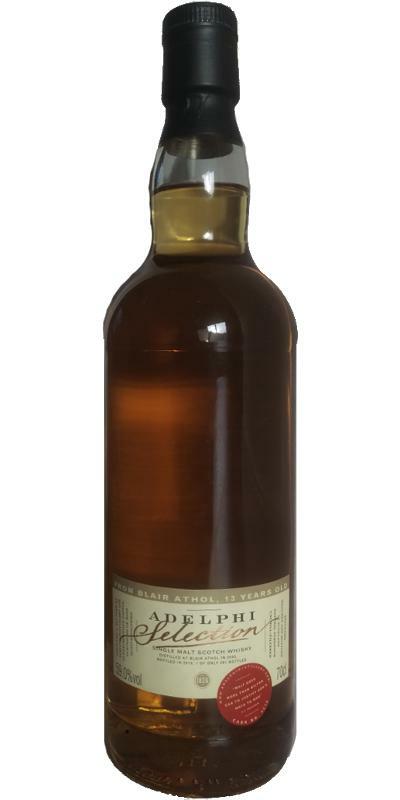 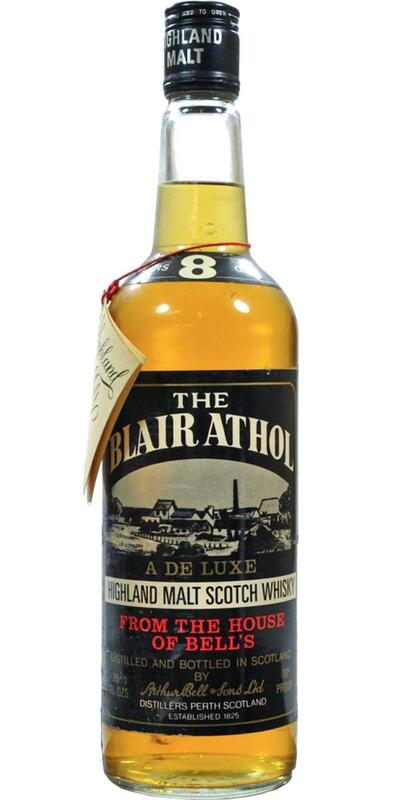 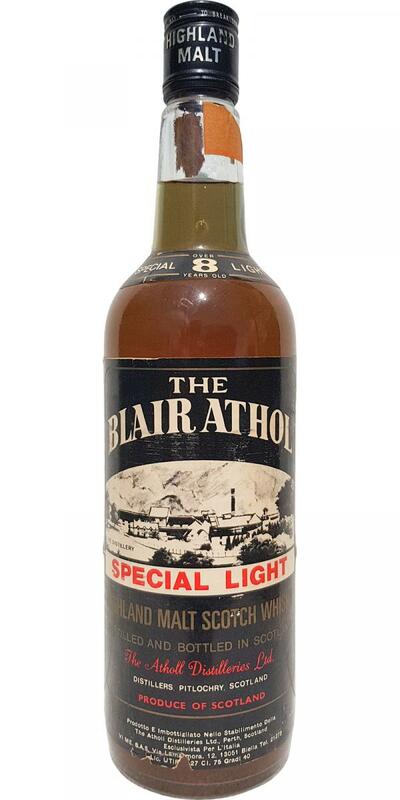 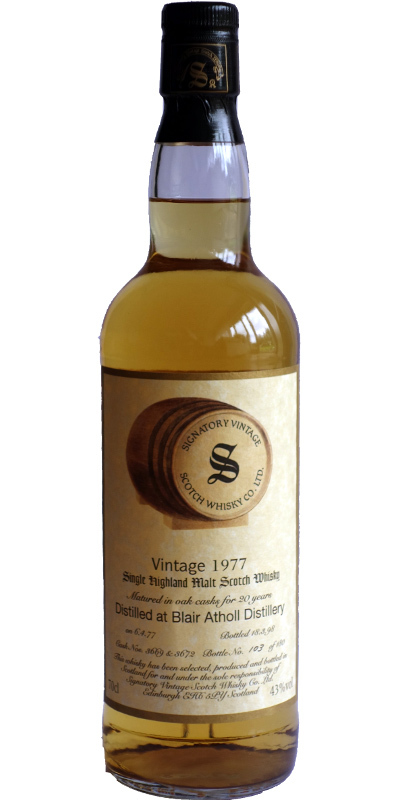 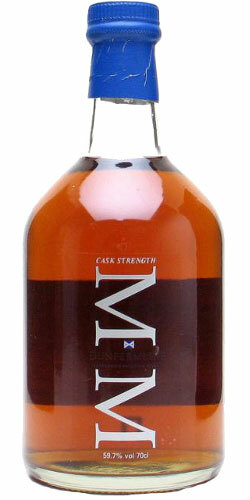 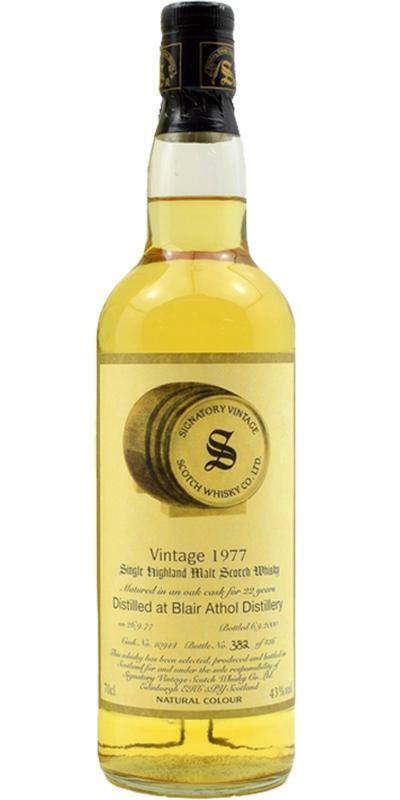 Blair Athol 1977 JM Fine Malt Selection - Miniature 18 50.4 % Vol. 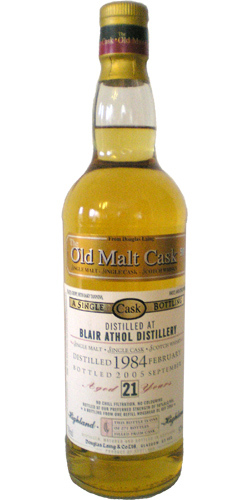 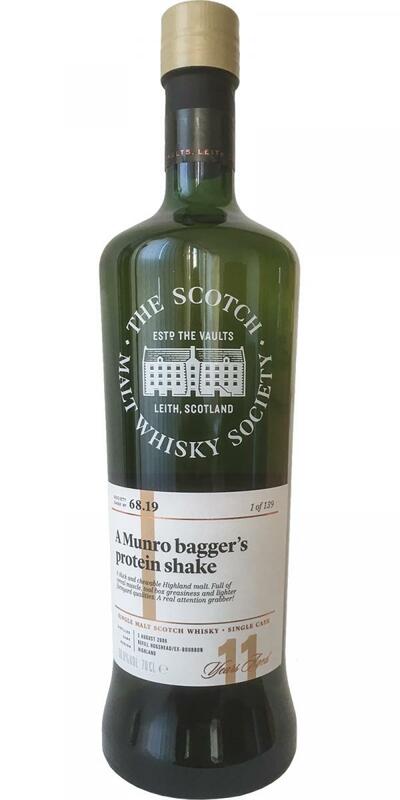 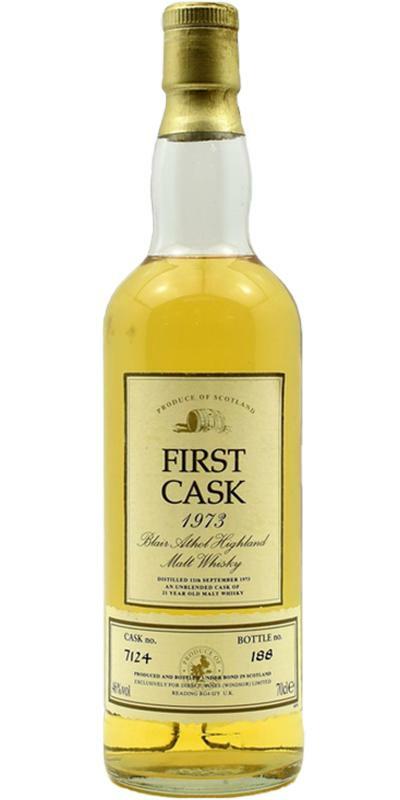 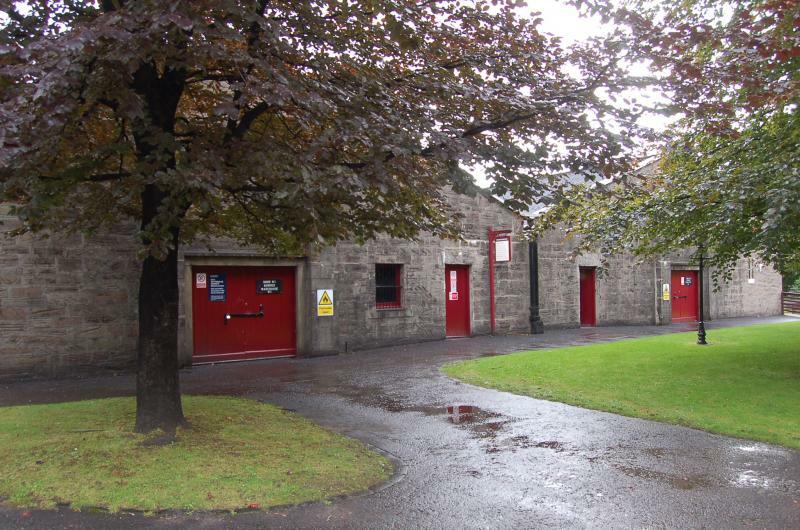 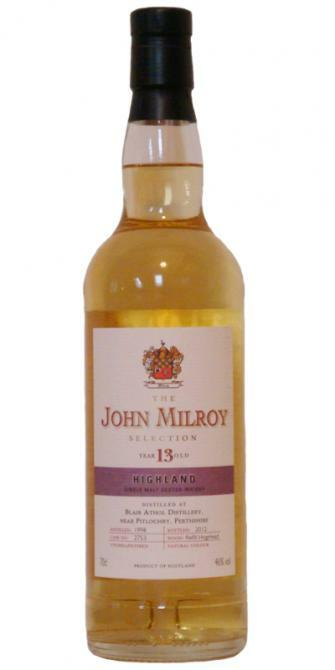 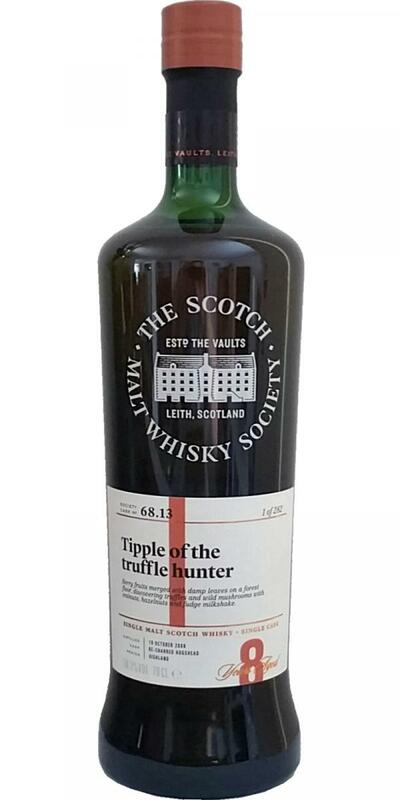 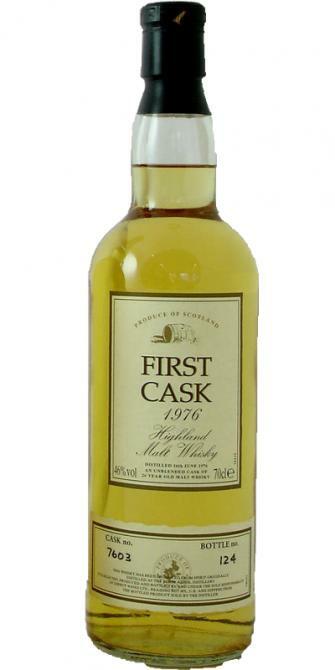 Blair Athol 1978 JM Fine Malt Selection - Miniature 14 53.1 % Vol. 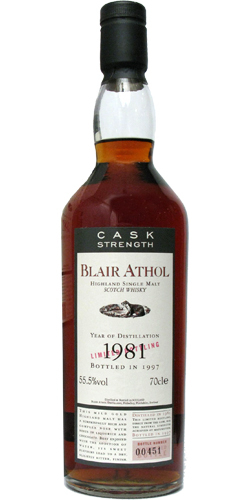 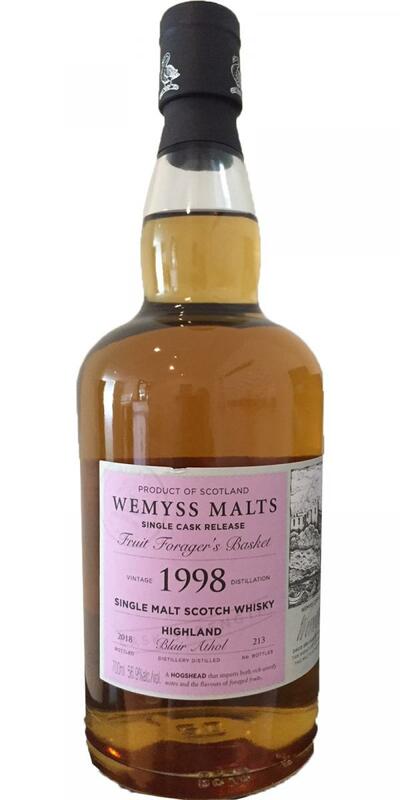 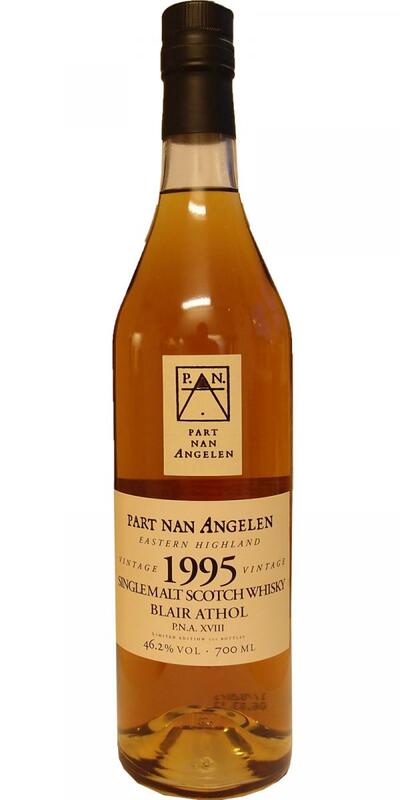 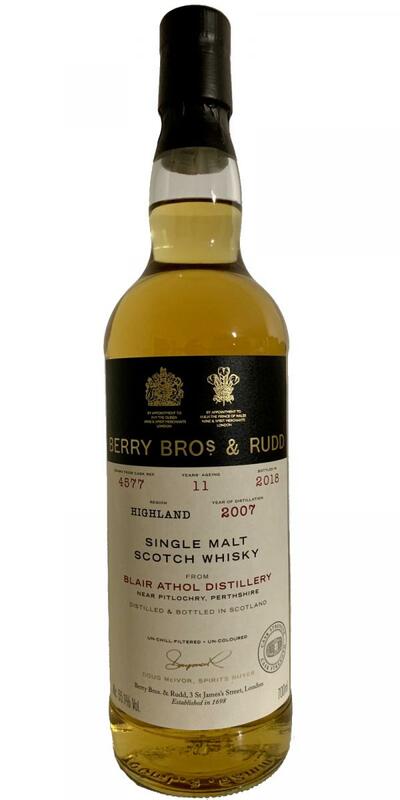 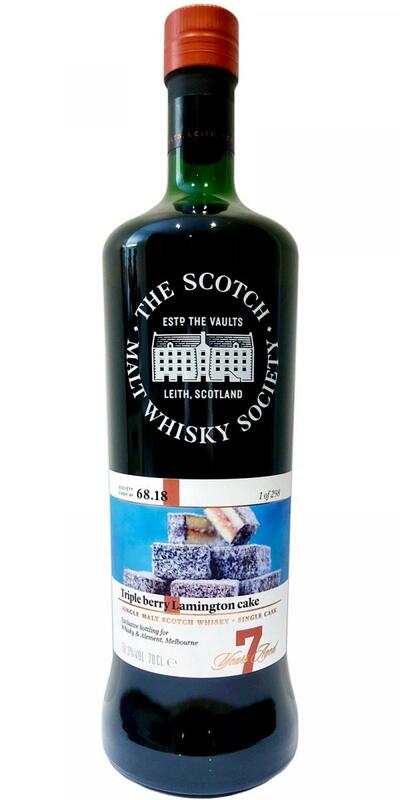 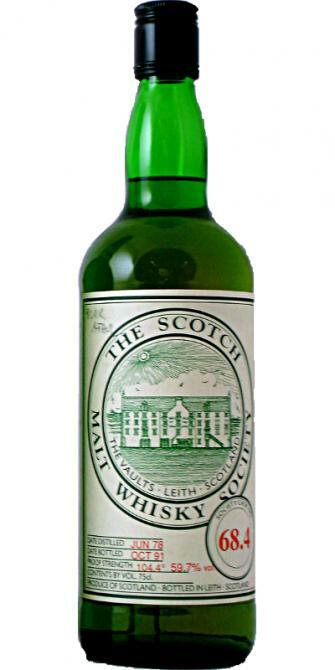 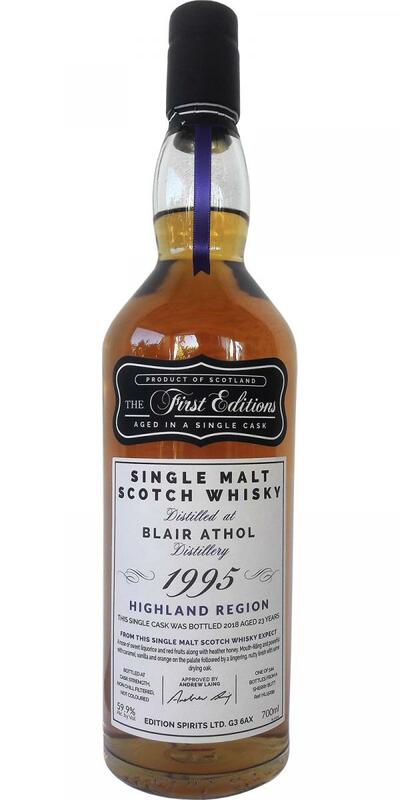 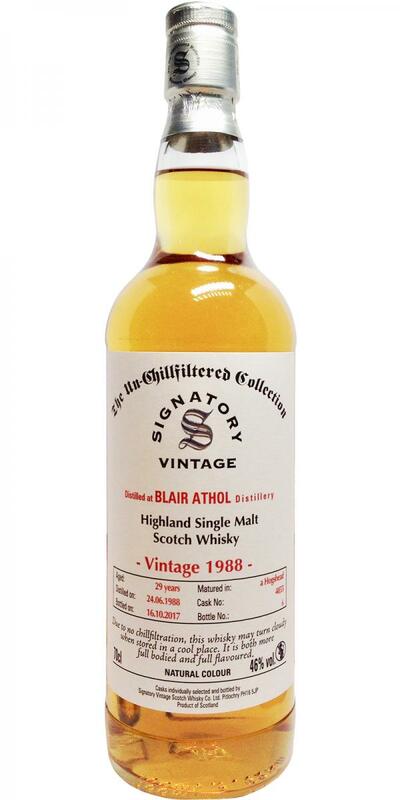 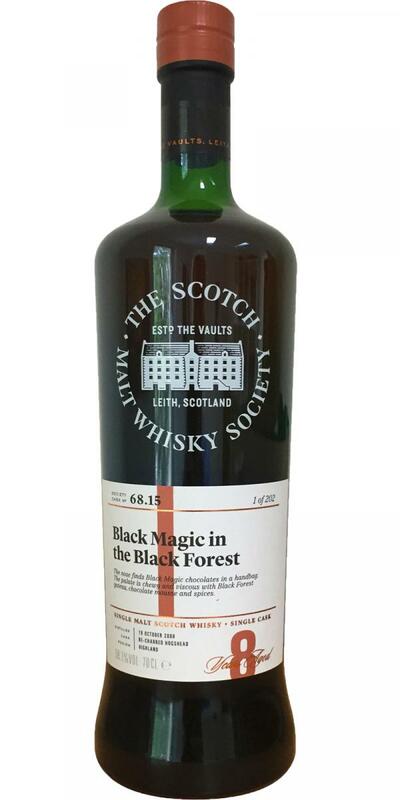 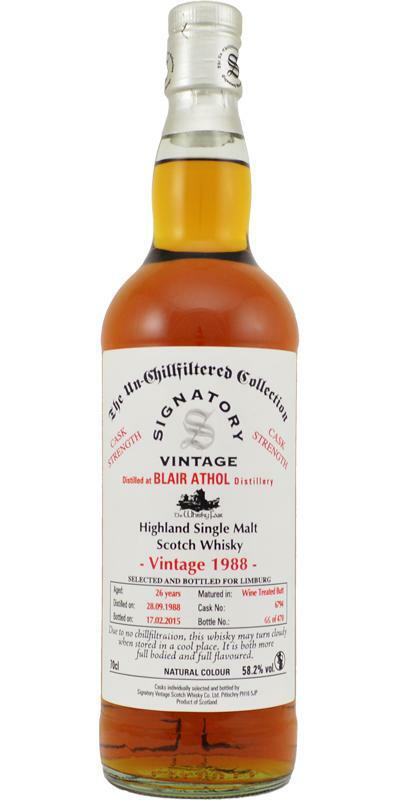 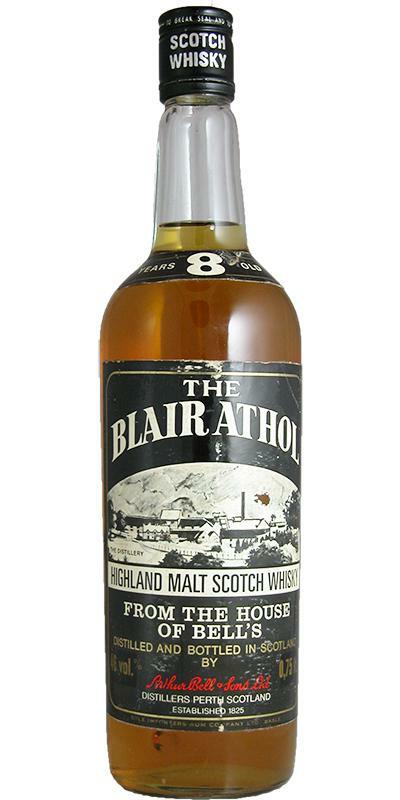 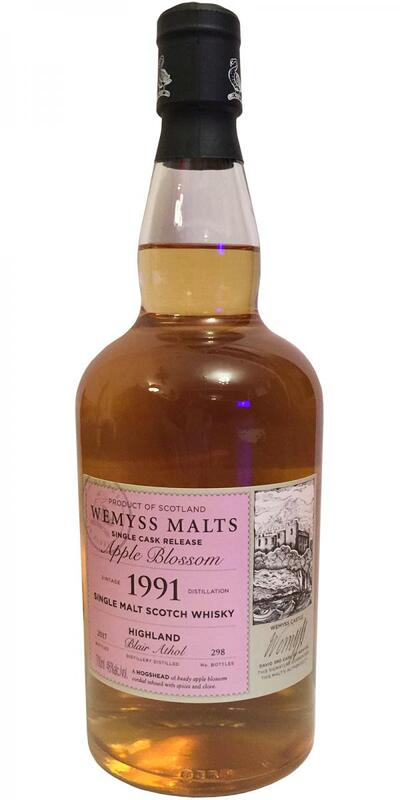 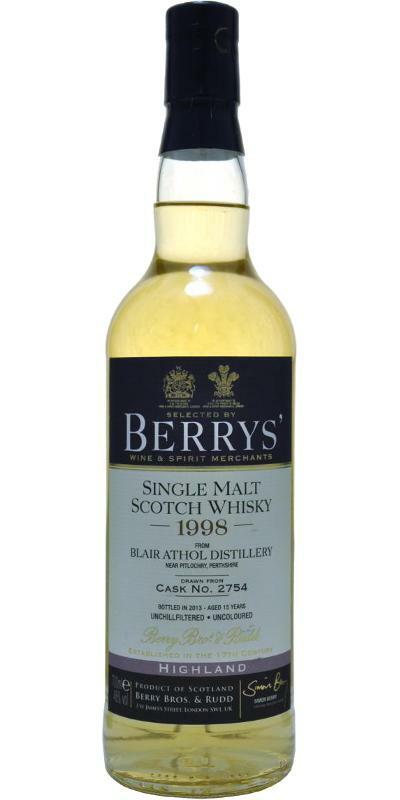 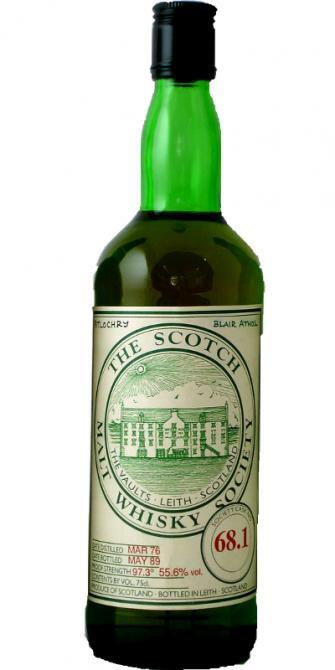 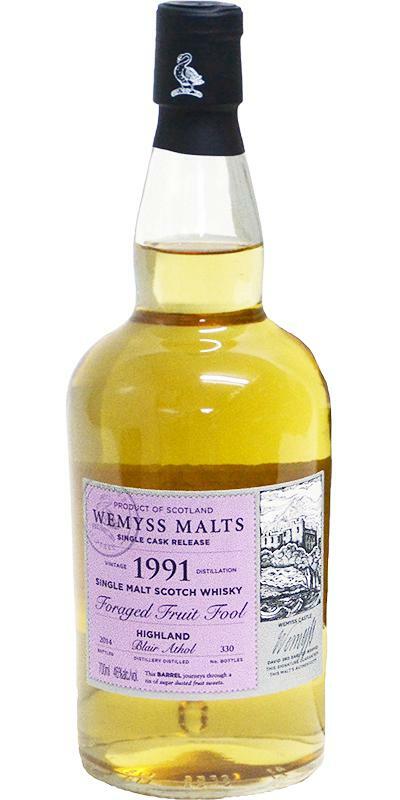 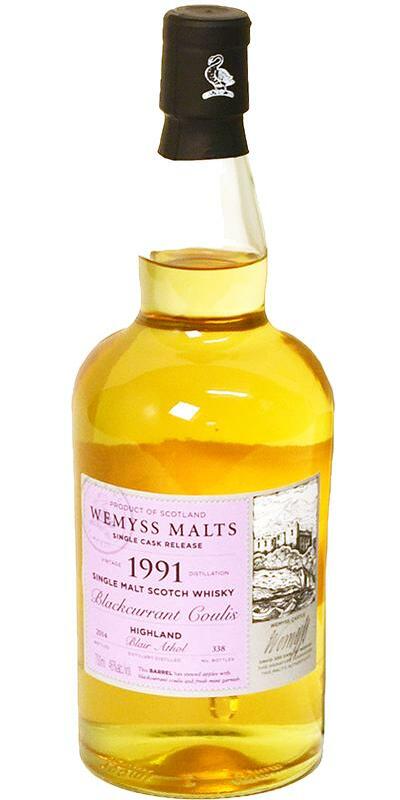 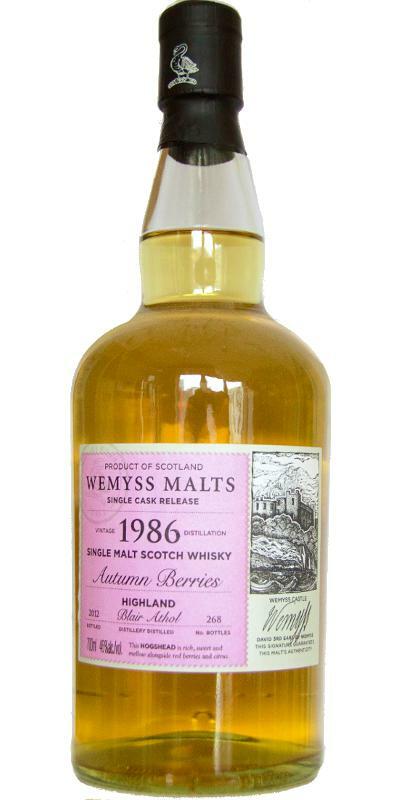 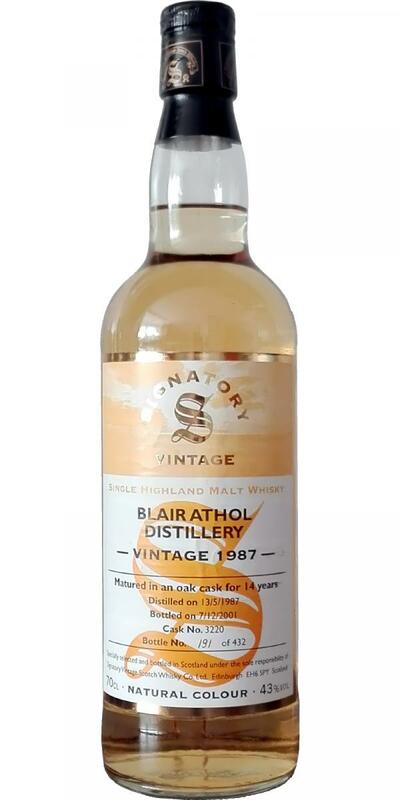 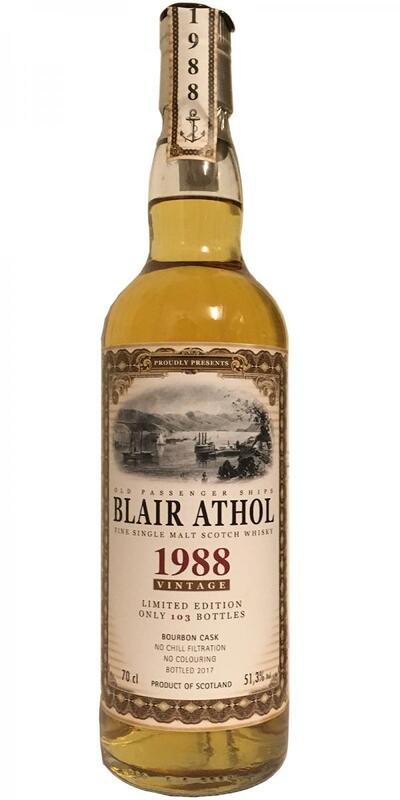 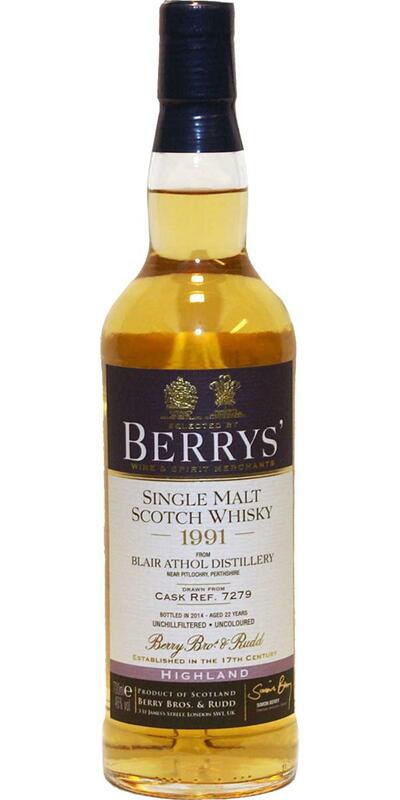 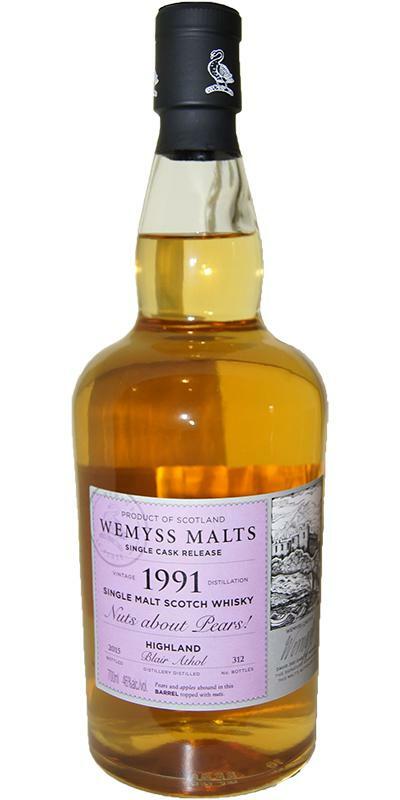 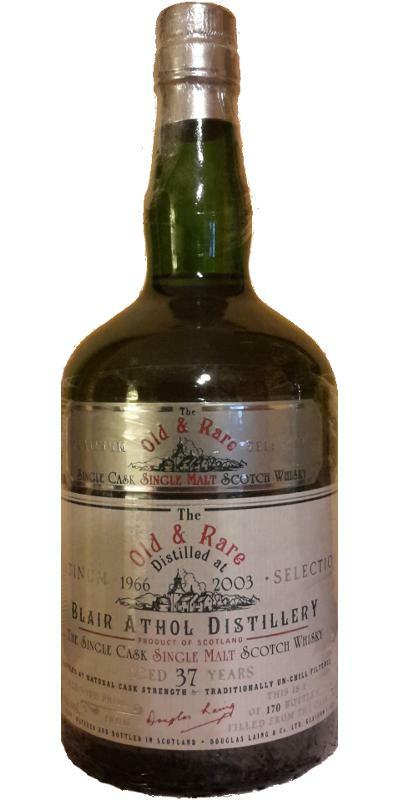 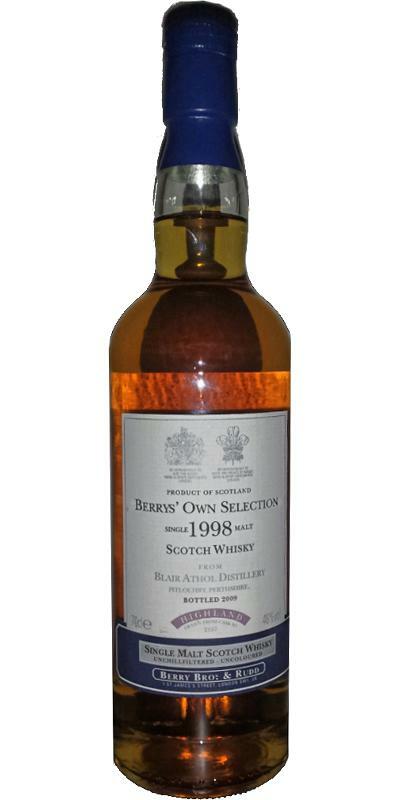 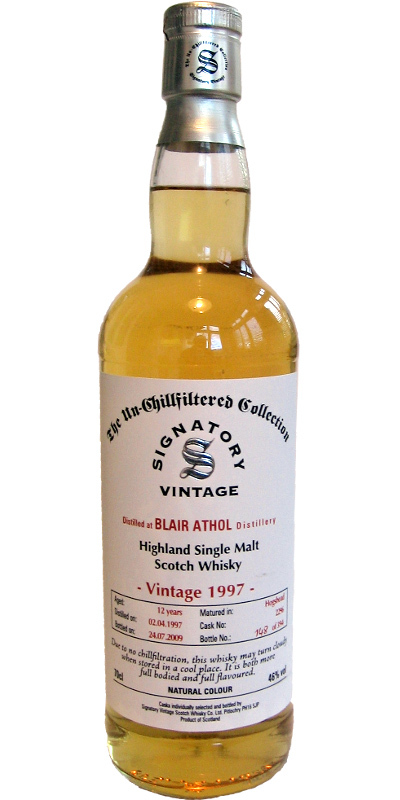 Blair Athol 1995 Kb 18 46.0 % Vol. 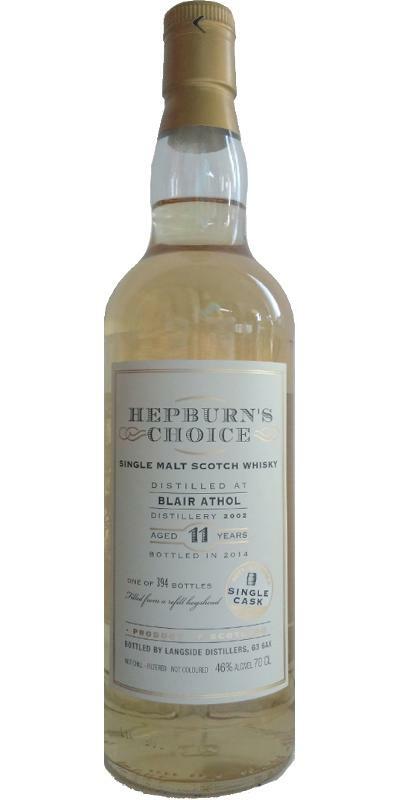 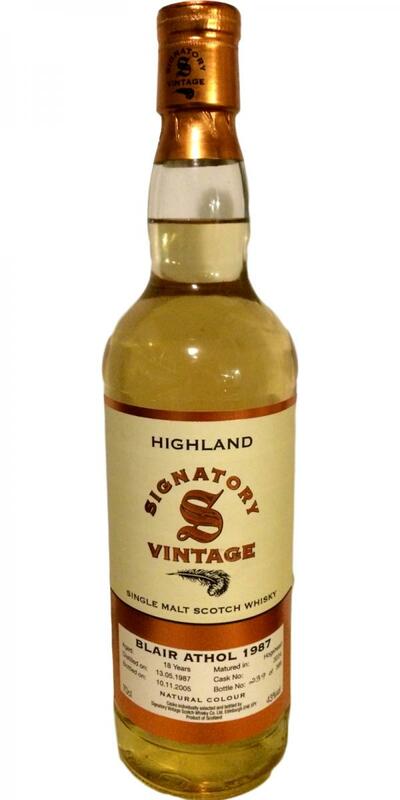 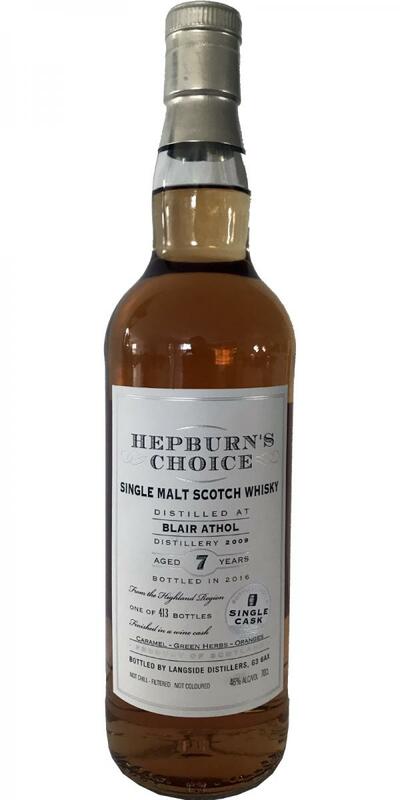 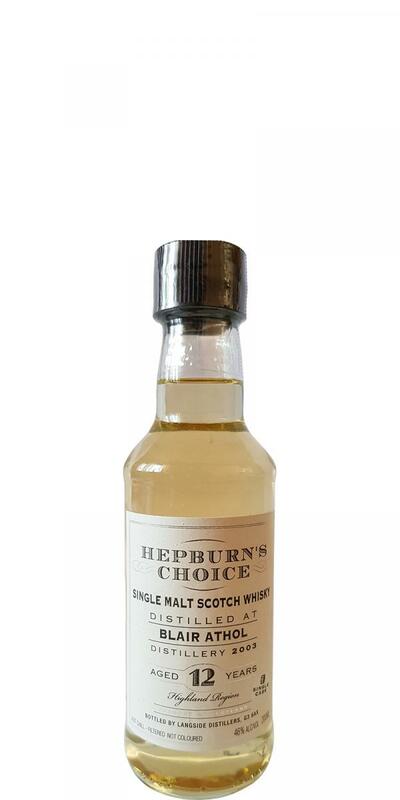 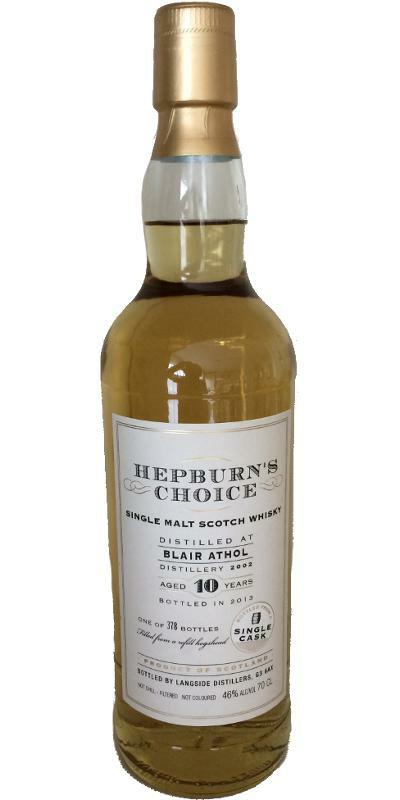 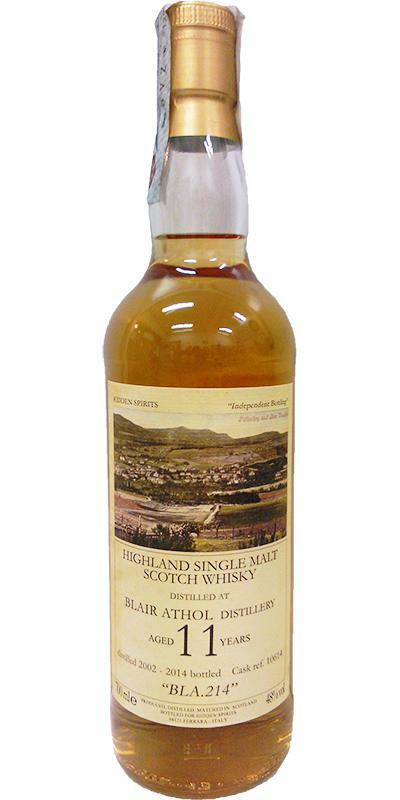 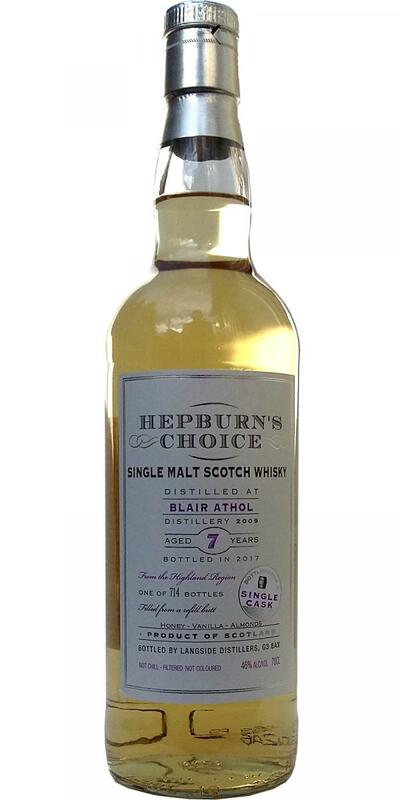 Blair Athol 2003 LsD Hepburn's Choice 12 46.0 % Vol. 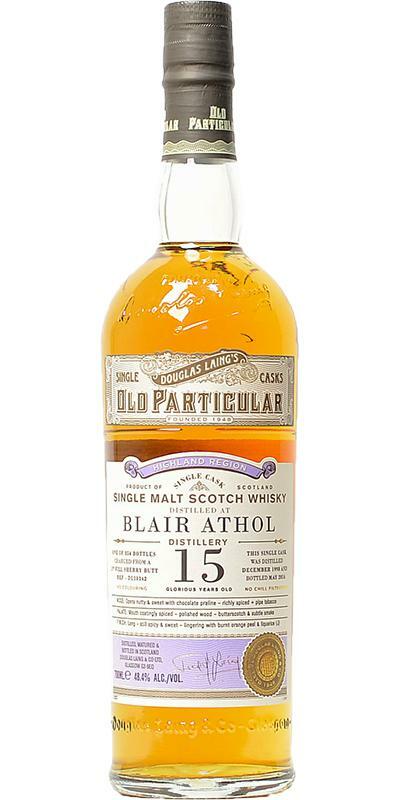 Blair Athol 15-year-old MNC Celtic Events 15 43.0 % Vol. 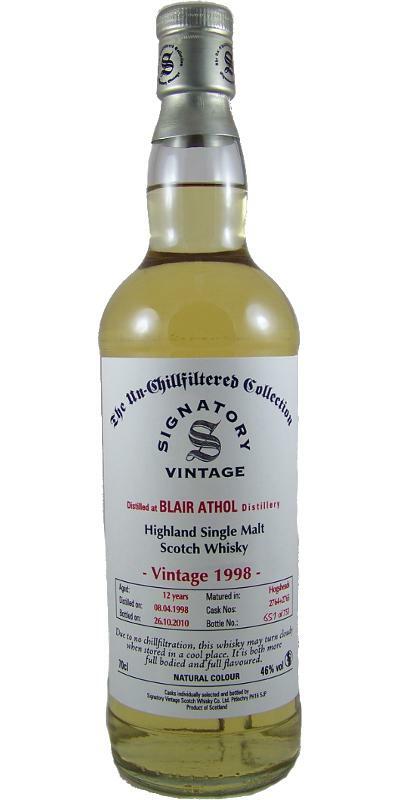 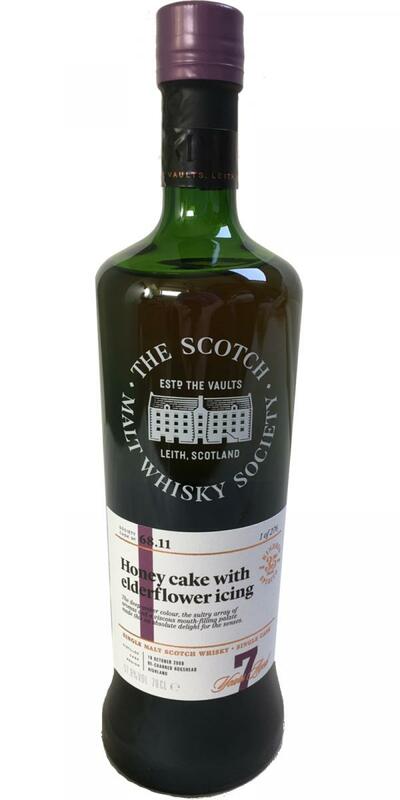 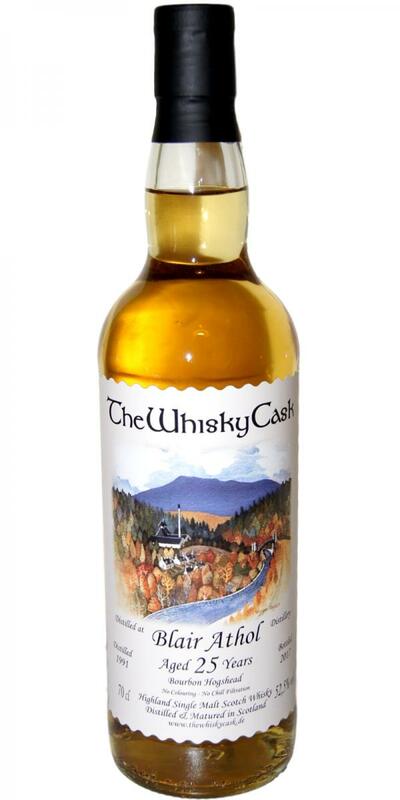 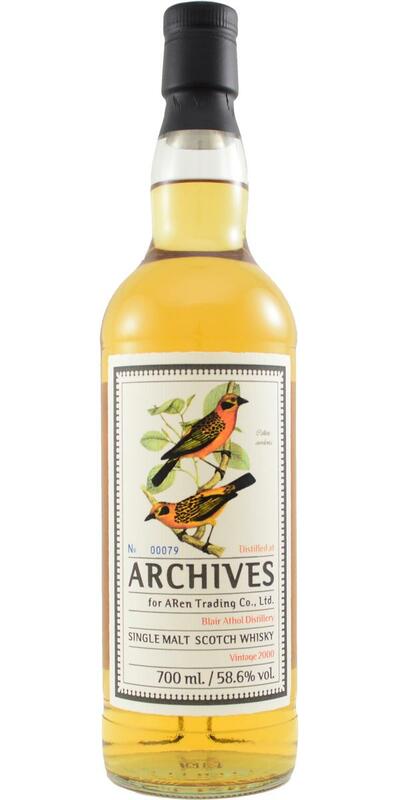 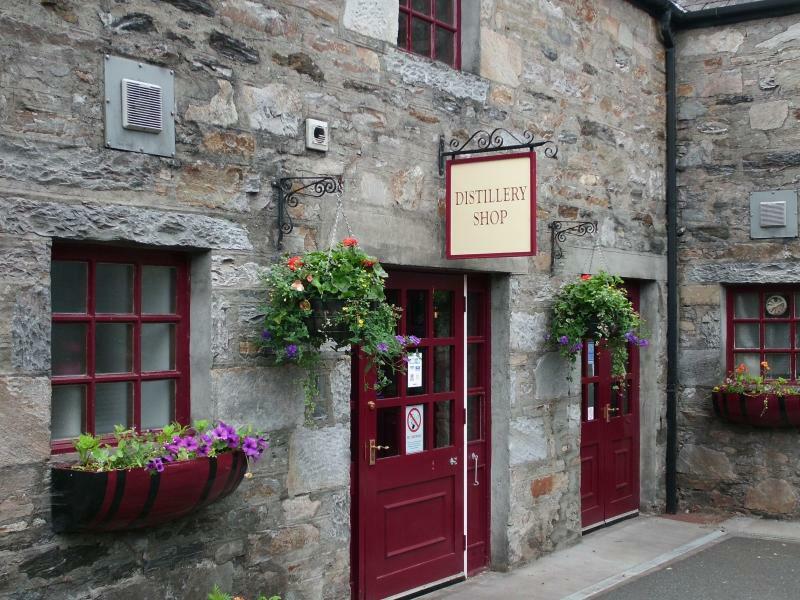 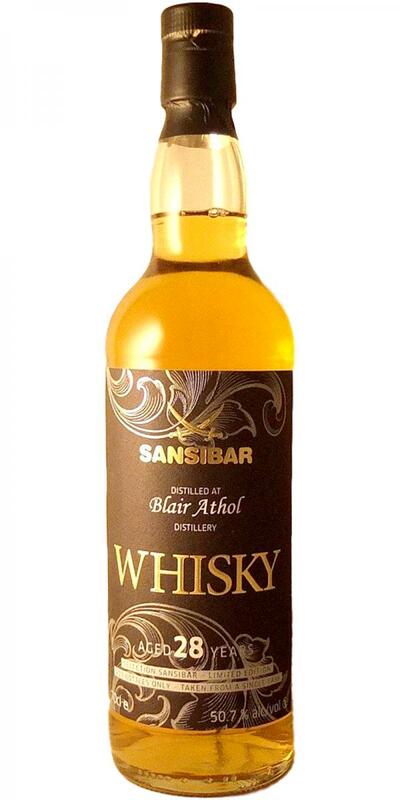 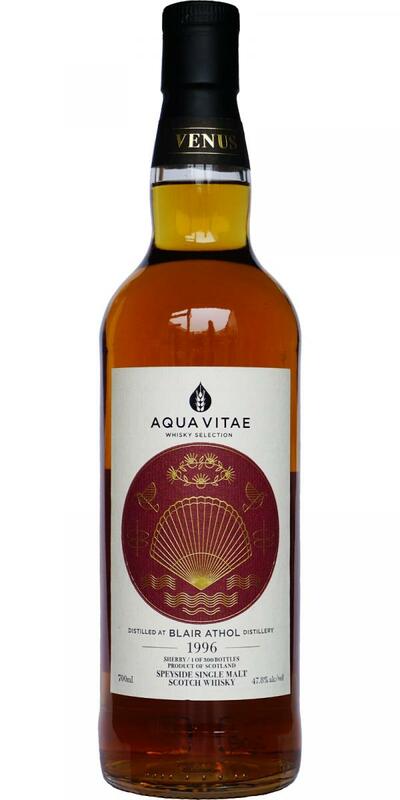 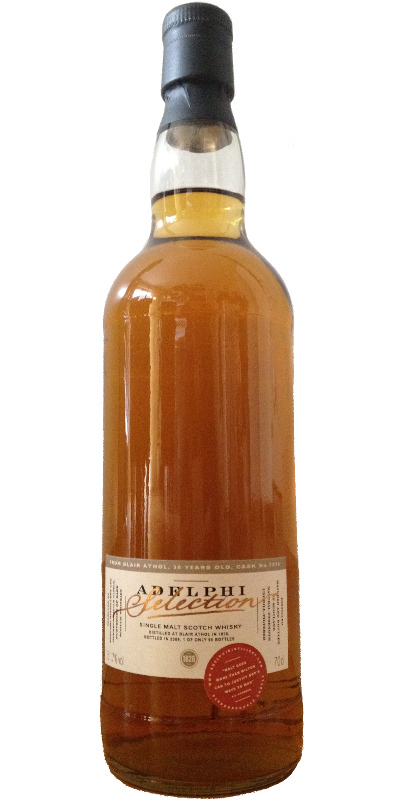 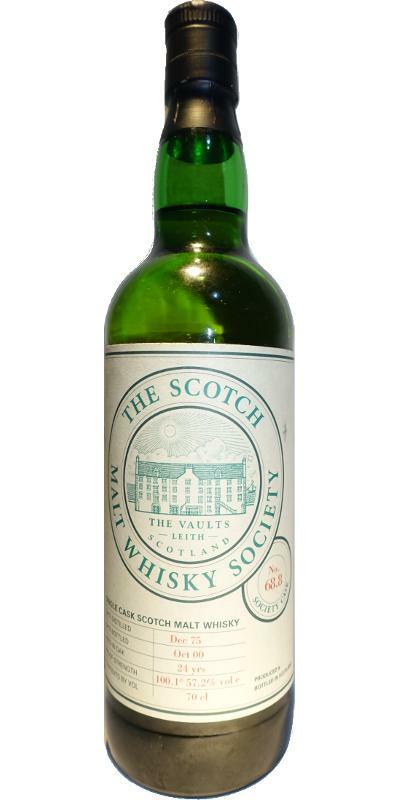 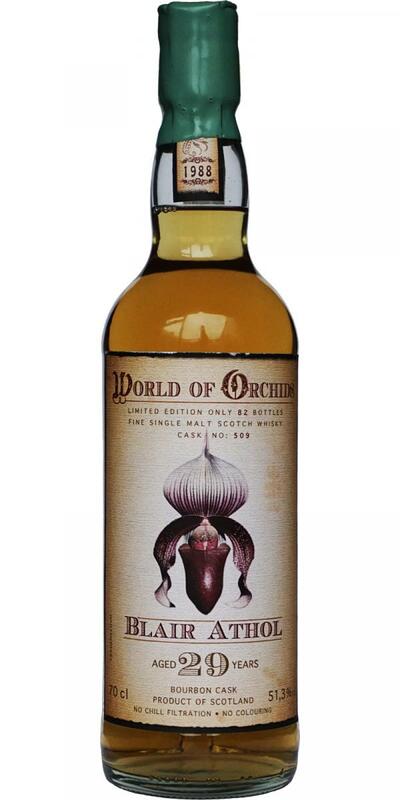 The Spirit Safe Whisky Co.
Blair Athol 10-year-old vF 10 43.0 % Vol.